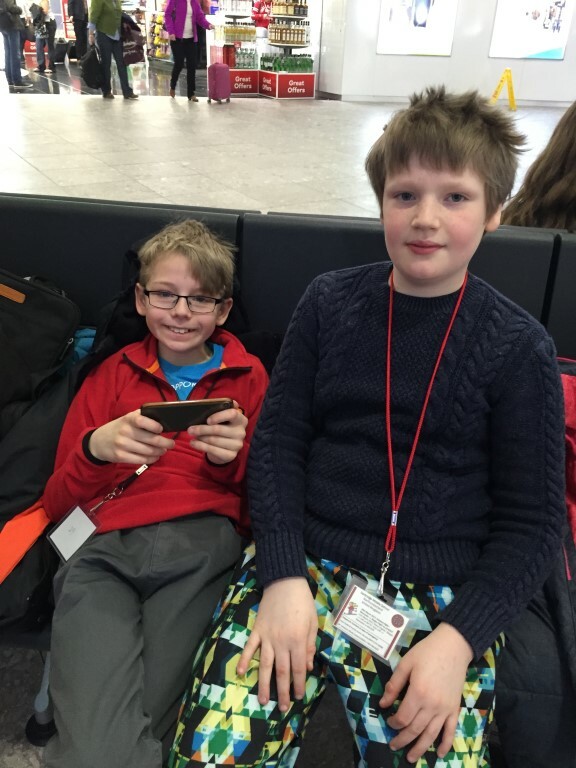 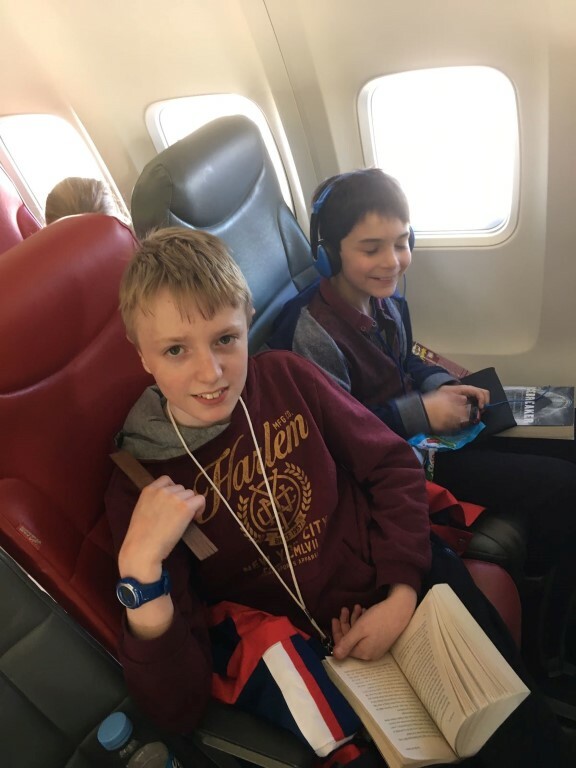 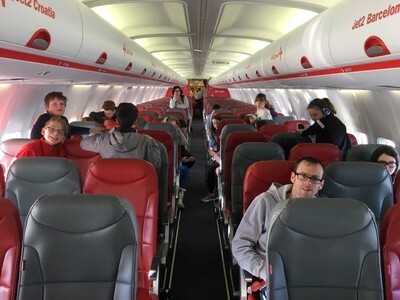 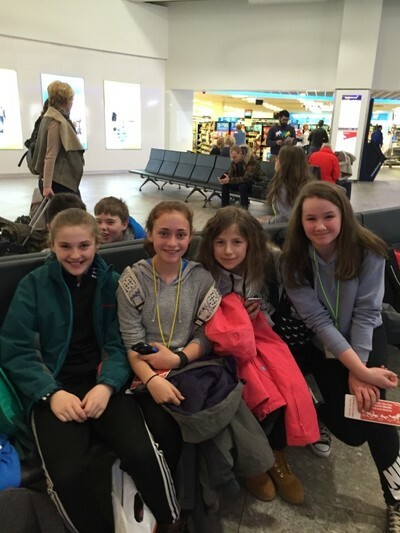 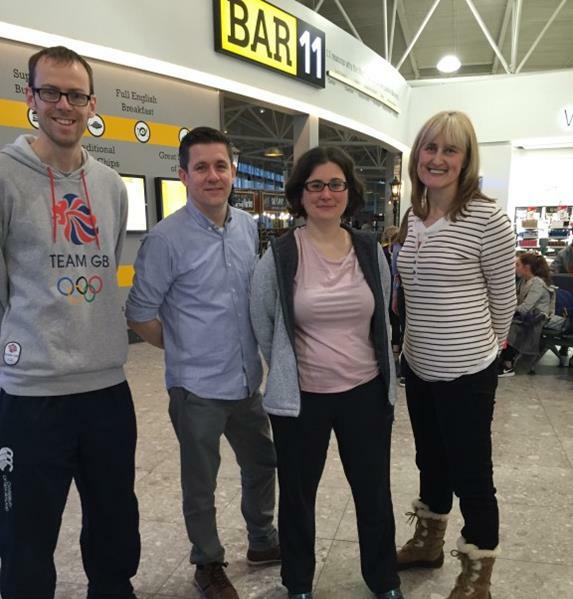 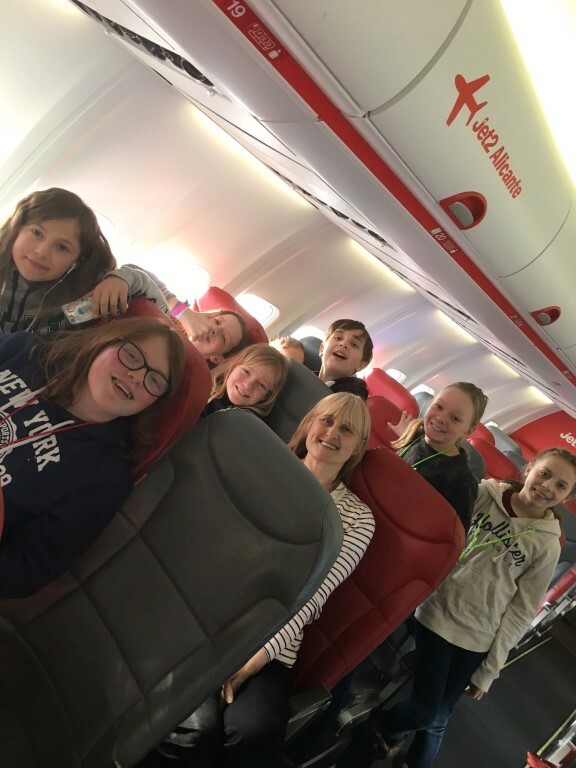 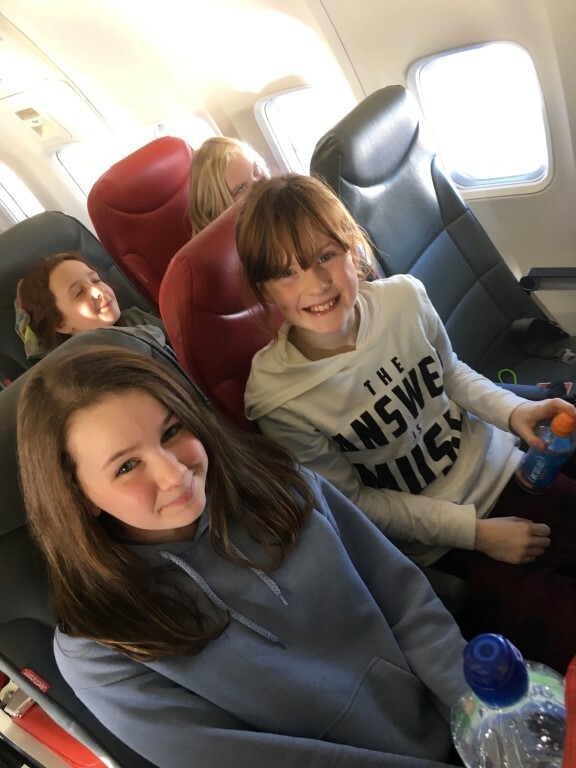 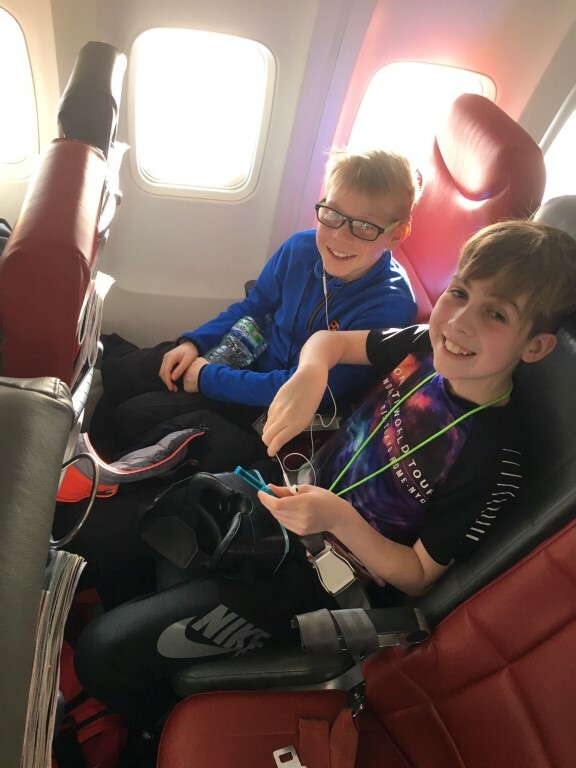 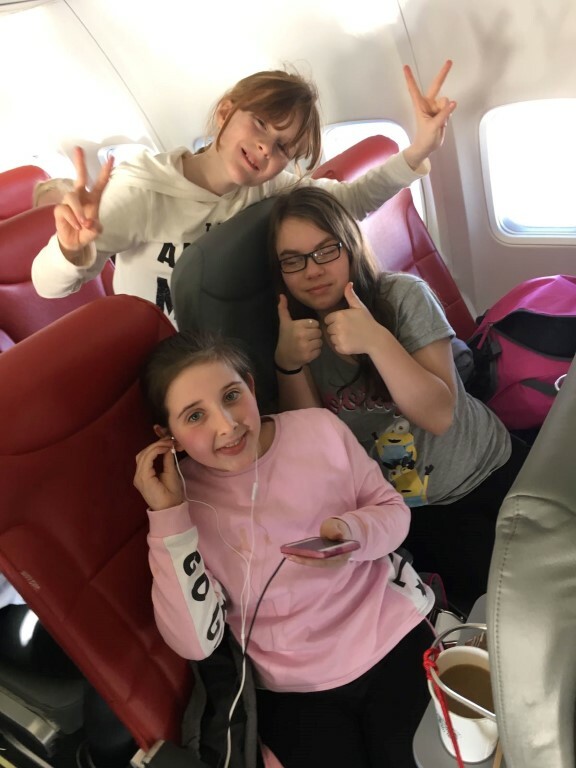 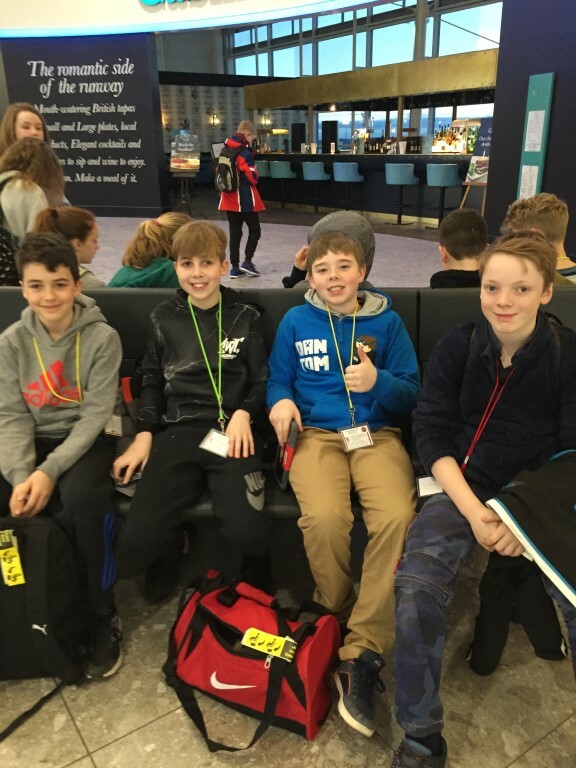 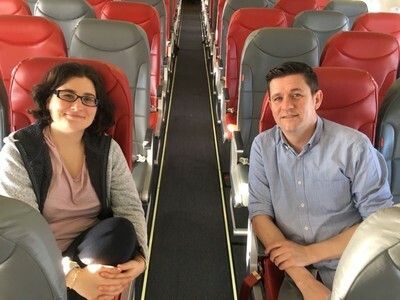 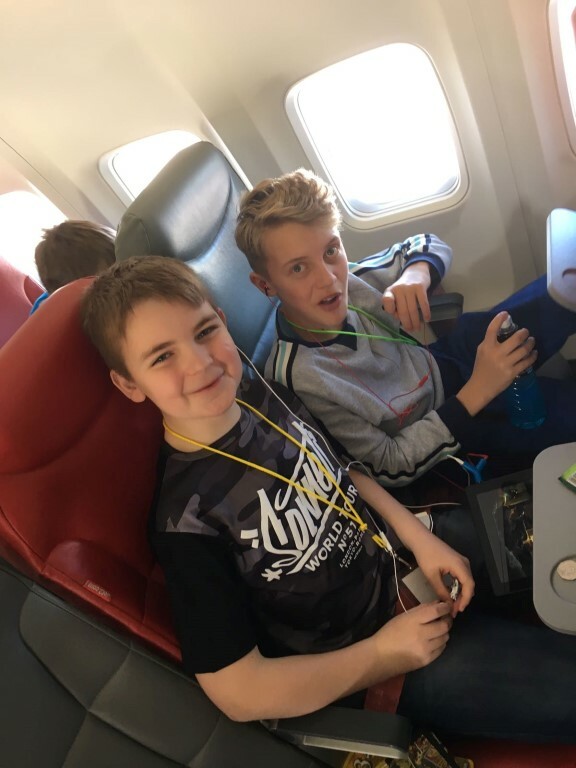 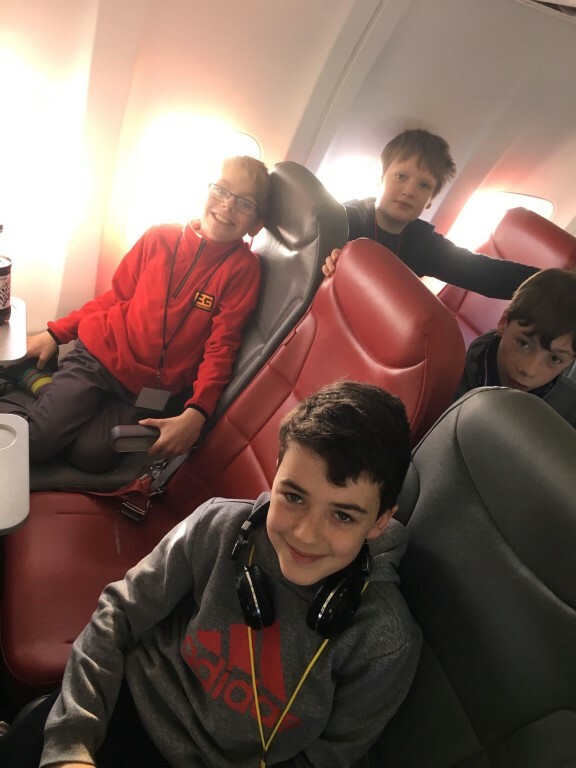 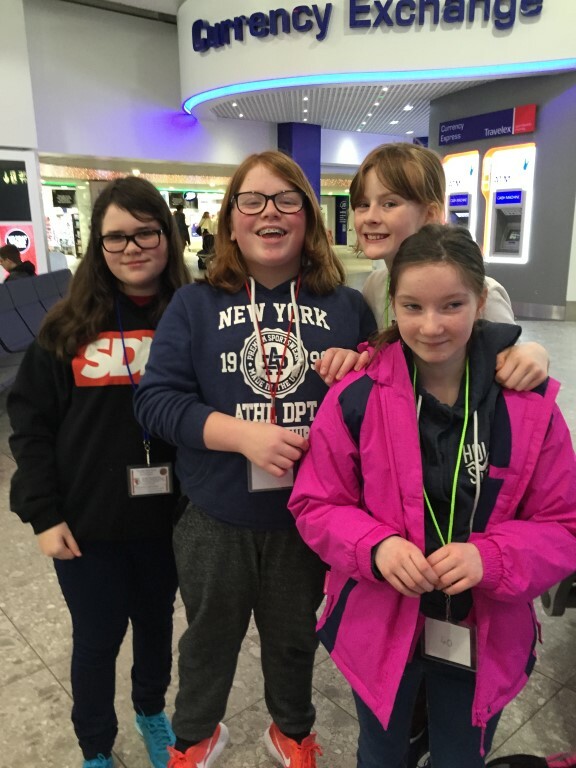 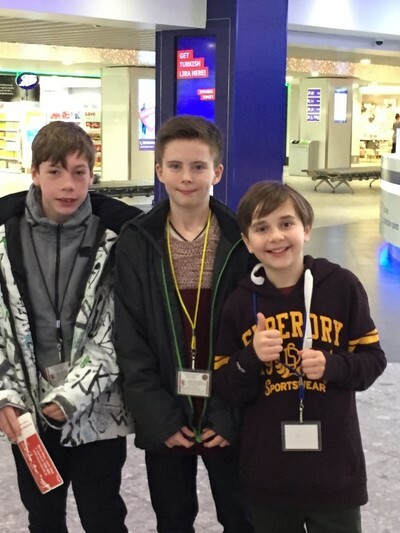 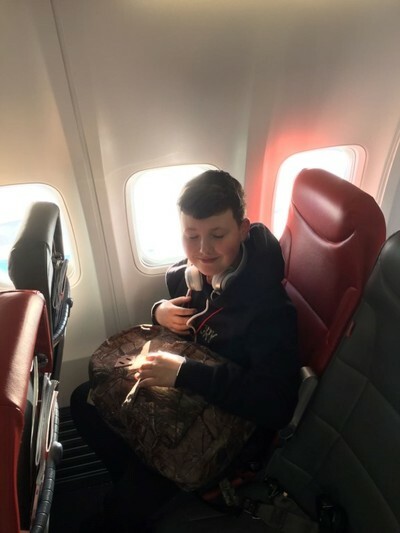 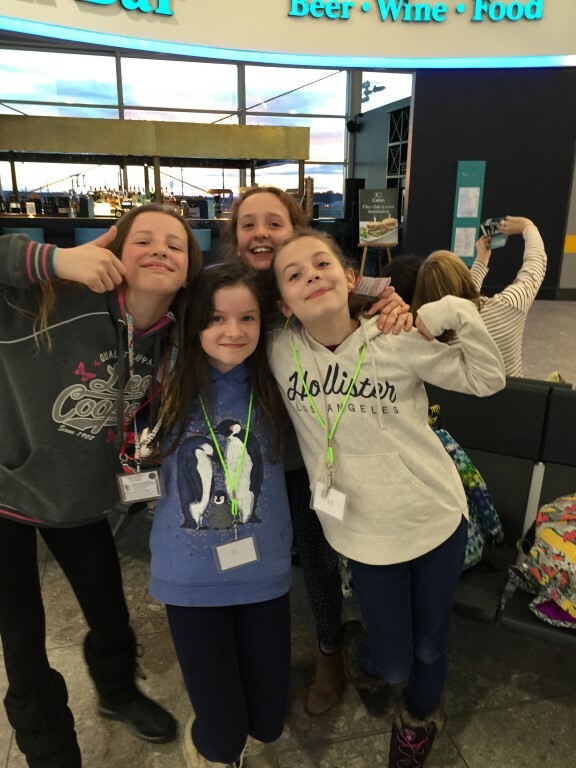 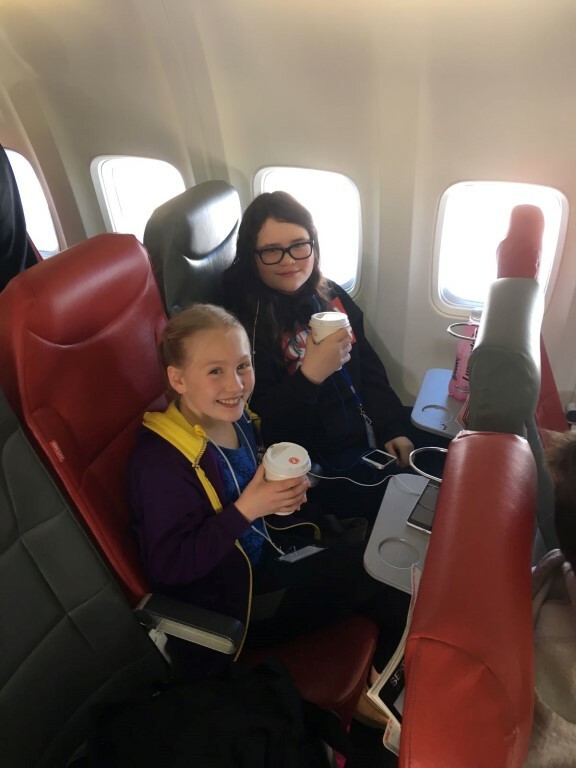 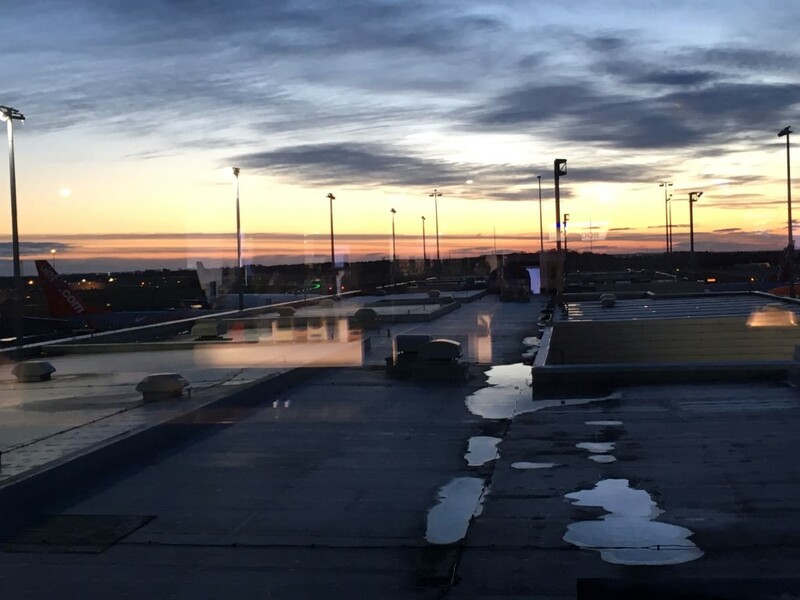 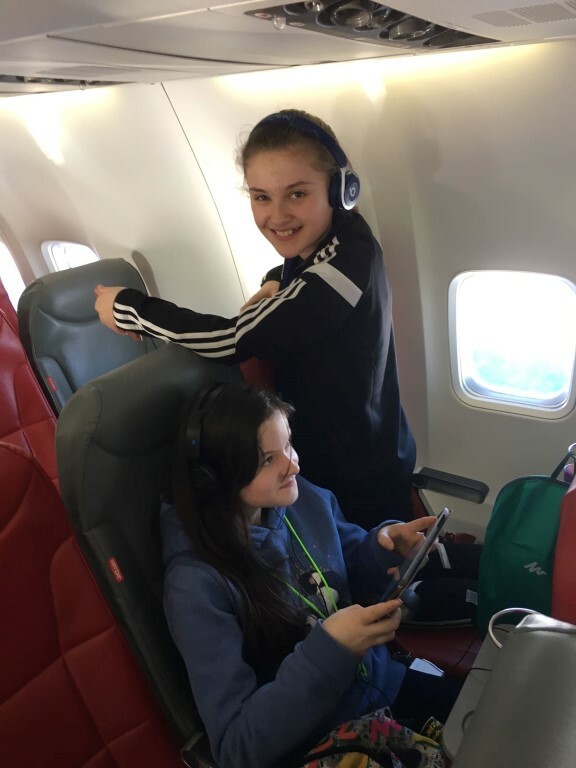 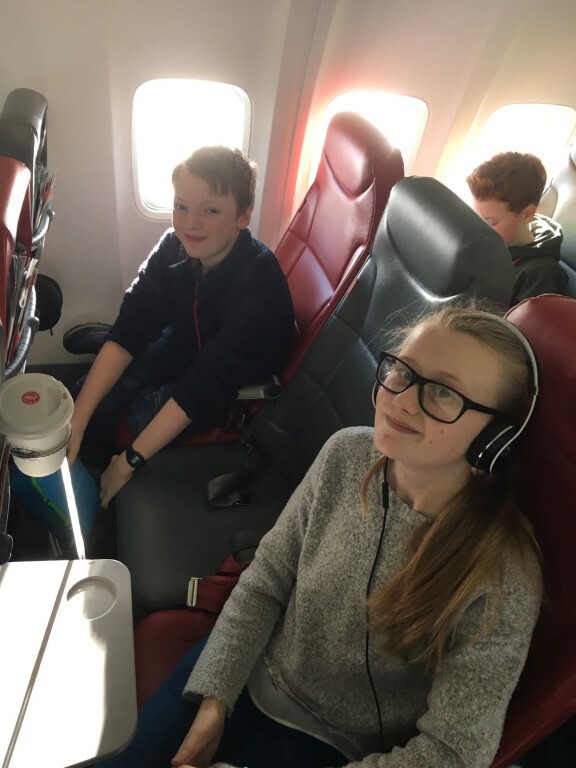 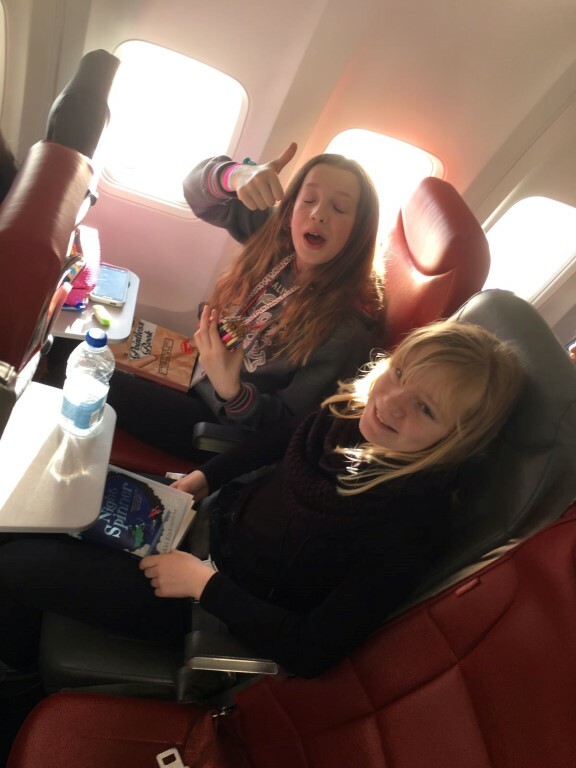 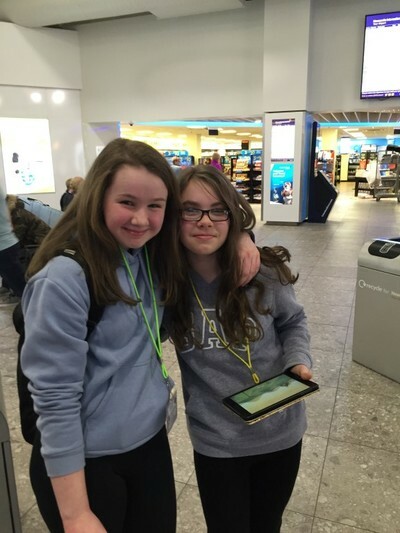 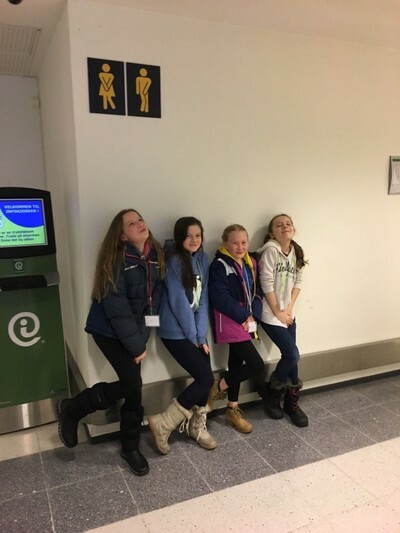 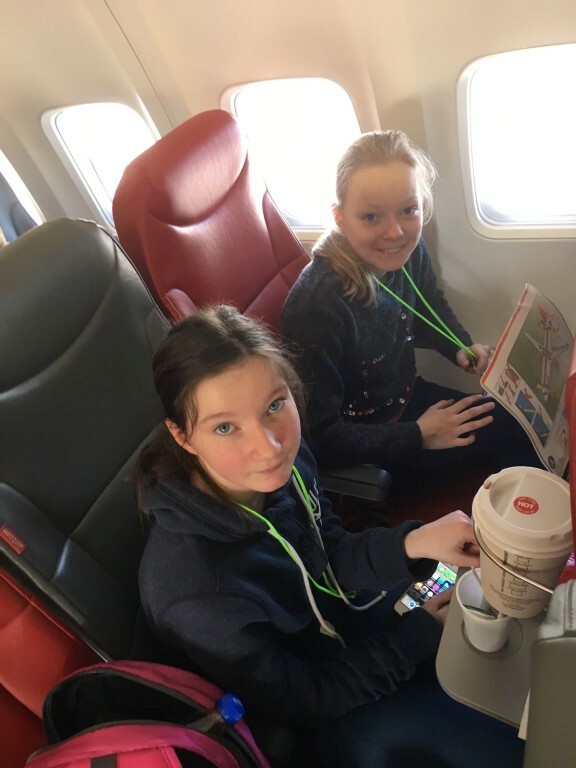 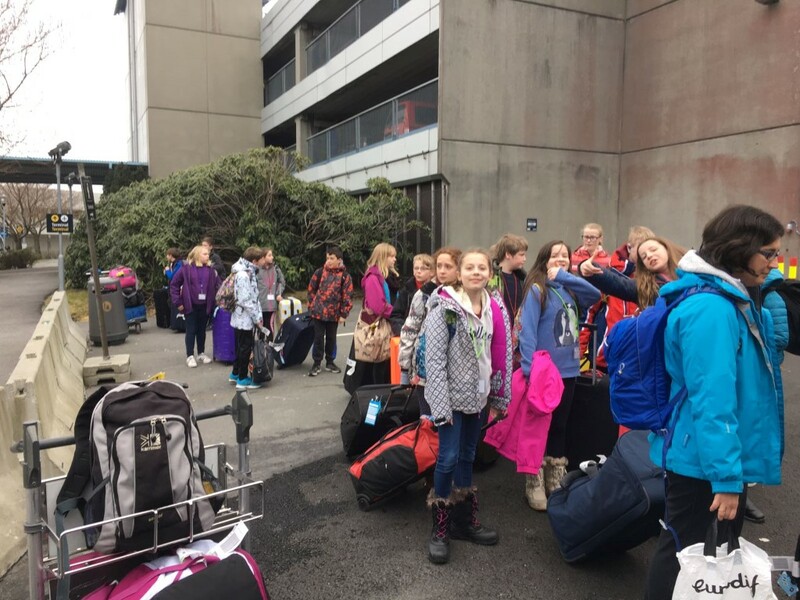 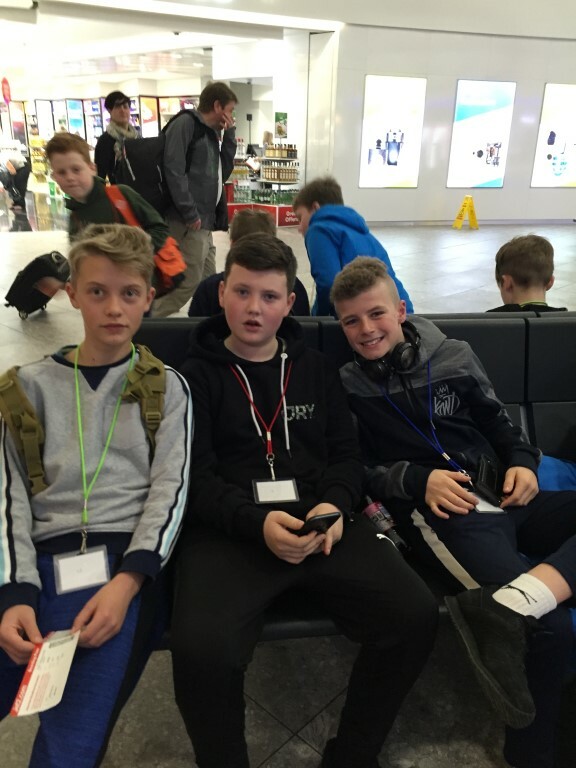 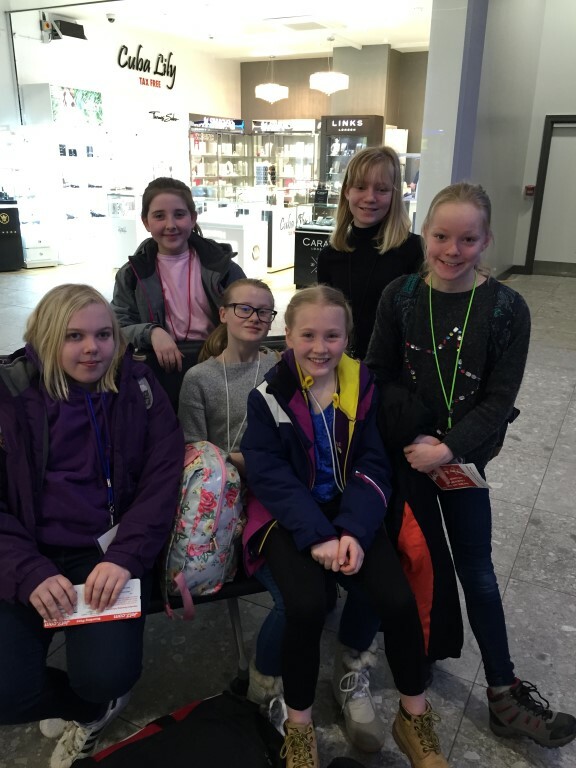 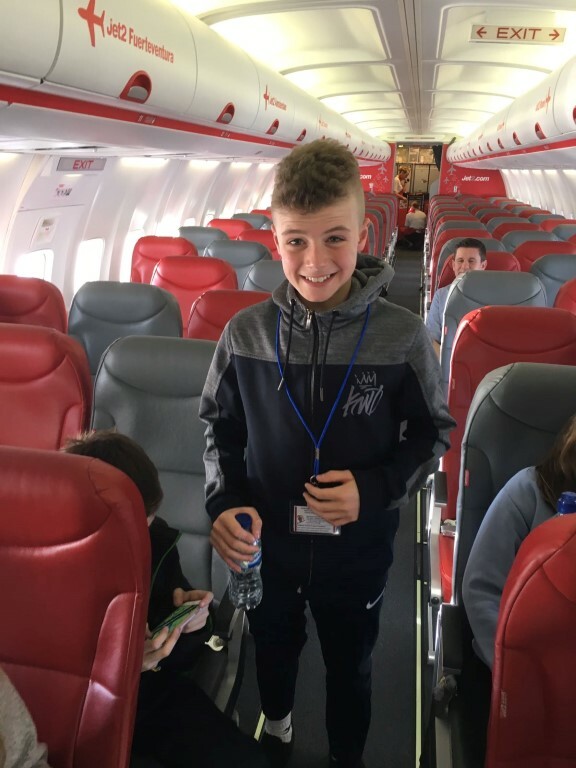 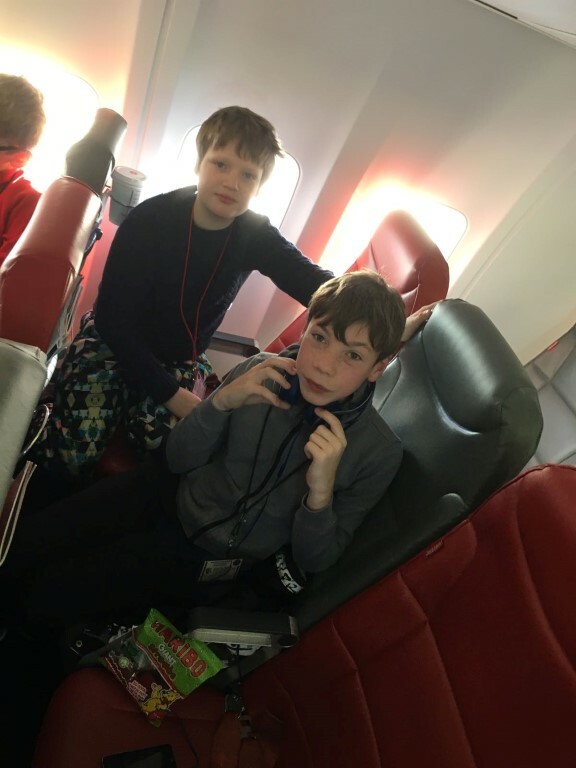 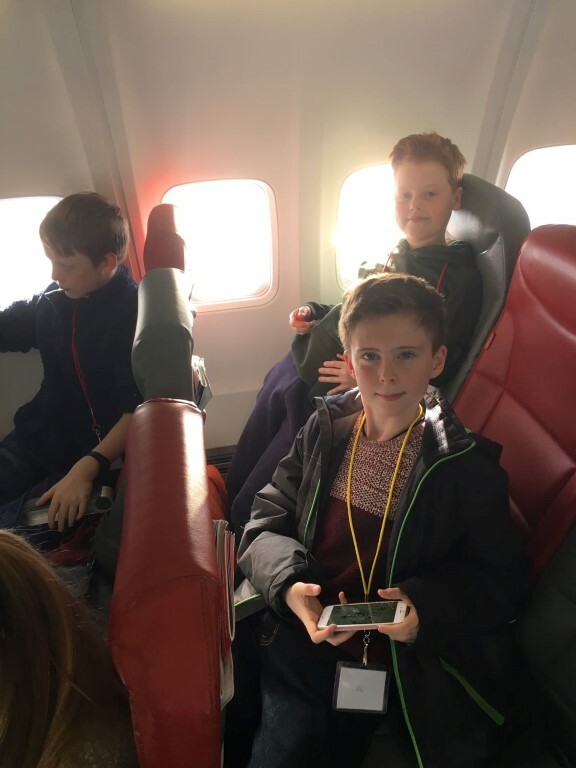 It was an early morning start for us all - the group met at 05:00 and swiftly went through to the departure lounge at Newcastle Airport. 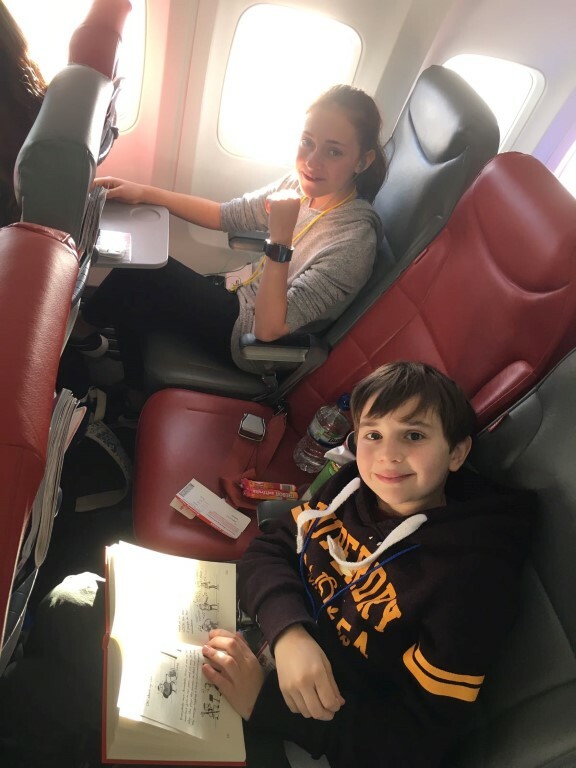 Other than a lost boarding card and a lost phone (since recovered) the departure was smooth followed by a pleasant on-time flight to Norway. We arrived safely at the hotel. 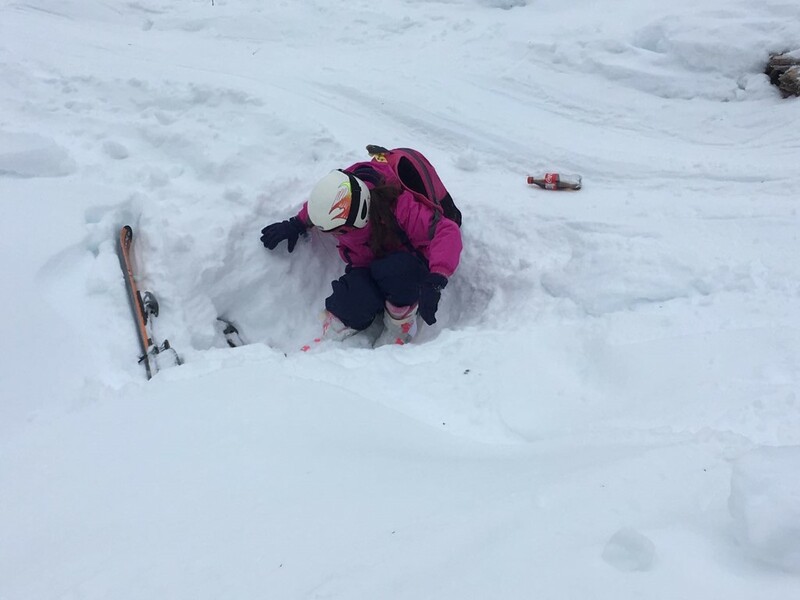 Making up the beds was eventful - thanks parents! 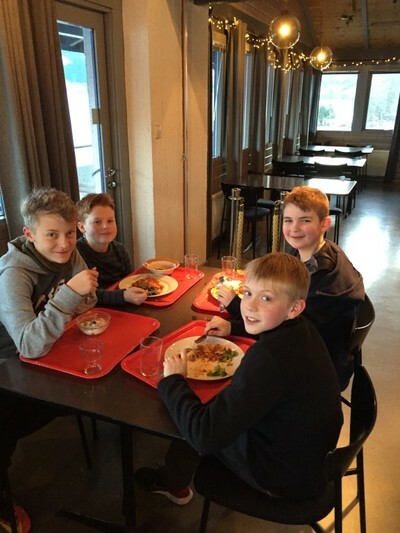 We have had a tour of the facilities followed by a warm lunch. 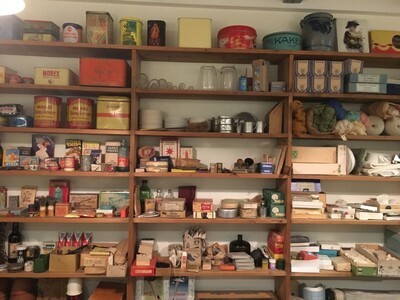 After we finish unpacking we will be visiting Voss town. 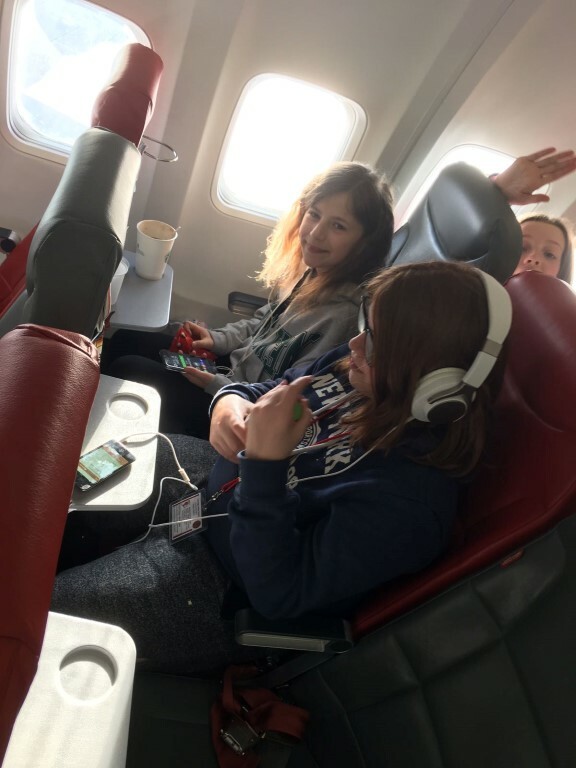 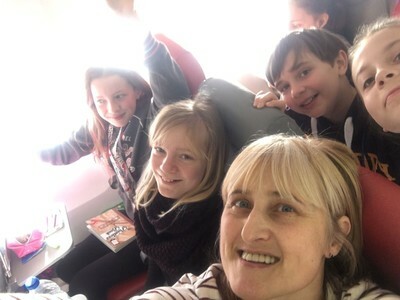 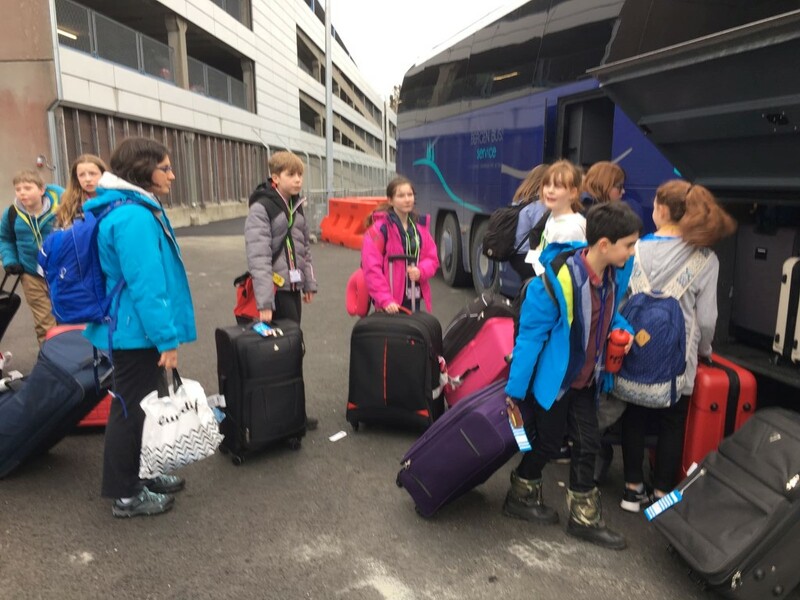 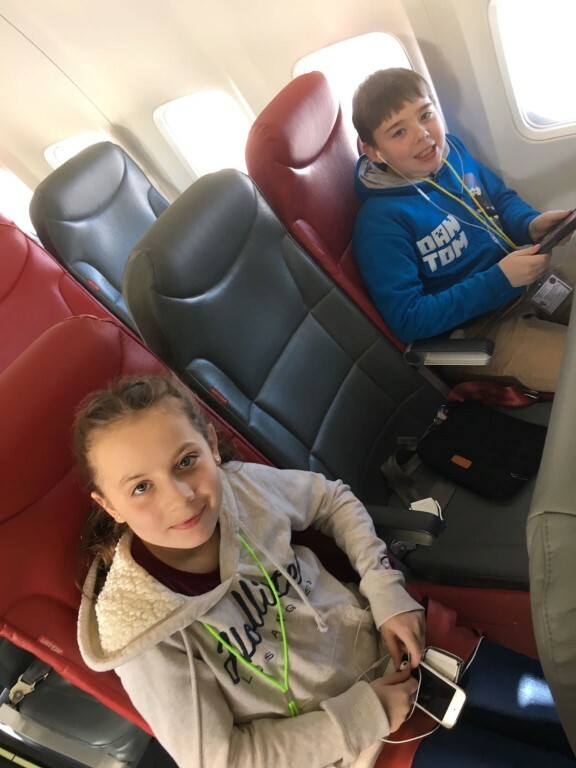 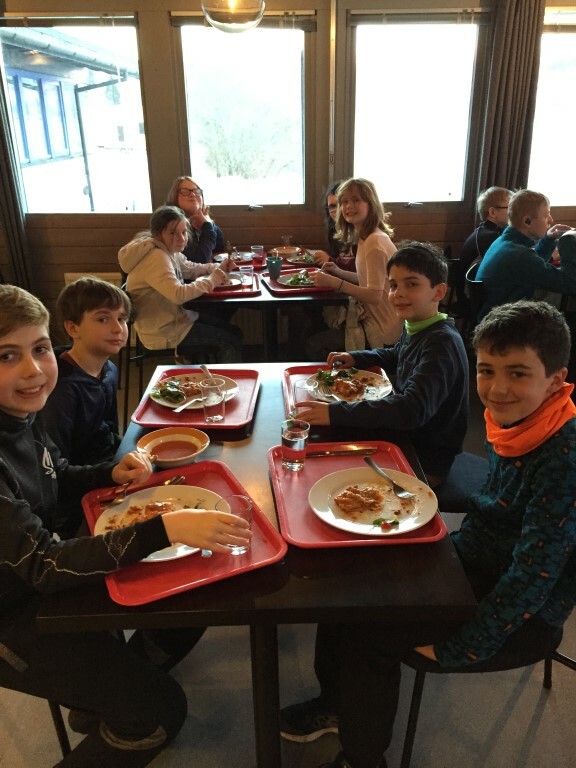 On our return, a short diary session (considering it is a Sunday) followed by our evening meal and we will be ready to meet the ski school team! 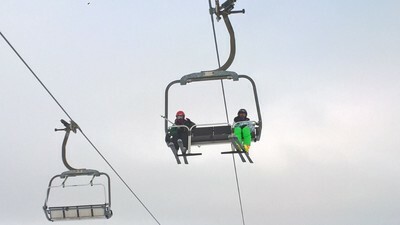 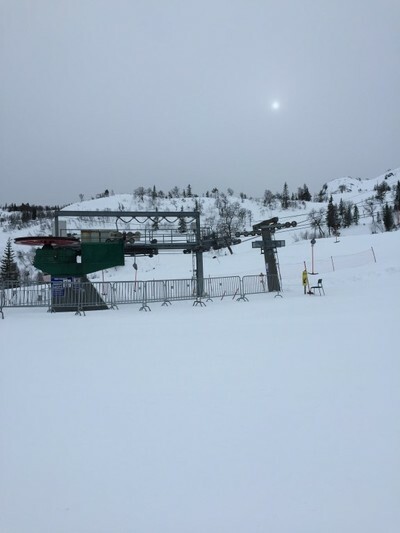 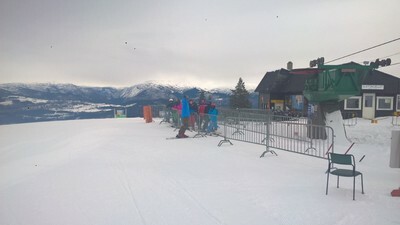 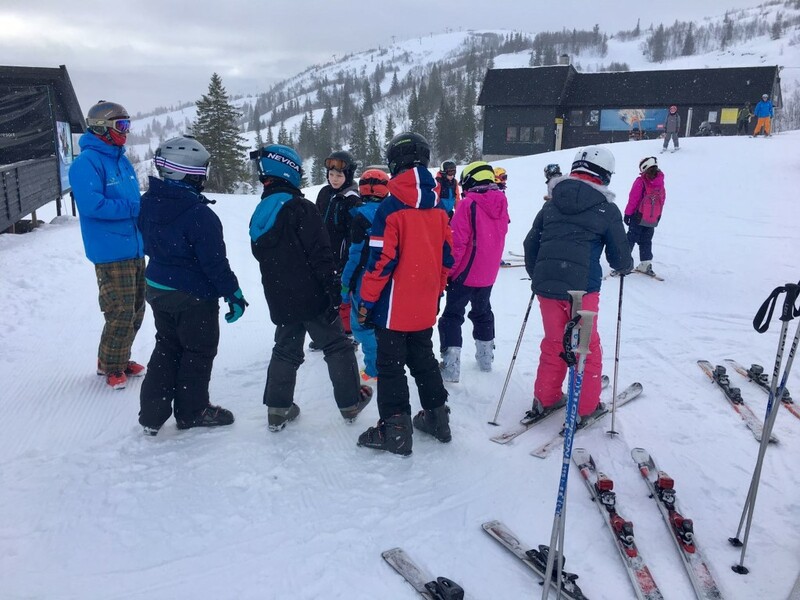 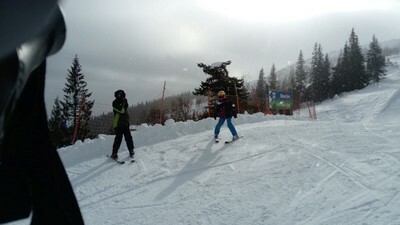 Boots are fitted and lift passes issued. 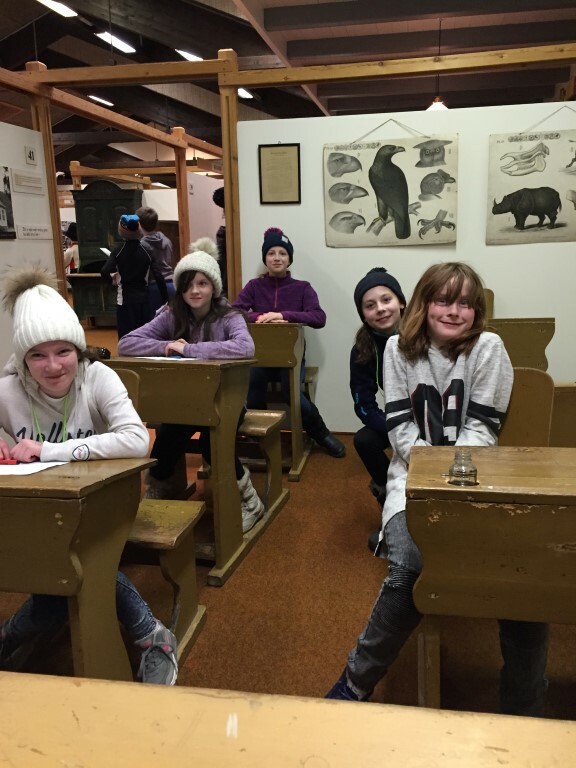 This evening we anticipate the group will settle early for bed (ha ha!). 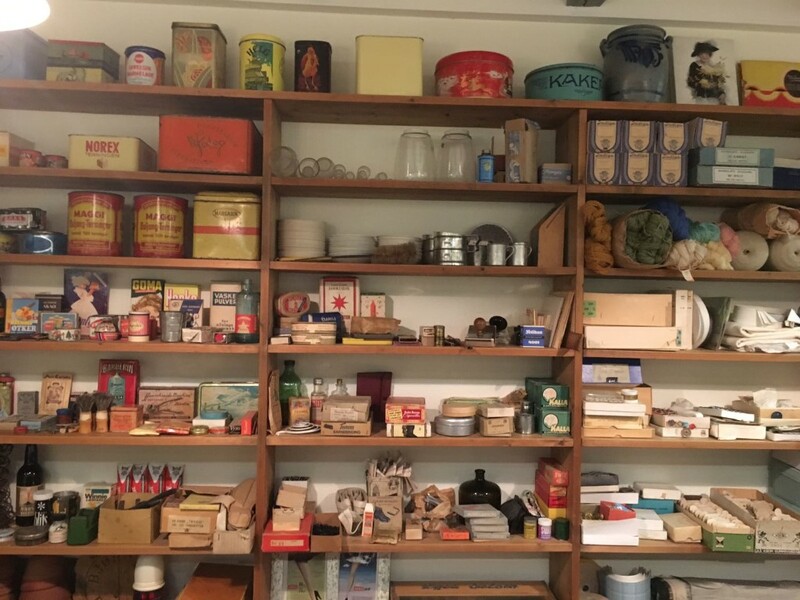 We will update this blog each evening - at various times - so keep checking back! Look what we woke up to this morning … stunning! 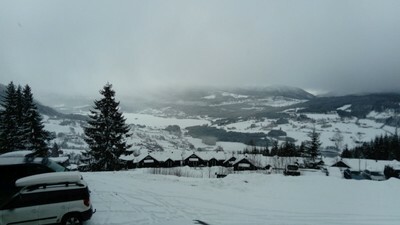 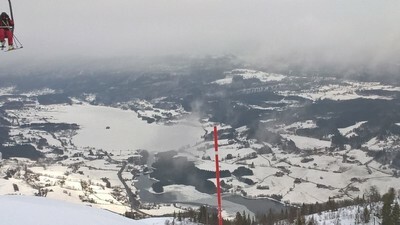 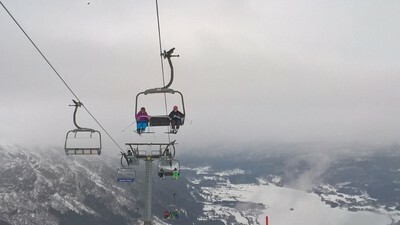 This was our view as we were transported up the mountain for our first day of skiing. 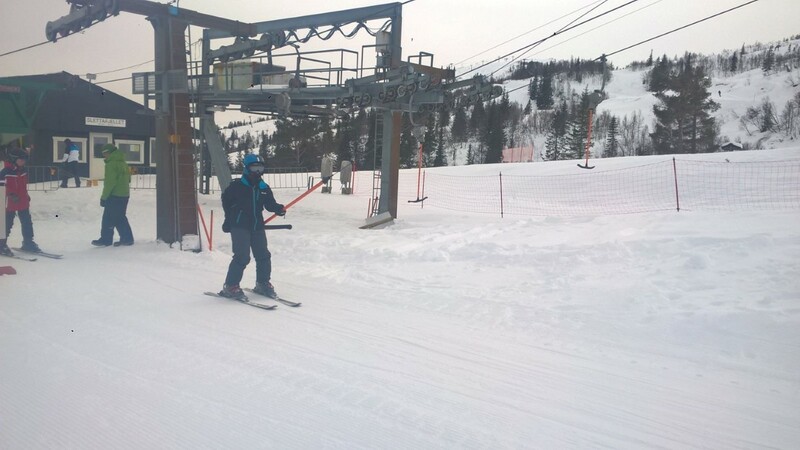 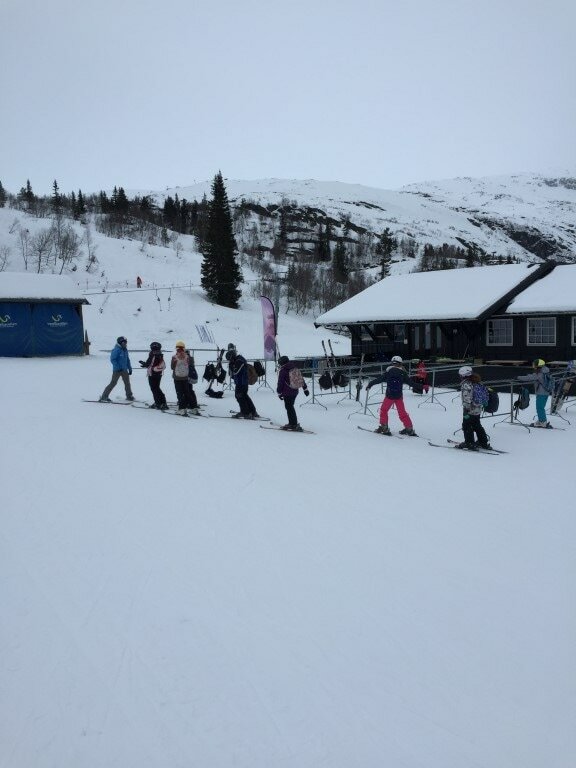 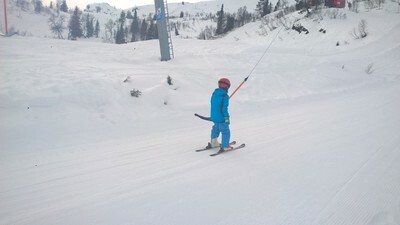 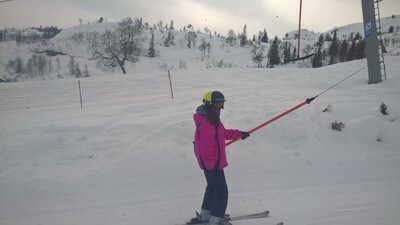 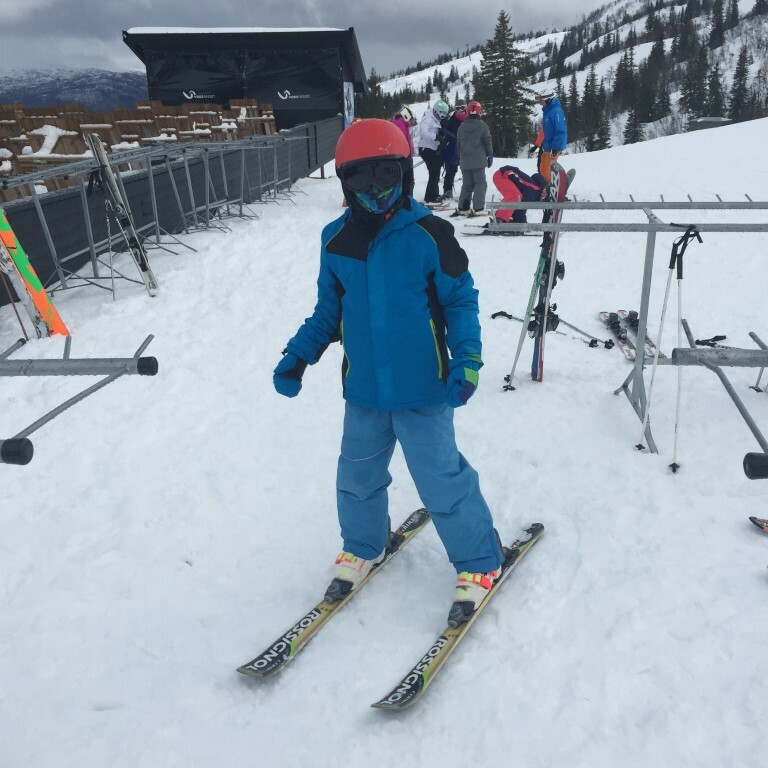 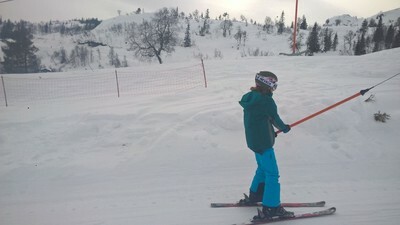 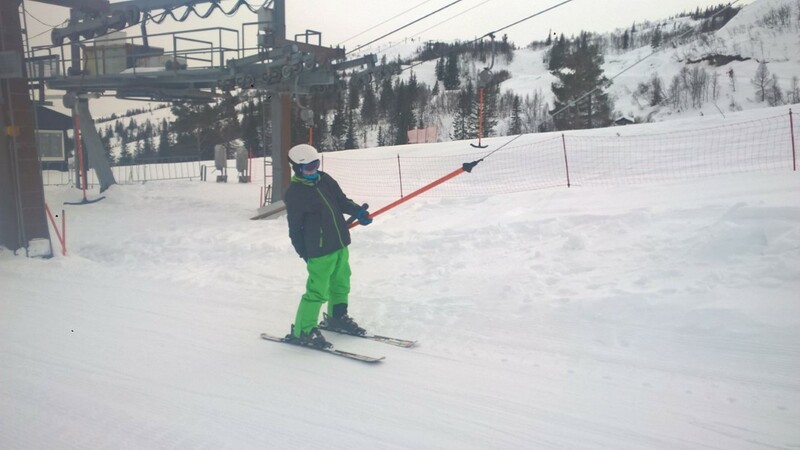 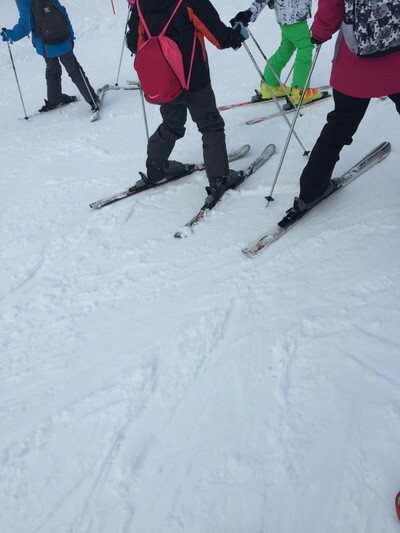 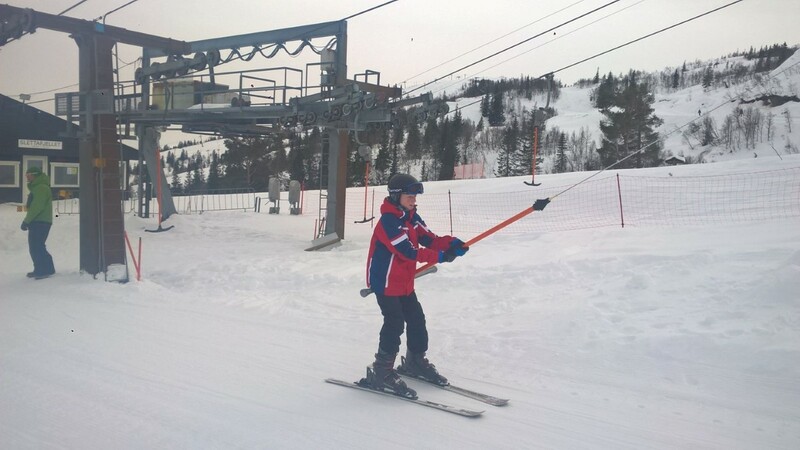 After fitting our skis, it wasn’t long before everyone was developing their skills. 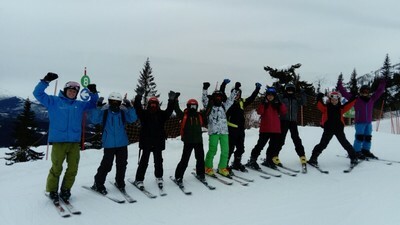 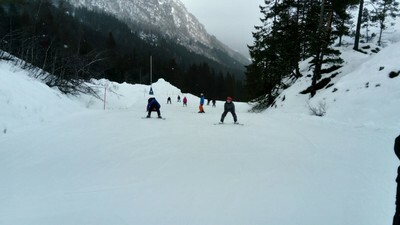 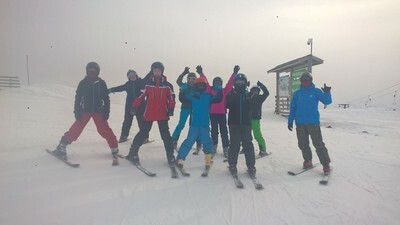 The ski instructors were delighted with the progress the groups made during our morning session. 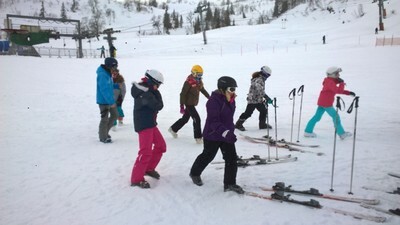 All groups were able to proceed higher up the mountain by the afternoon. 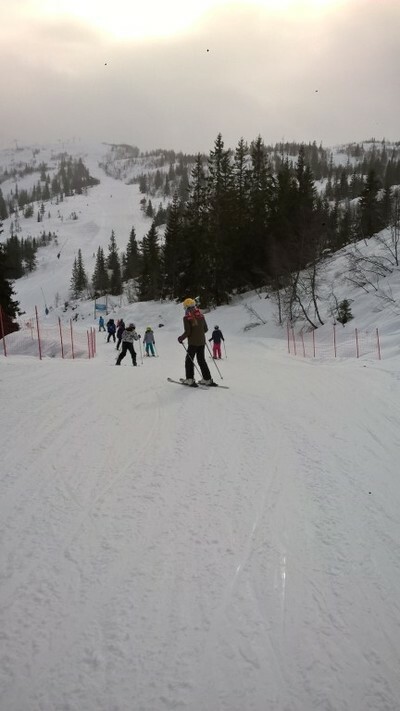 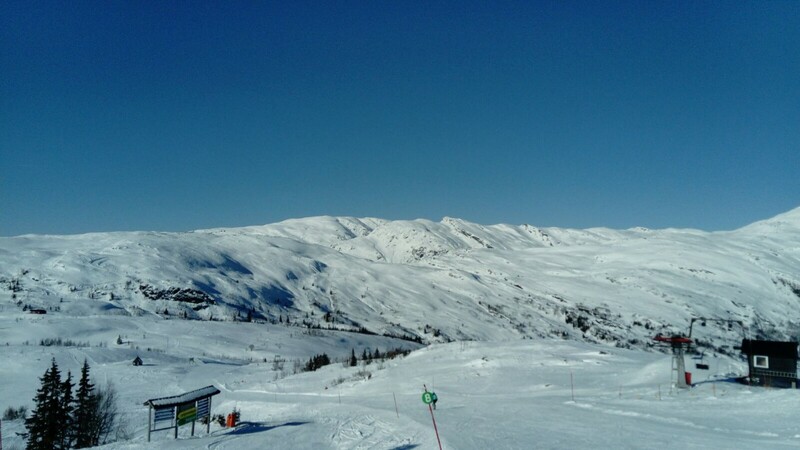 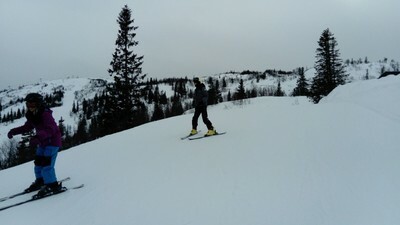 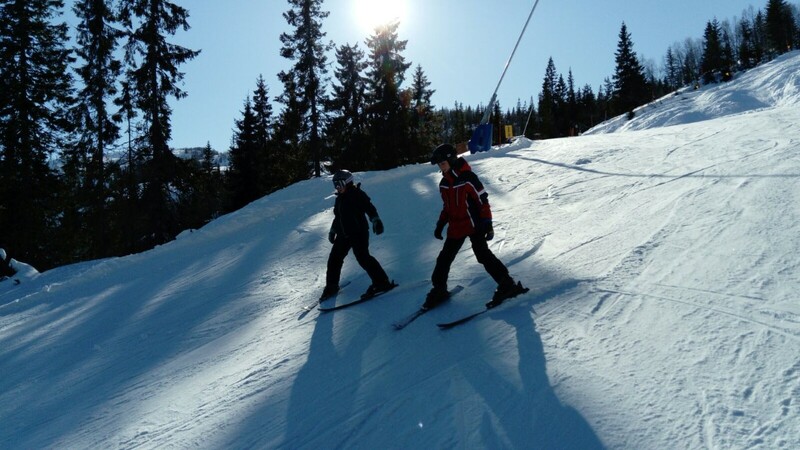 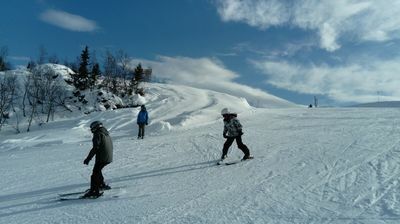 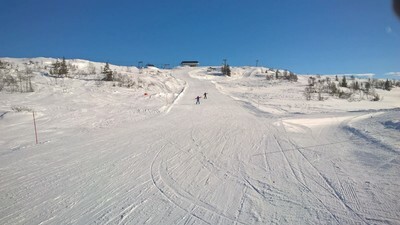 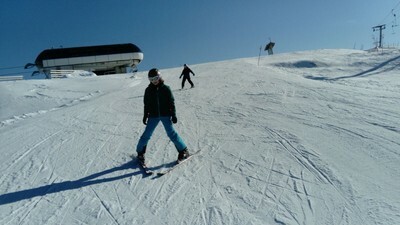 Conditions were favourable, as there was plenty of sunshine, clear skies and an abundance of snow! 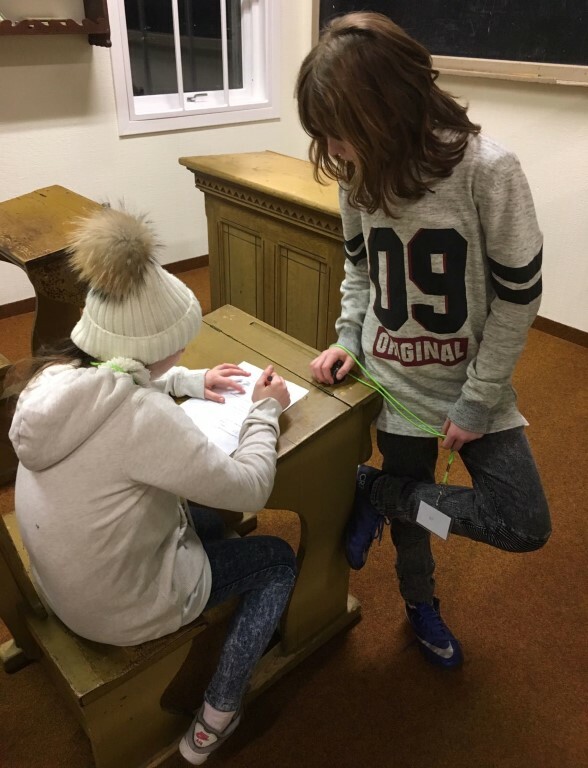 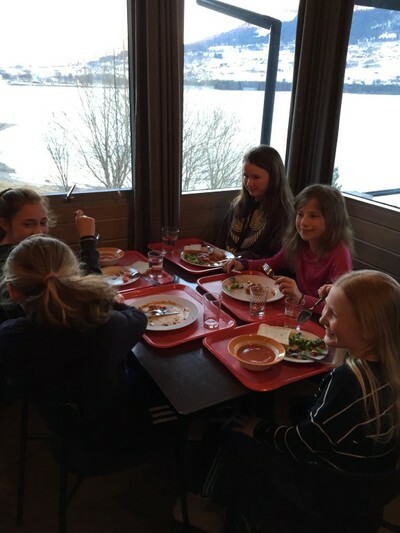 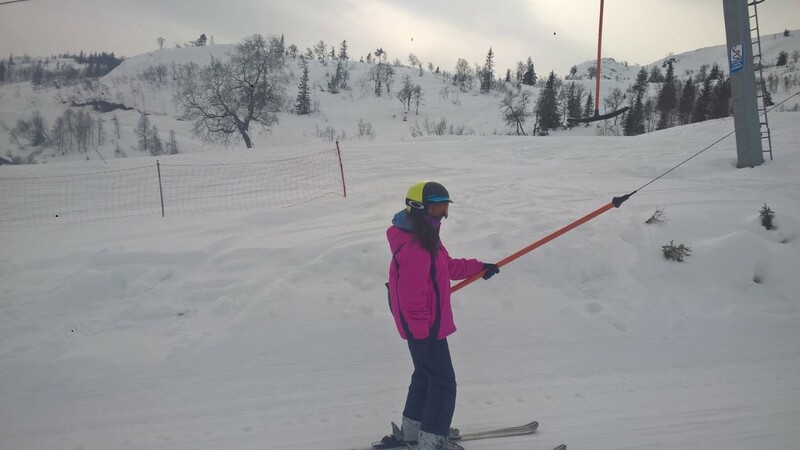 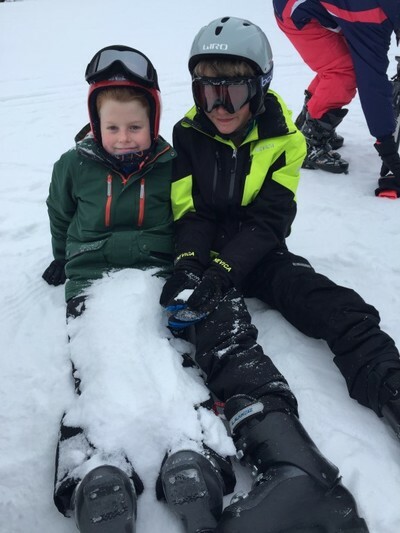 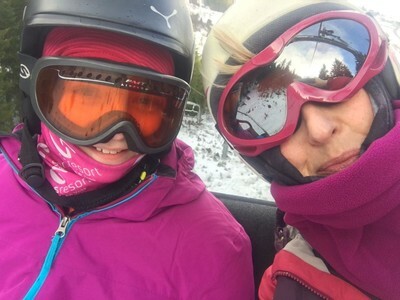 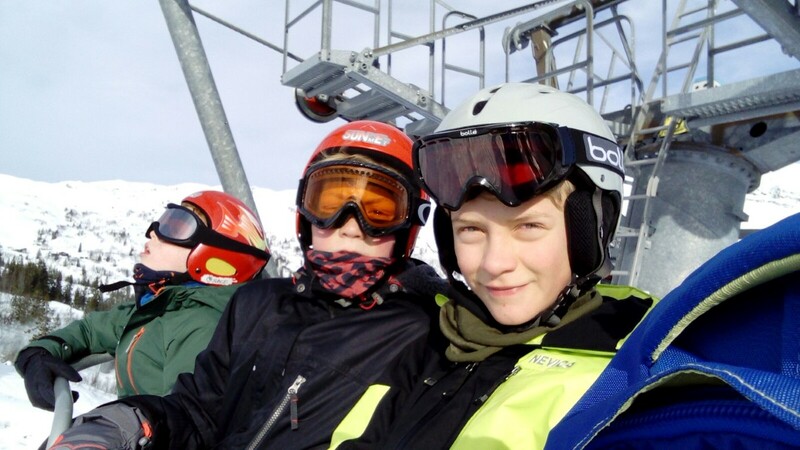 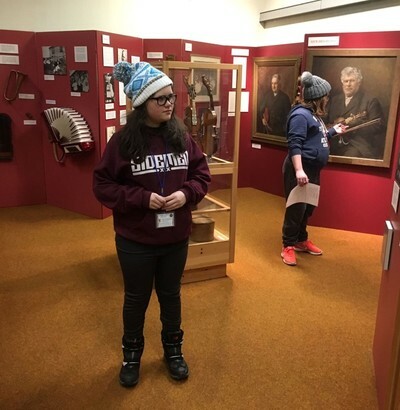 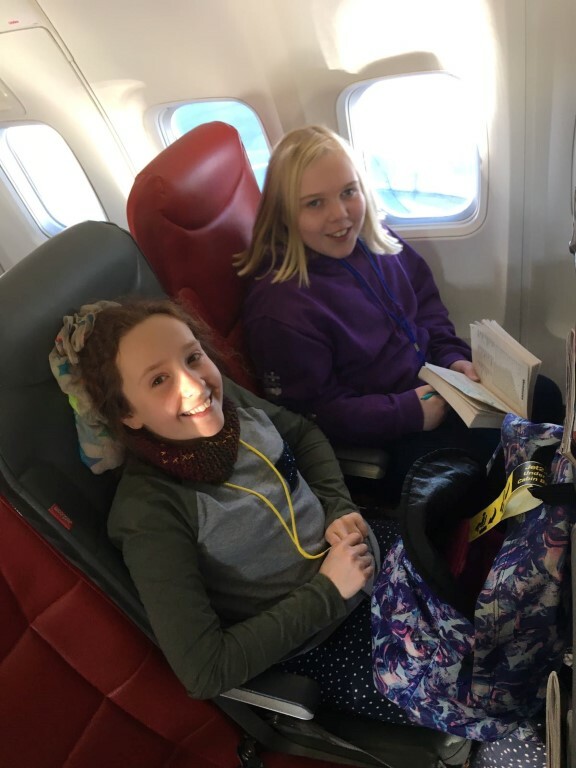 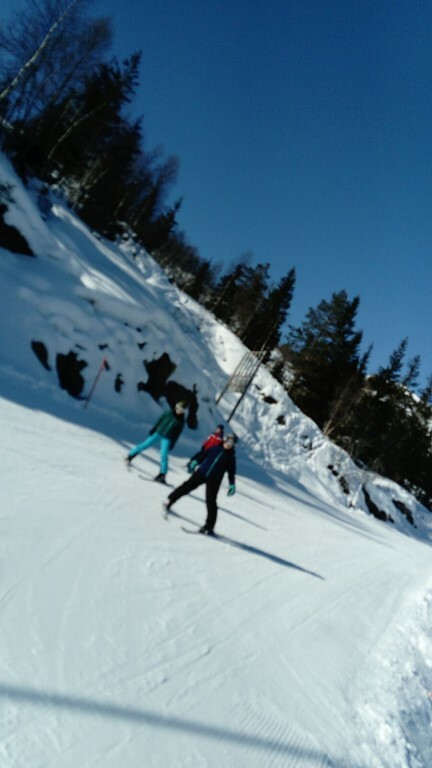 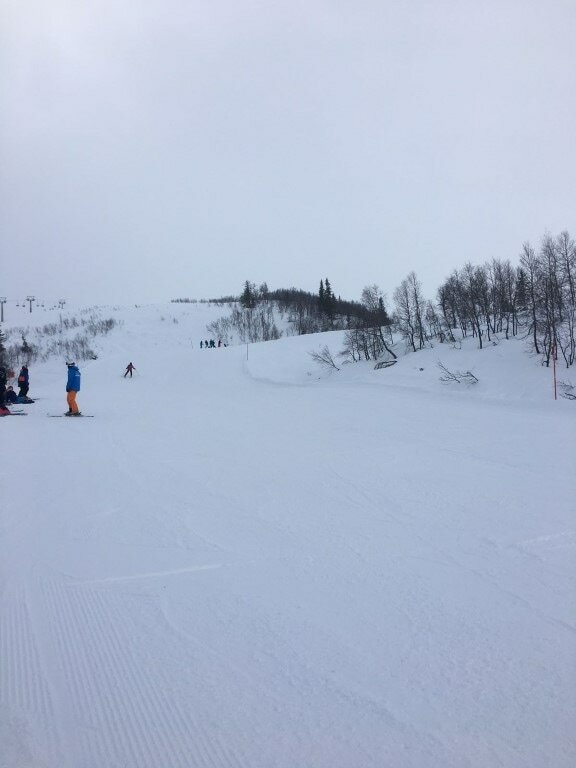 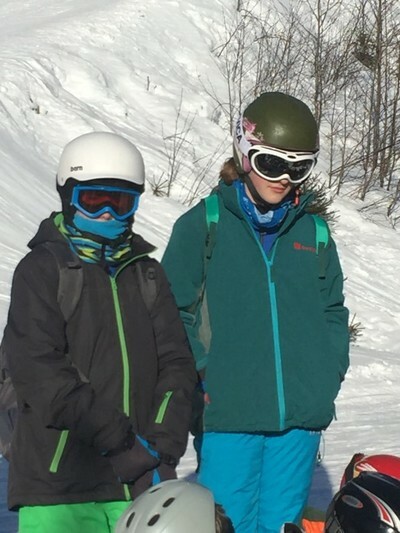 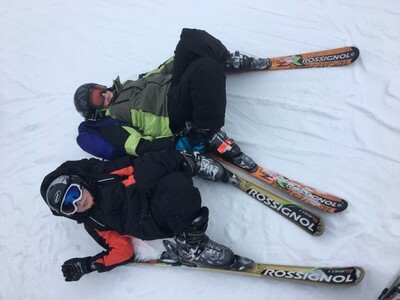 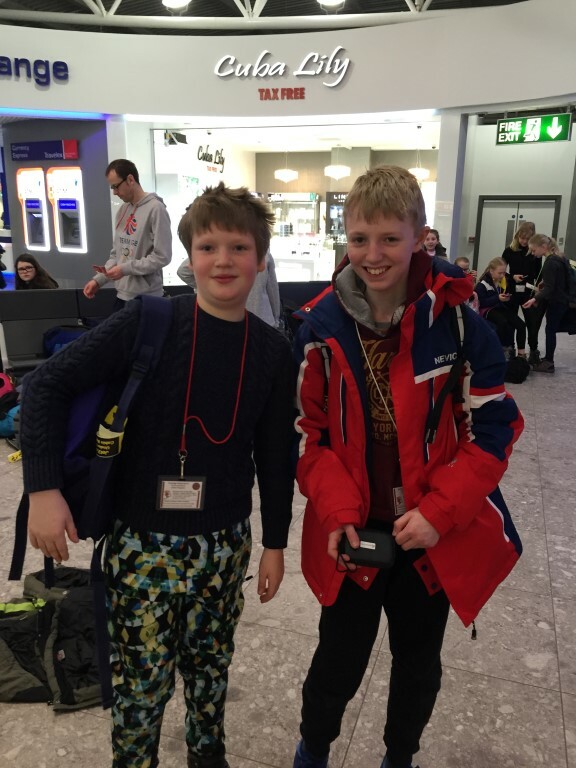 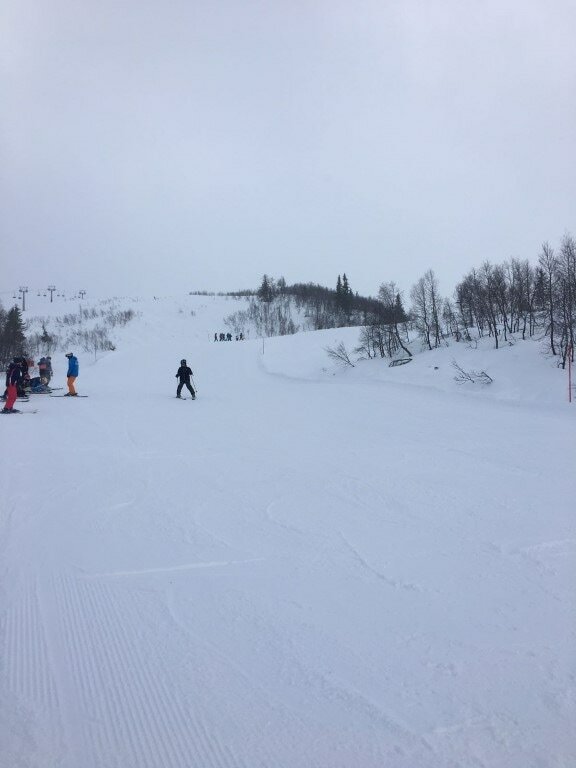 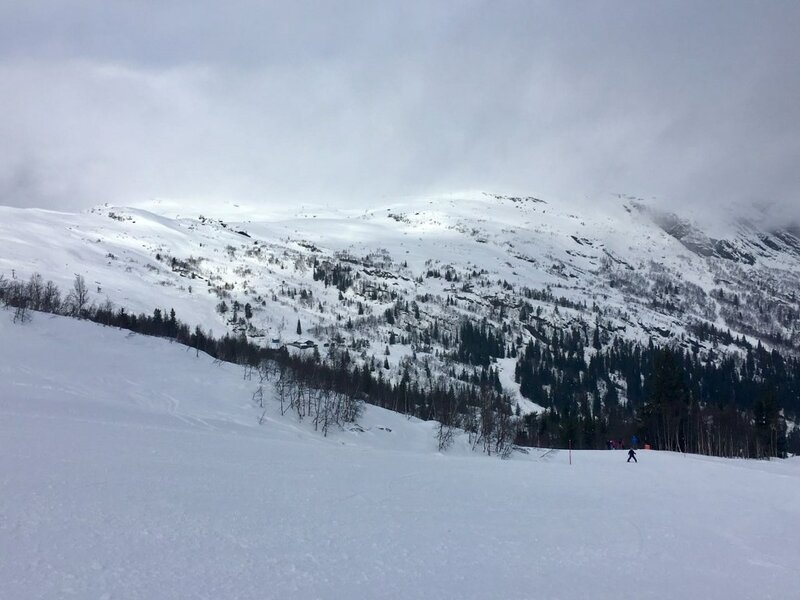 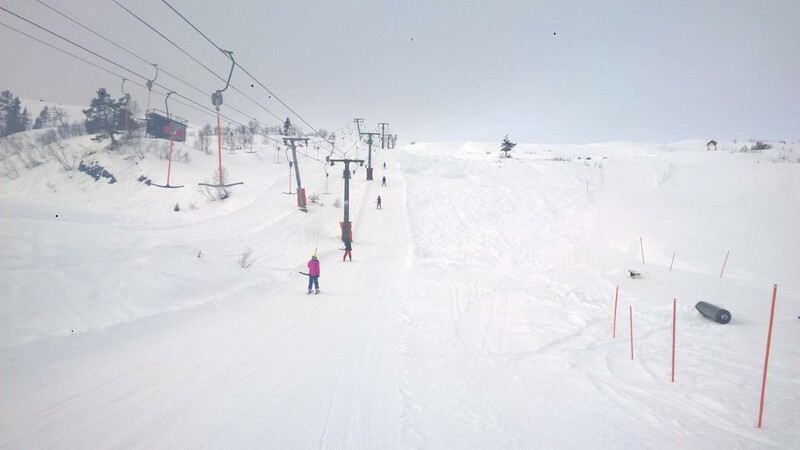 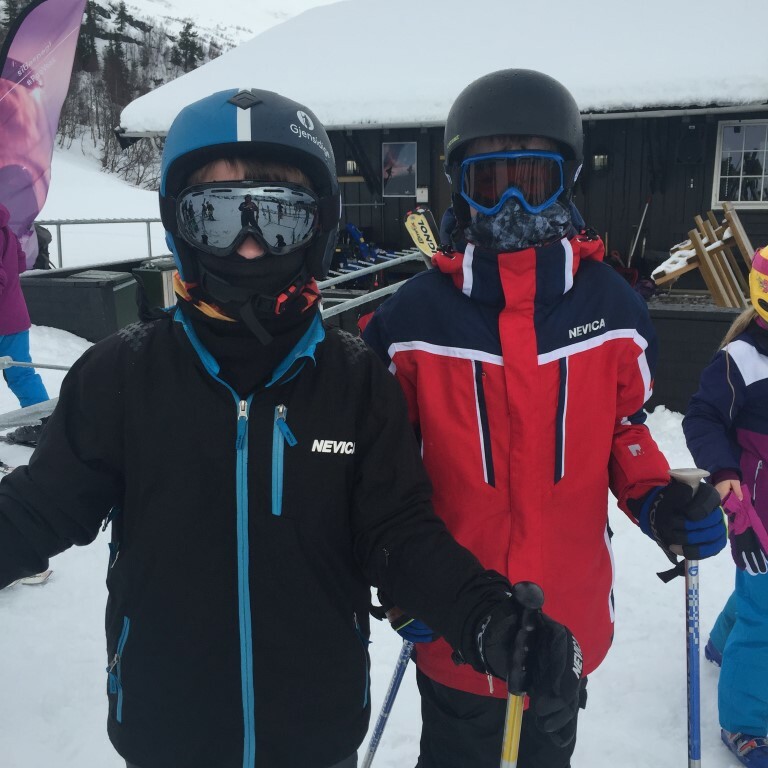 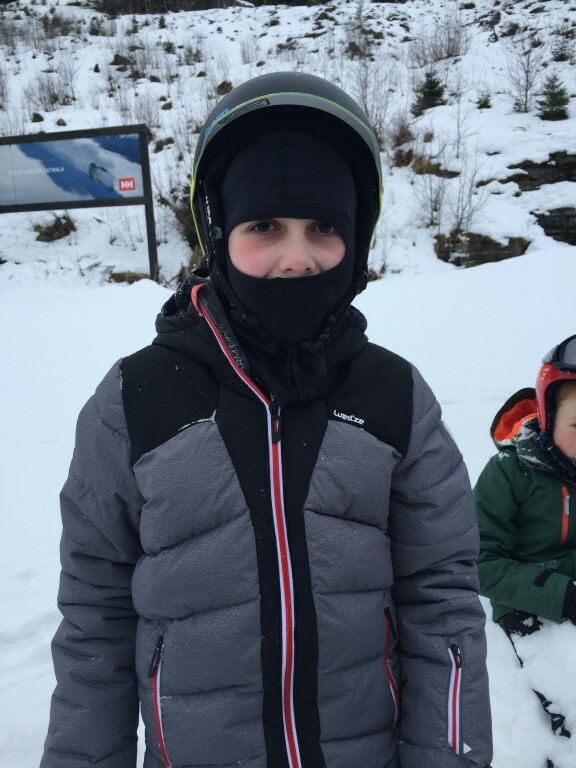 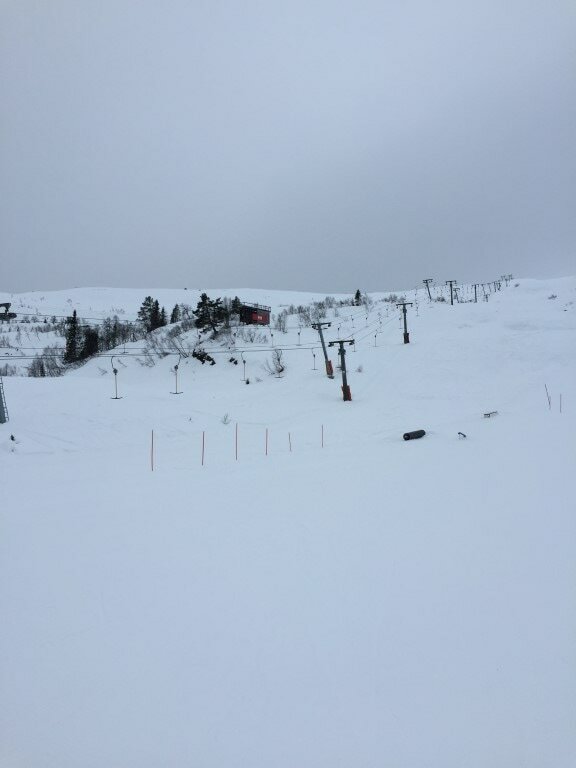 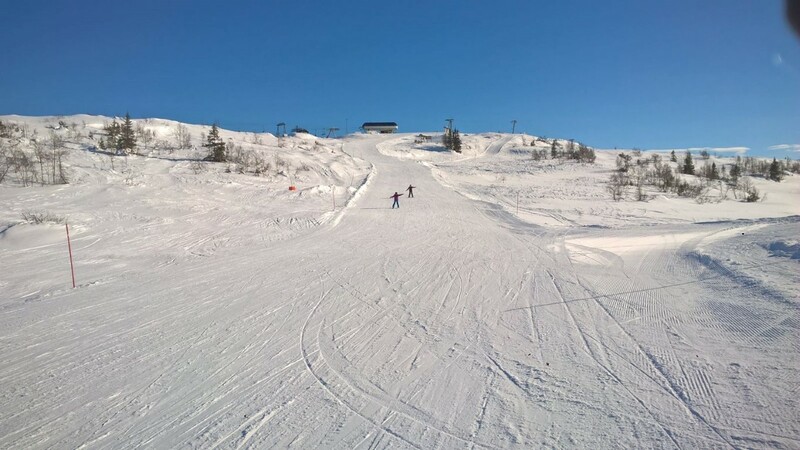 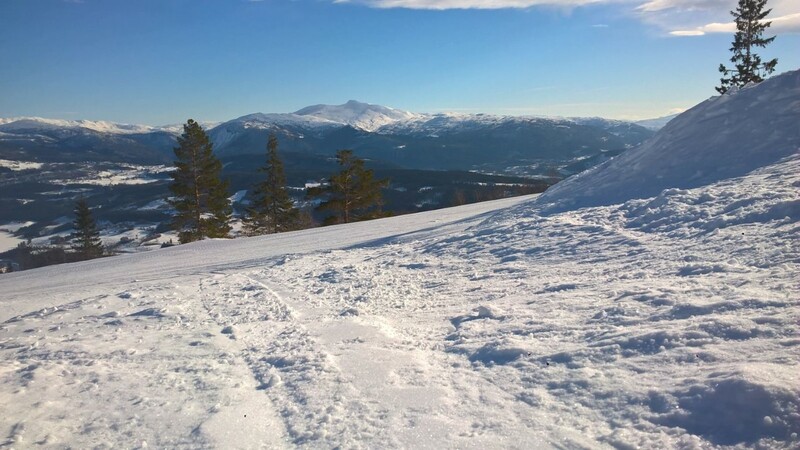 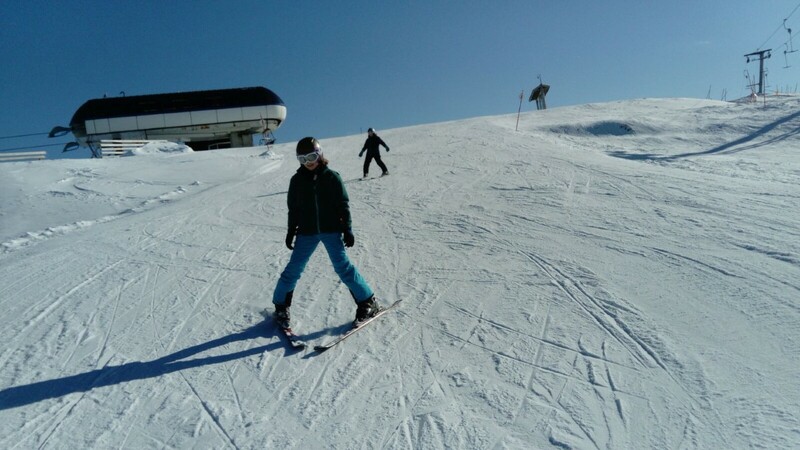 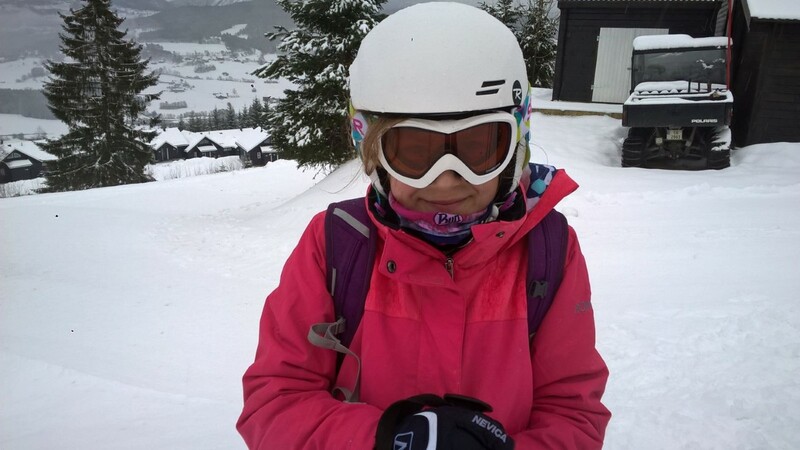 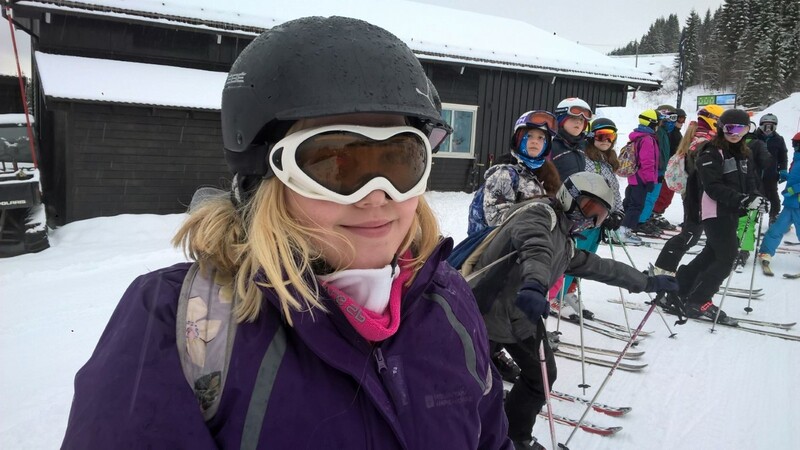 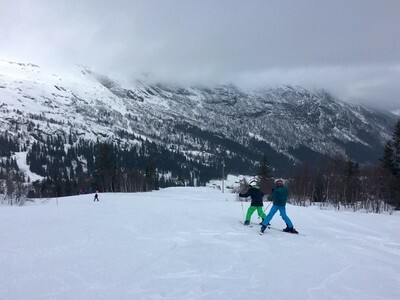 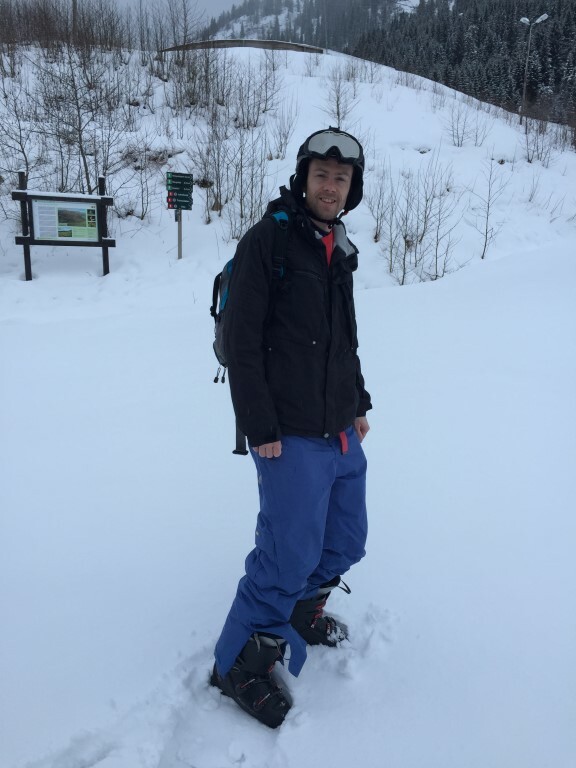 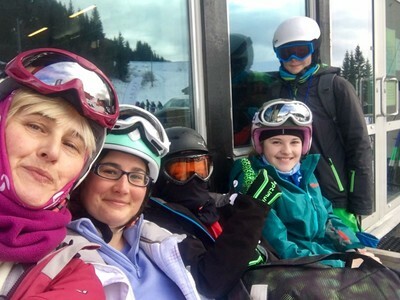 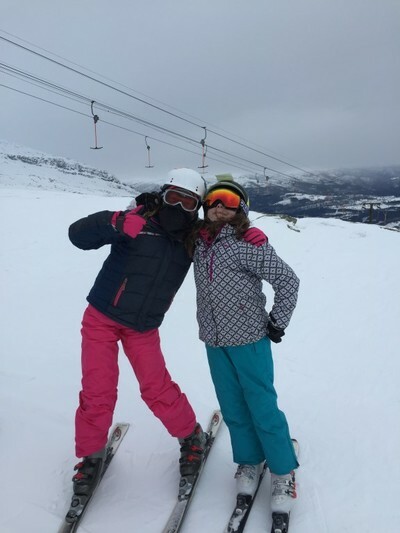 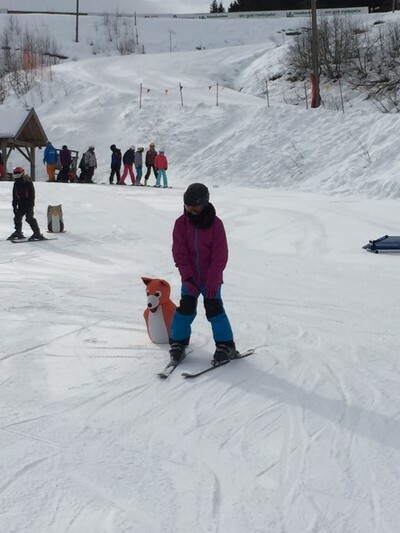 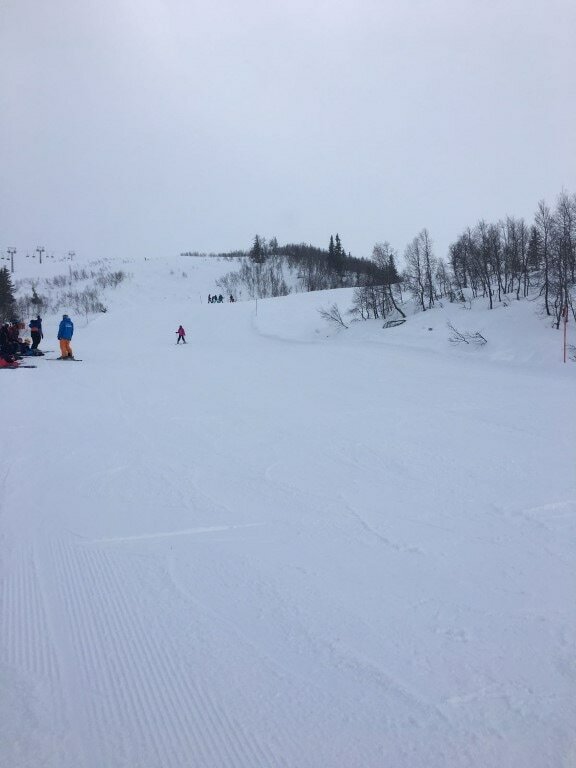 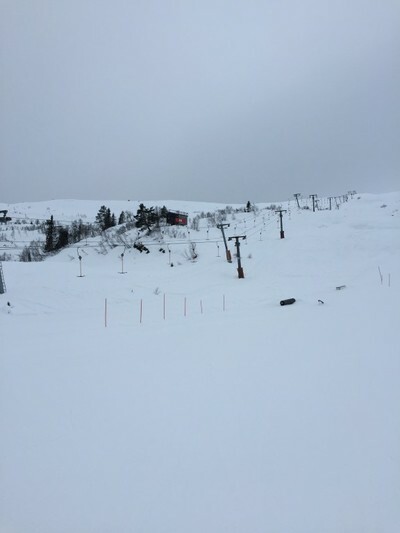 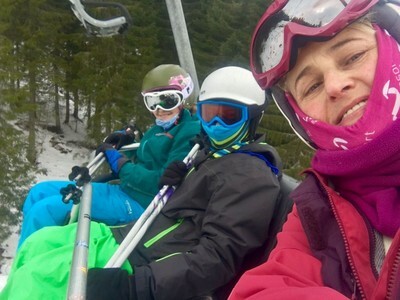 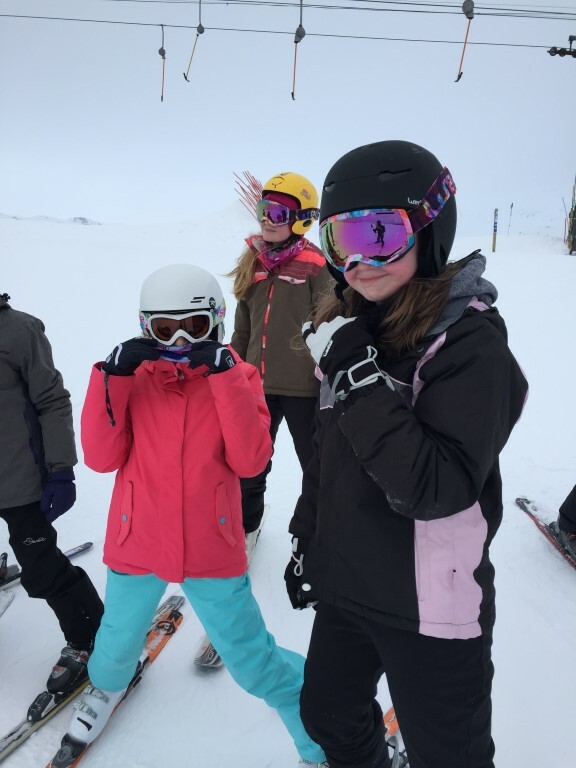 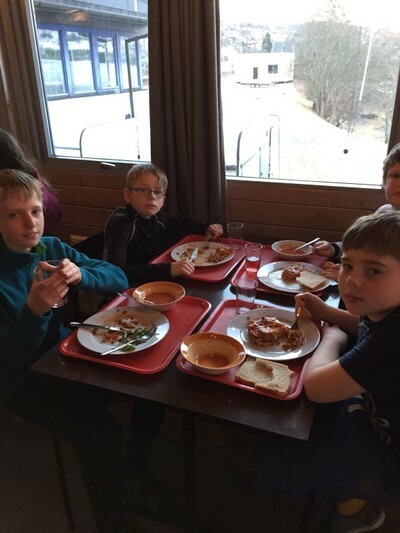 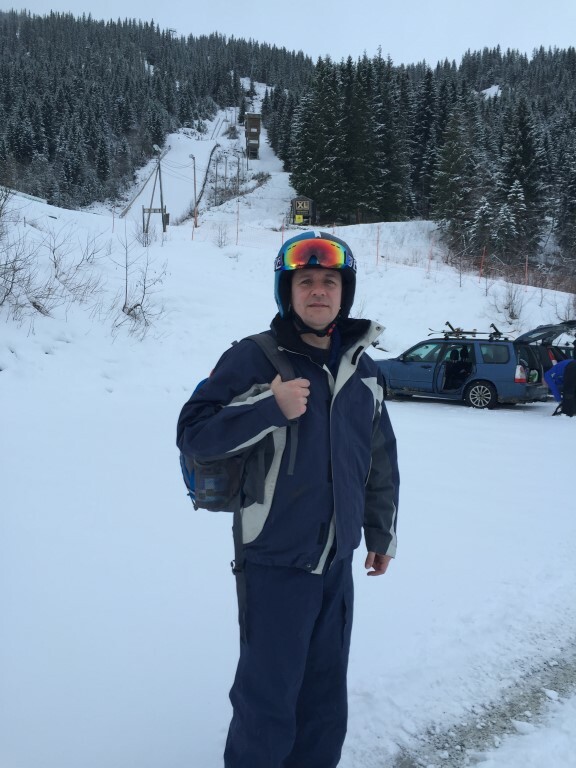 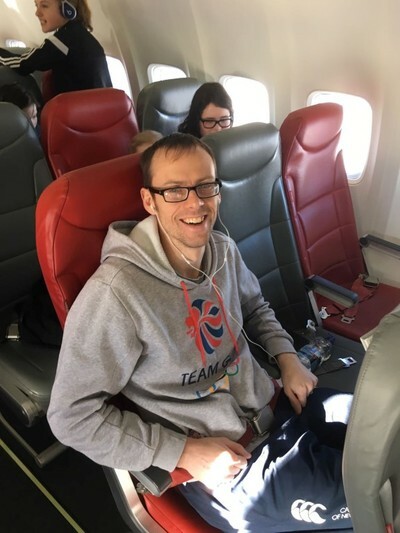 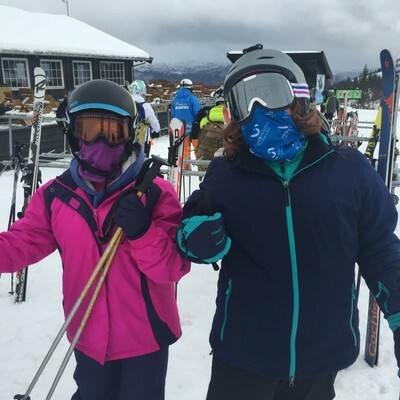 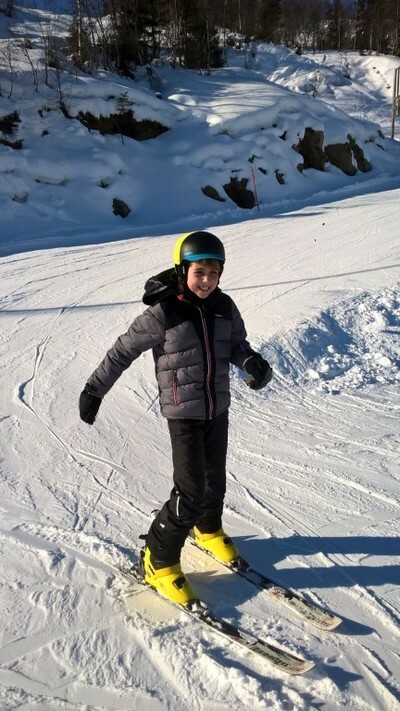 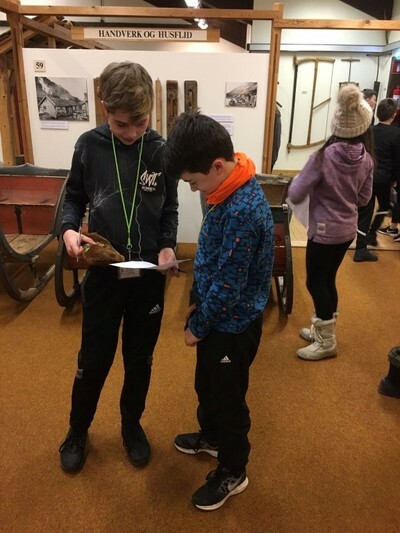 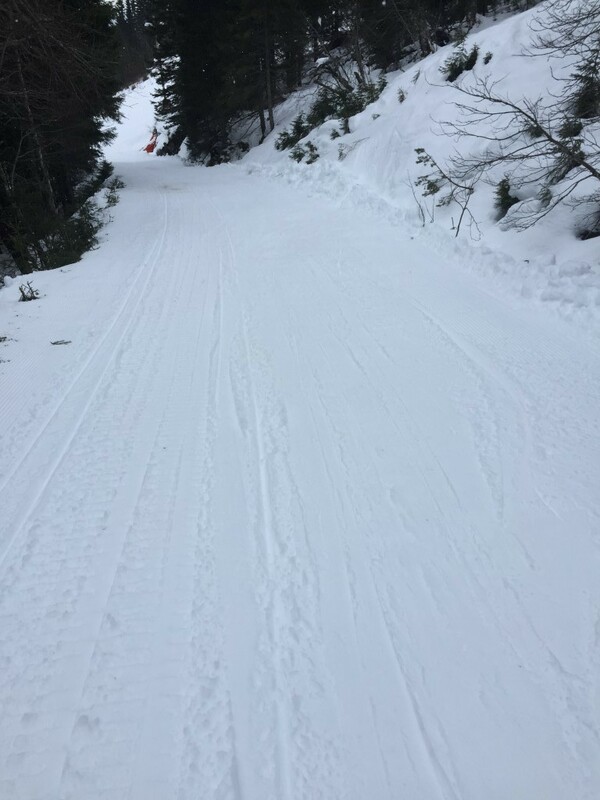 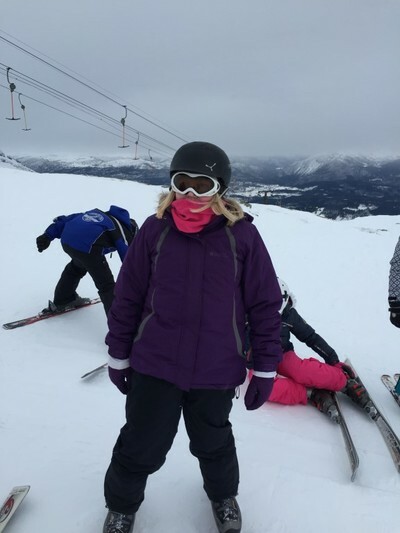 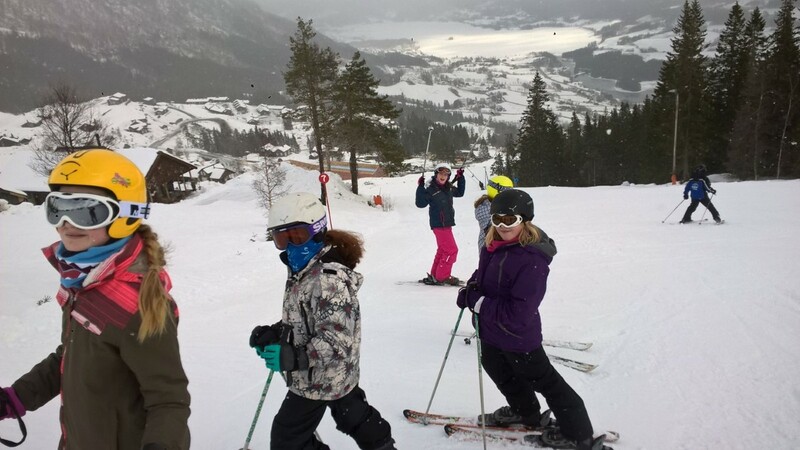 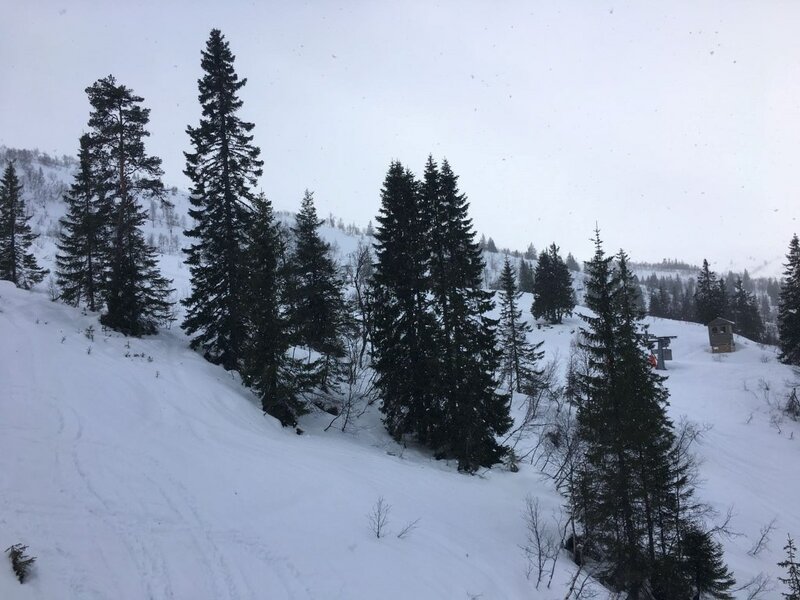 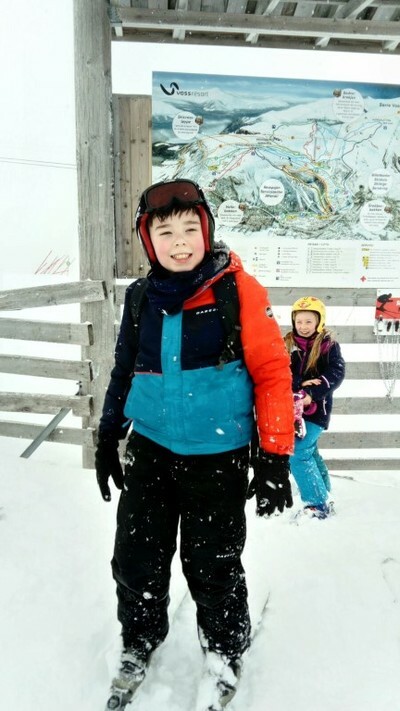 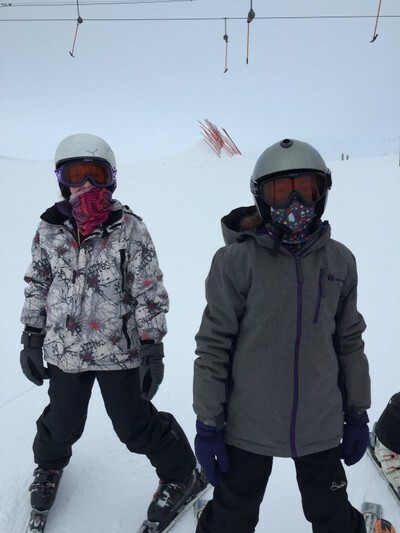 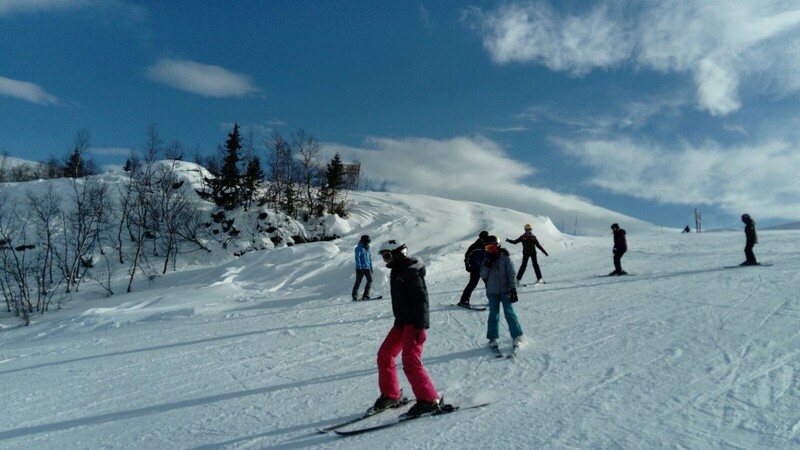 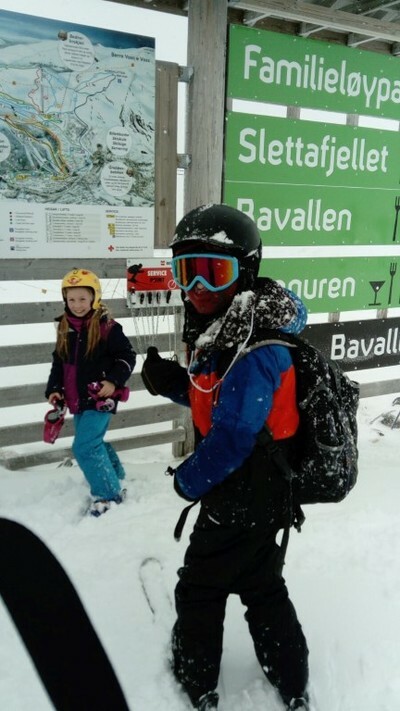 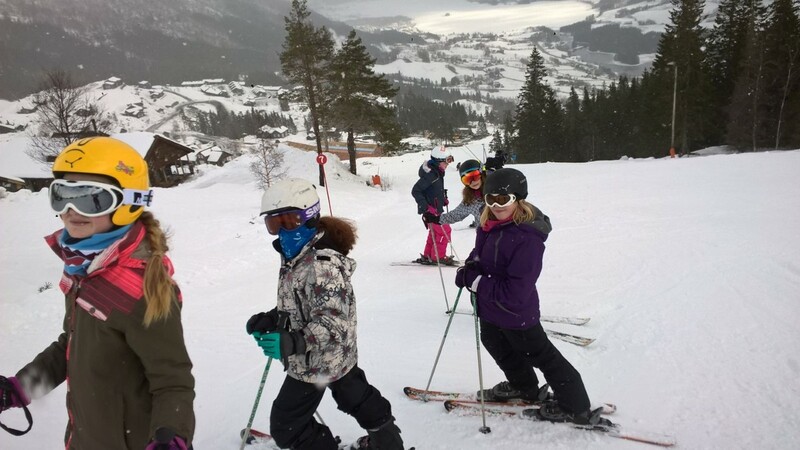 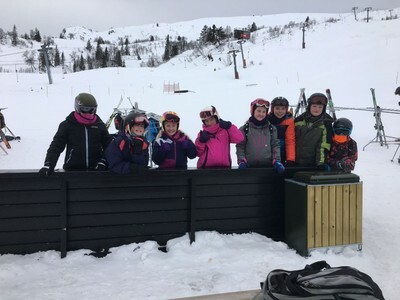 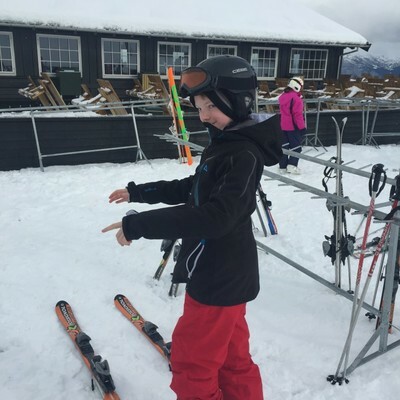 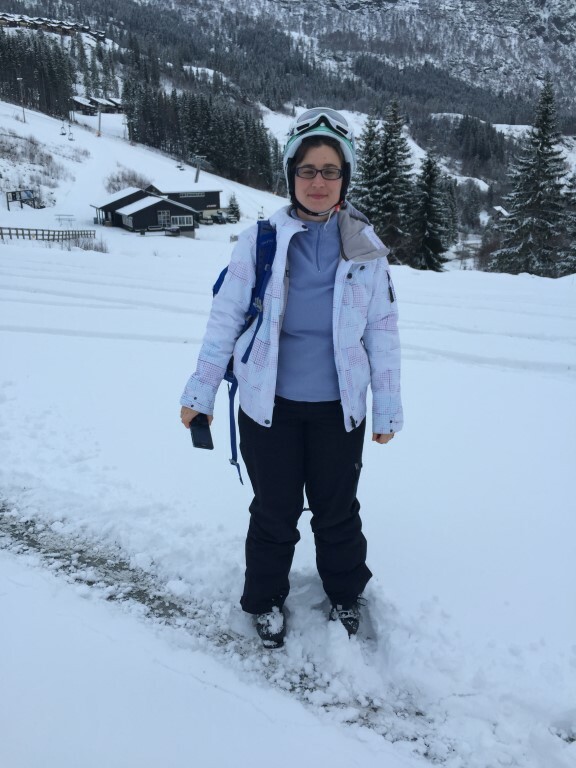 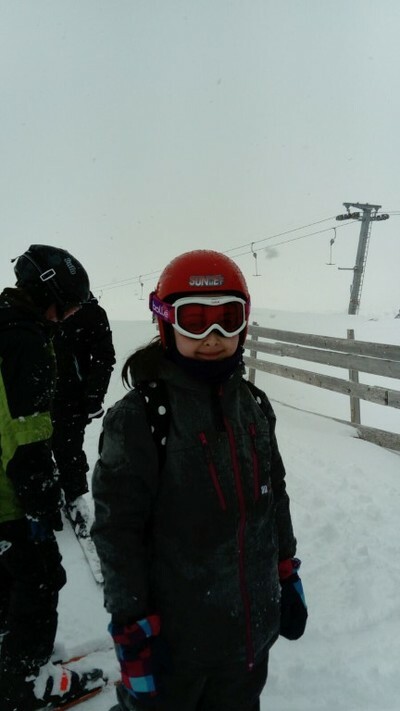 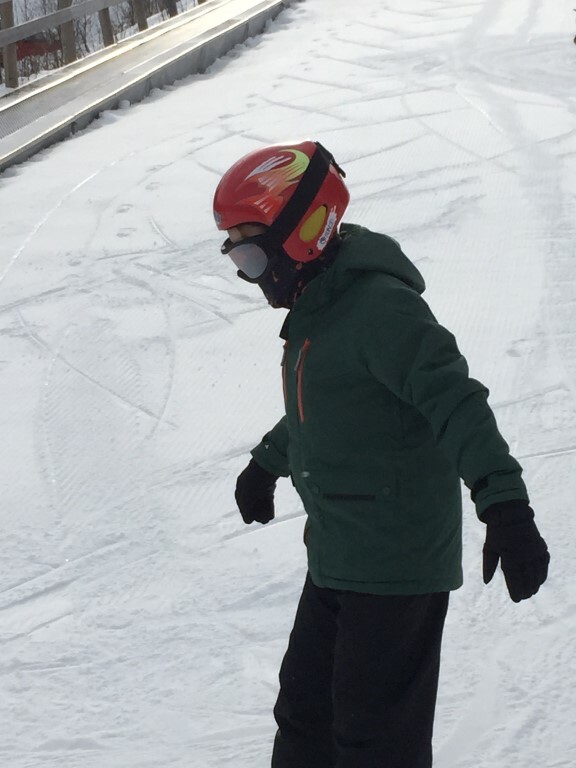 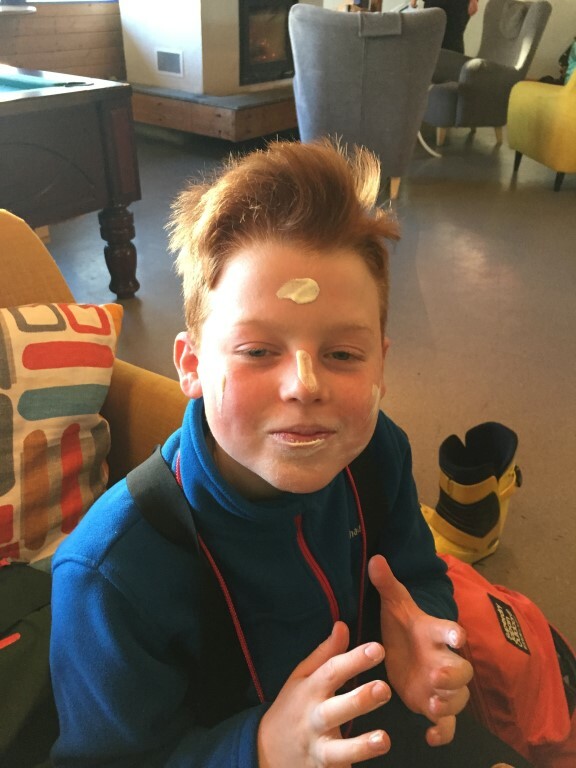 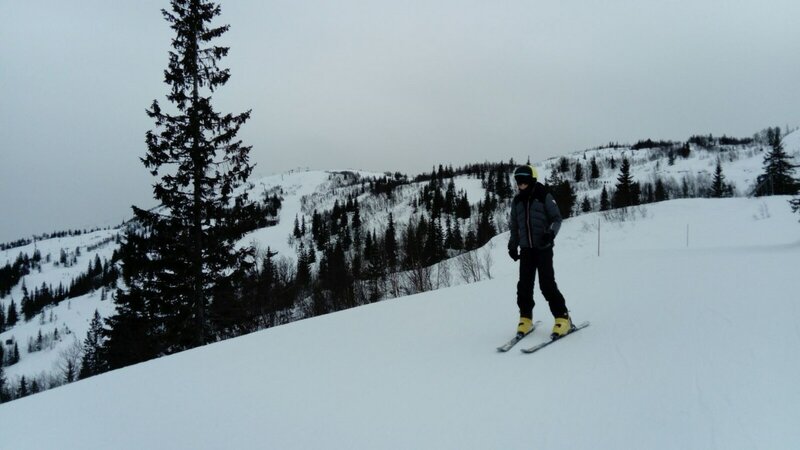 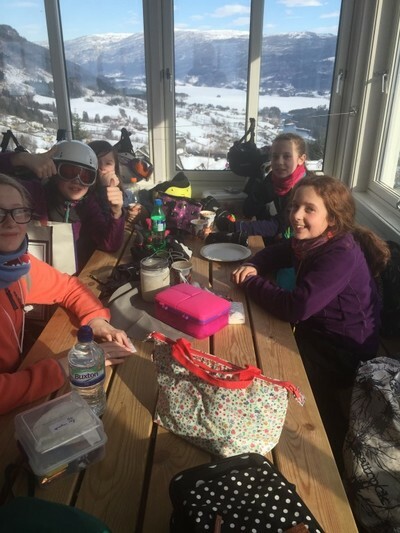 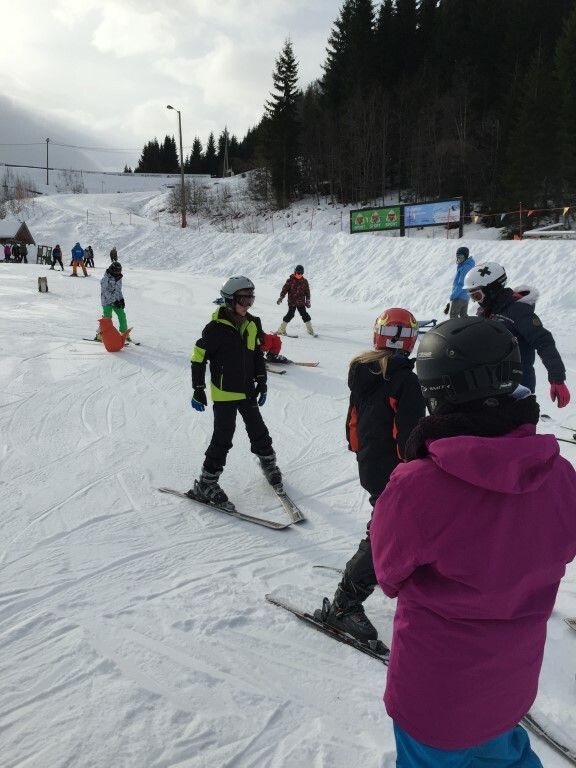 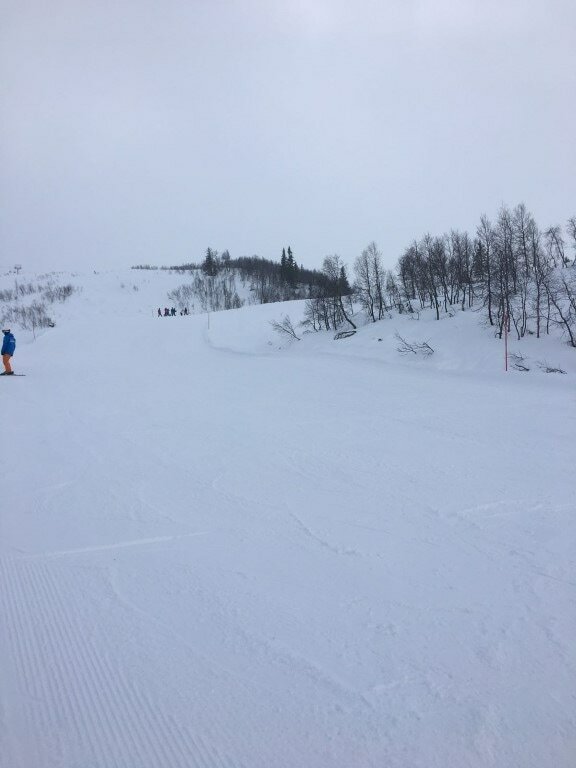 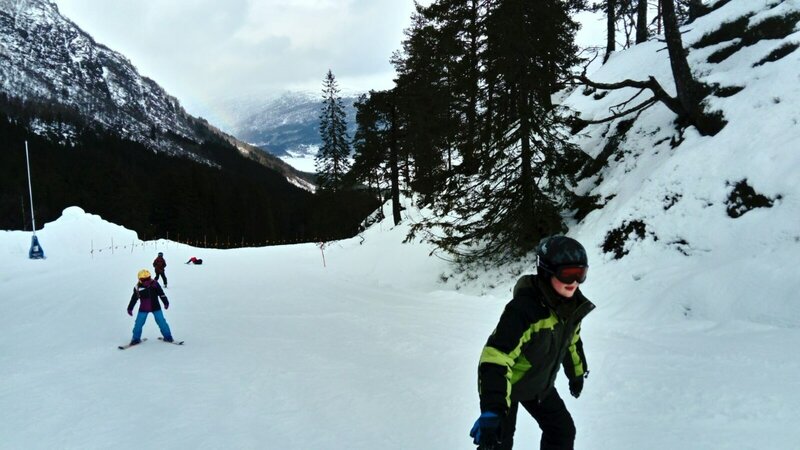 "It’s very enjoyable and the slopes are great to turn on because of all the snow, it’s easier than the dry ski slopes"
"It was really good fun, especially when some people got in each other’s way!" 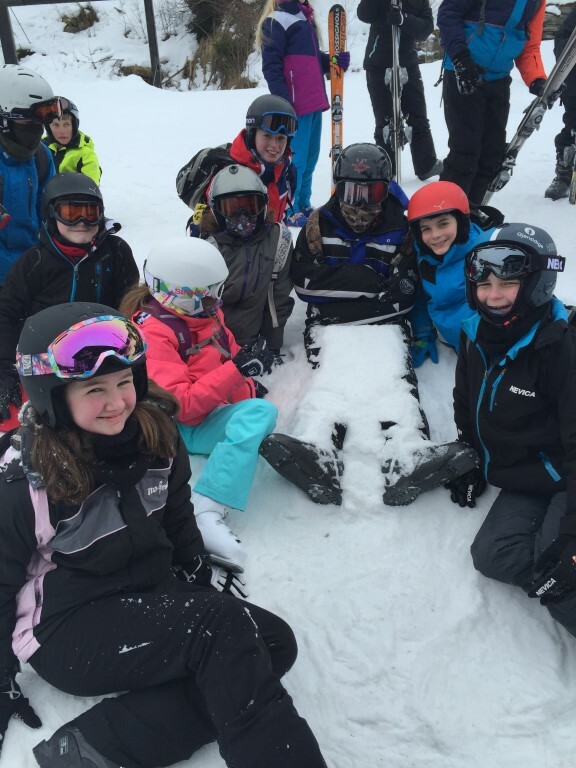 "It’s been really funny today – lots of people kept falling over as they are not used to being on the snow!" 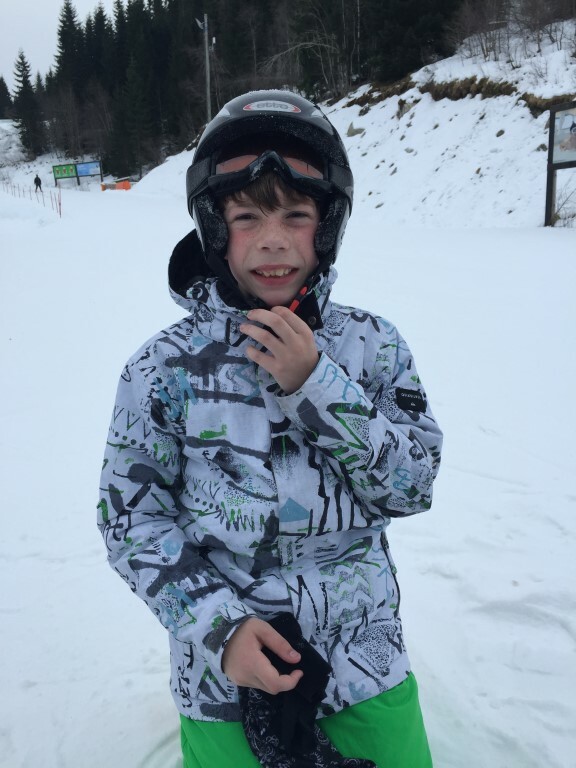 "It was hard at first but then it got easier as the day went on!" "It was very exciting today – but tiring!" 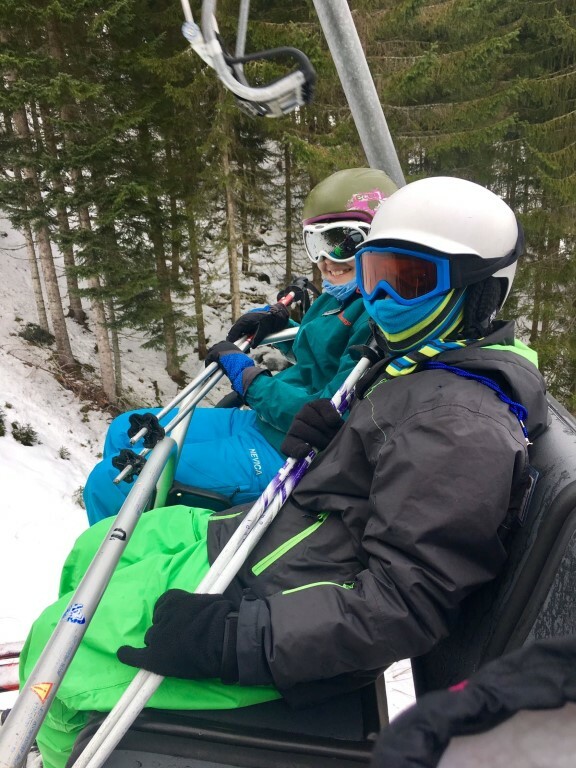 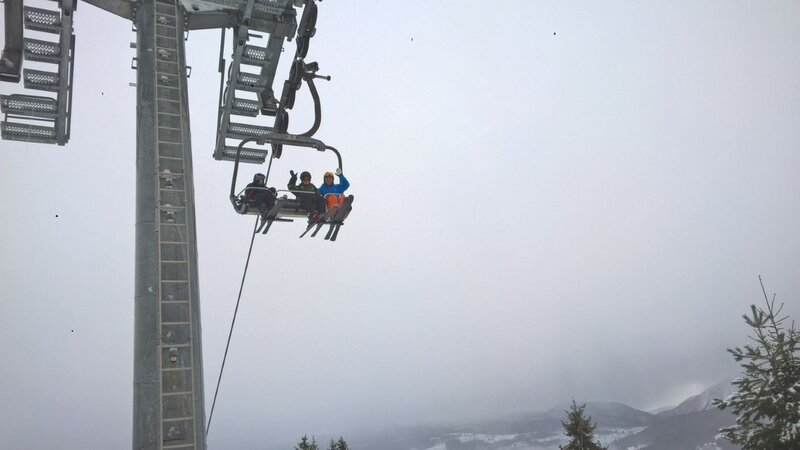 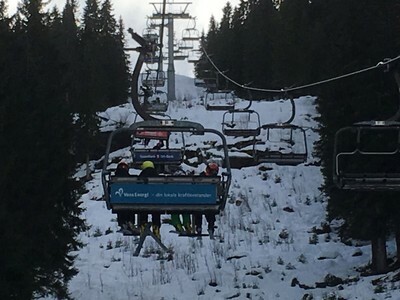 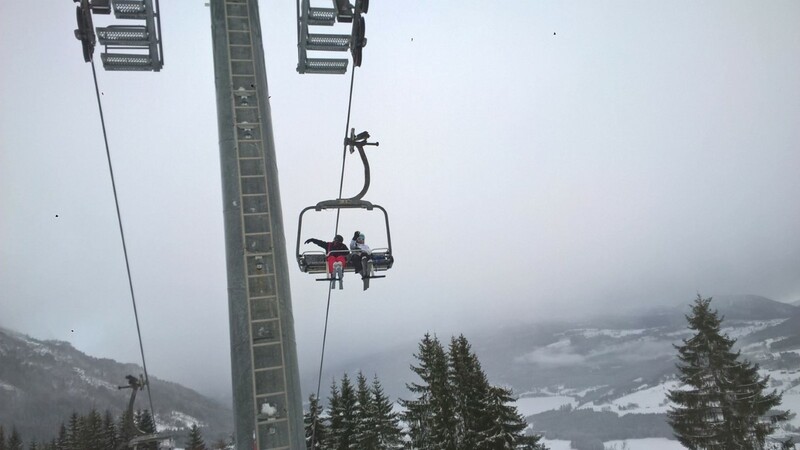 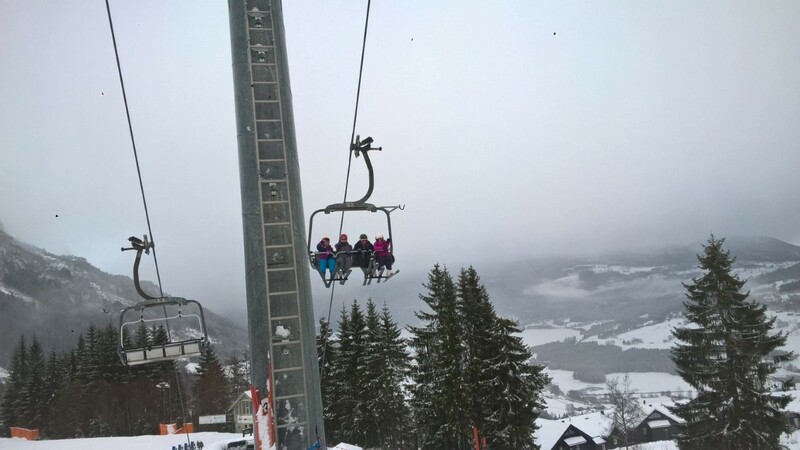 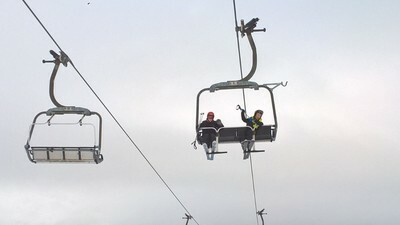 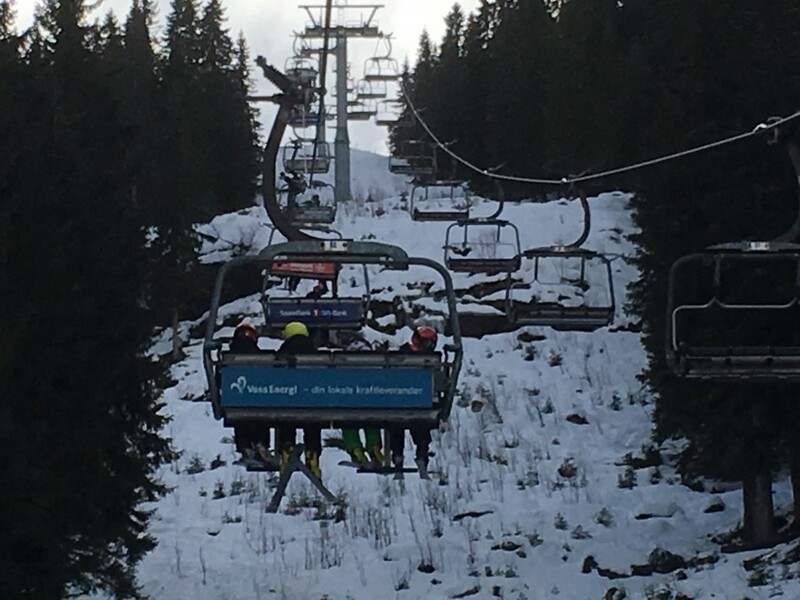 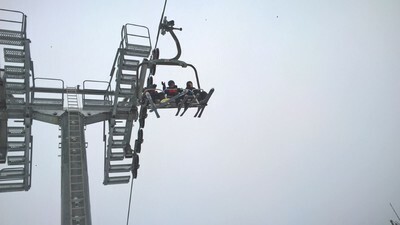 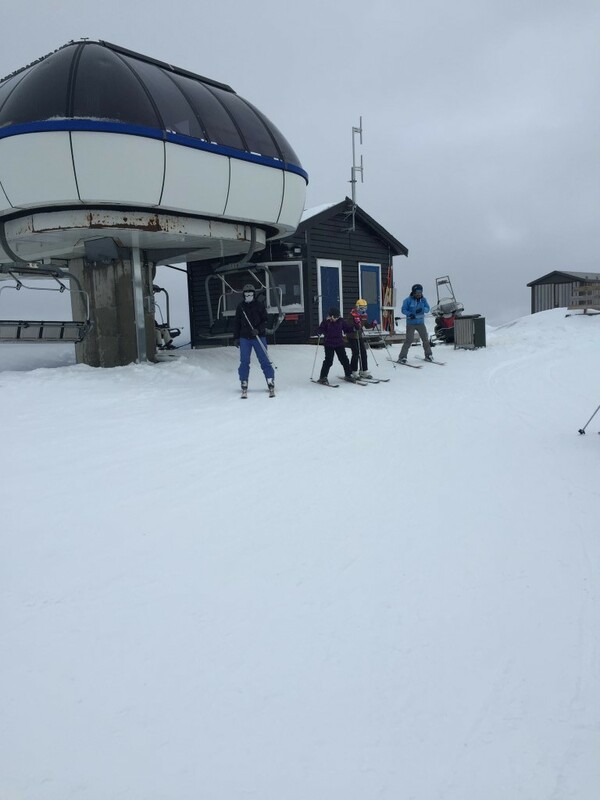 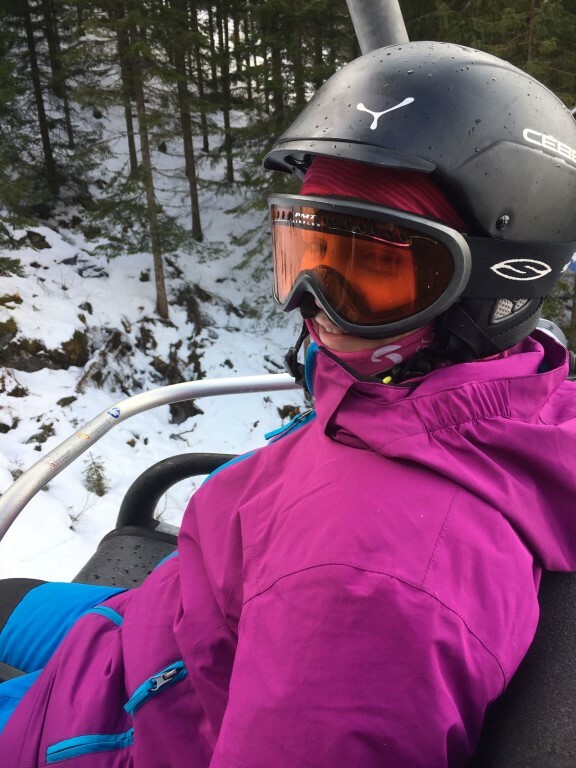 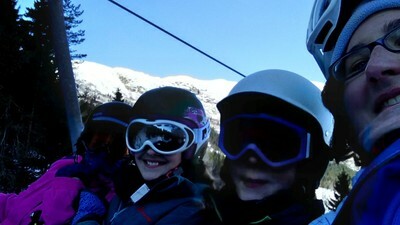 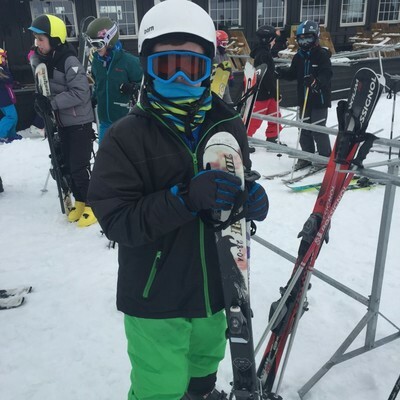 "Going up in the chairlift was breath-taking; the scenery was amazing!" 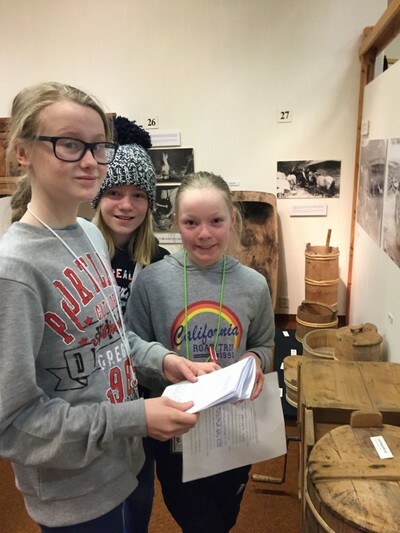 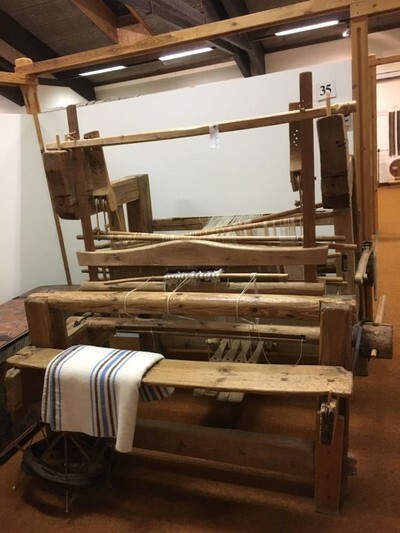 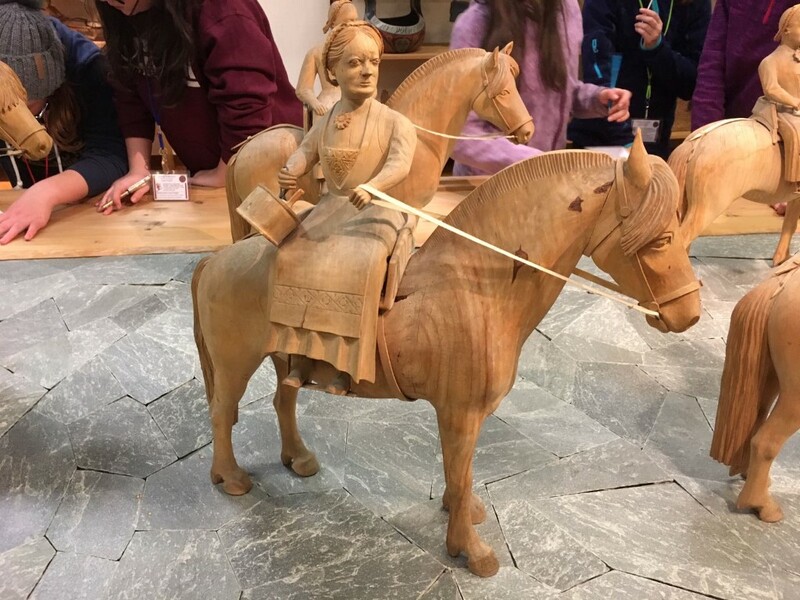 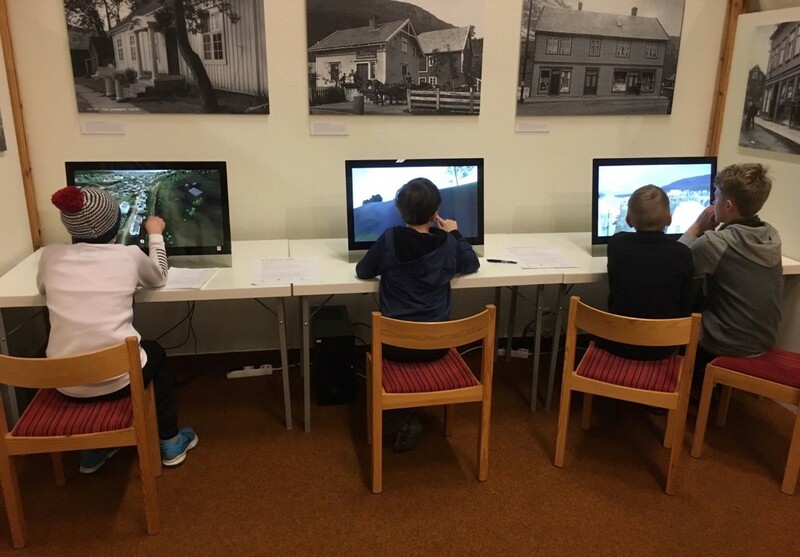 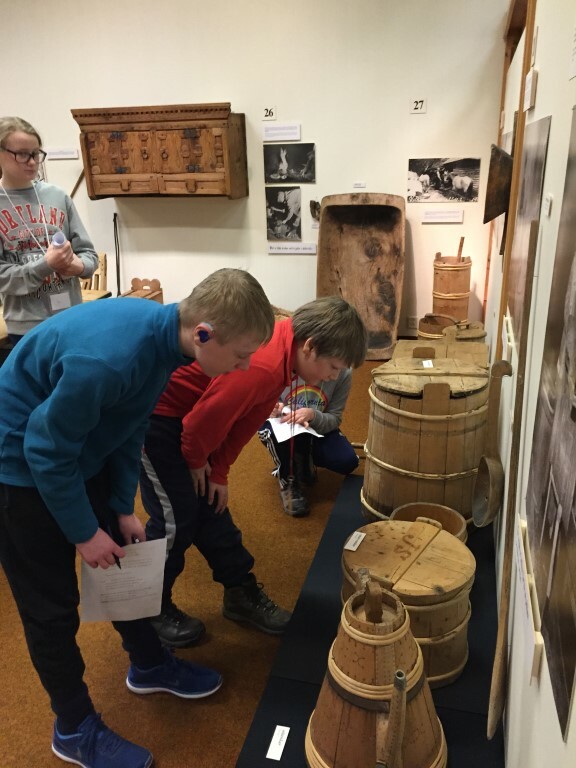 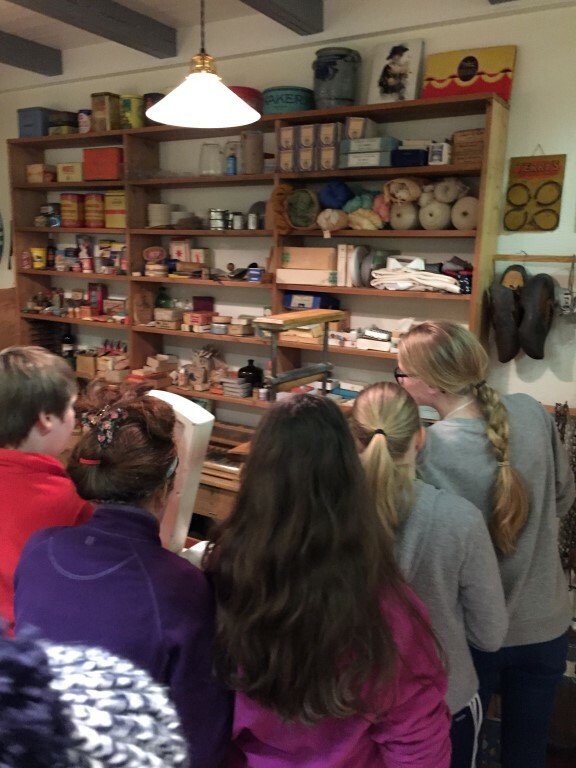 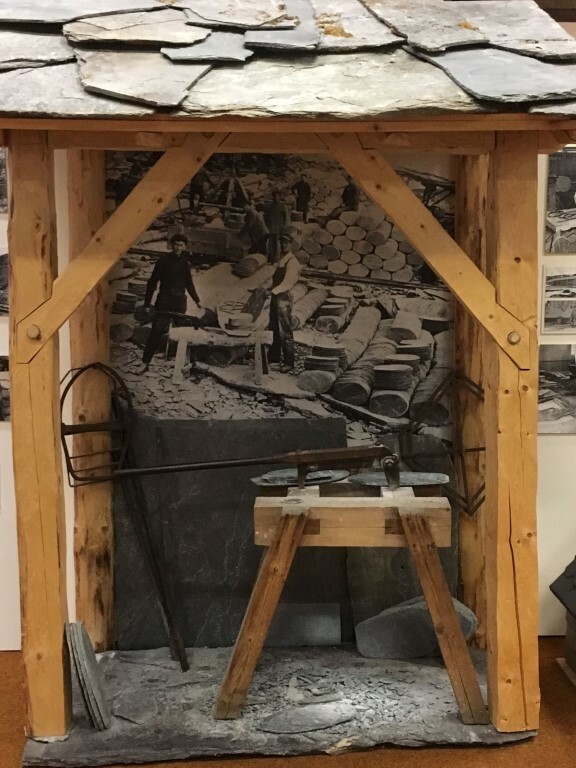 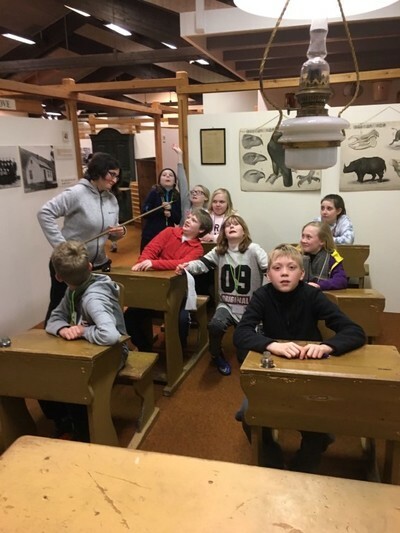 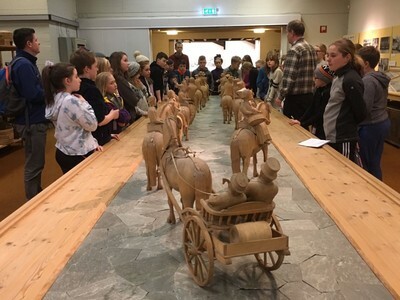 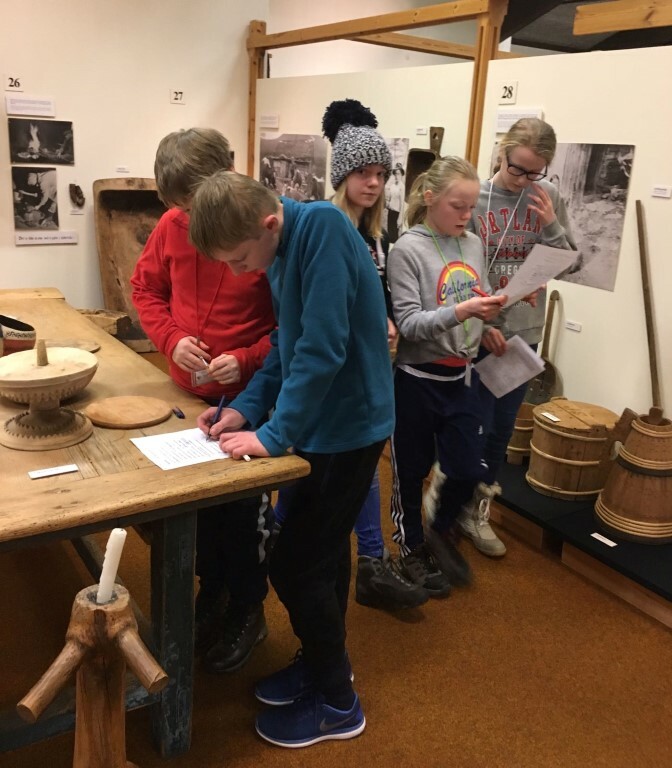 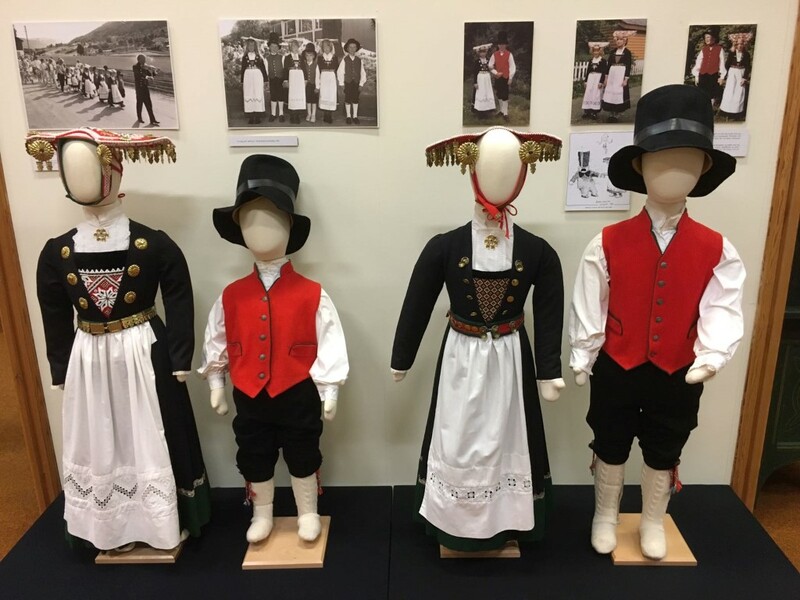 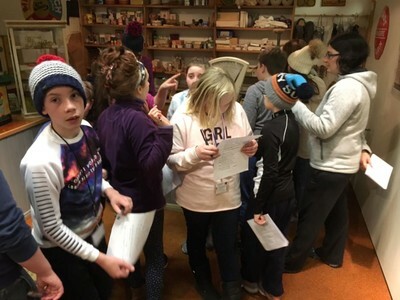 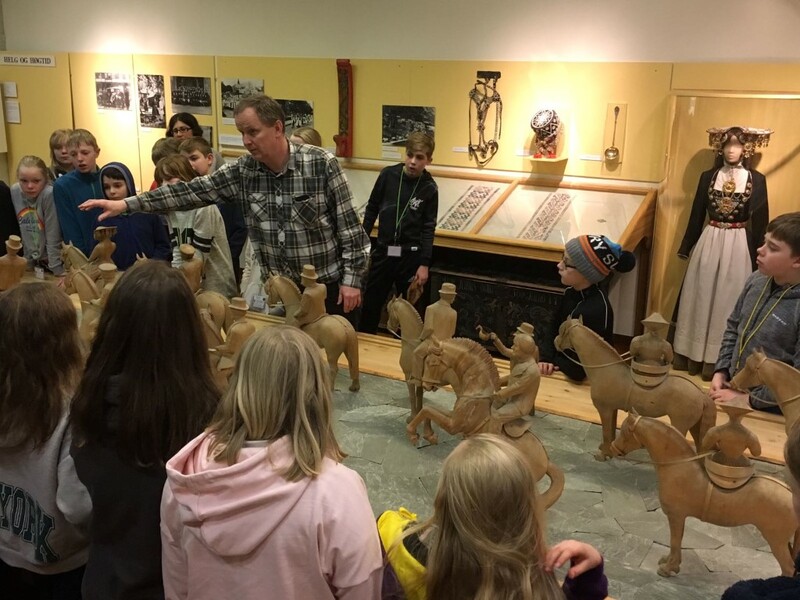 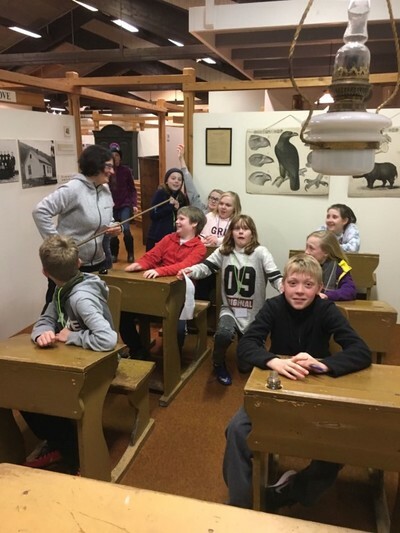 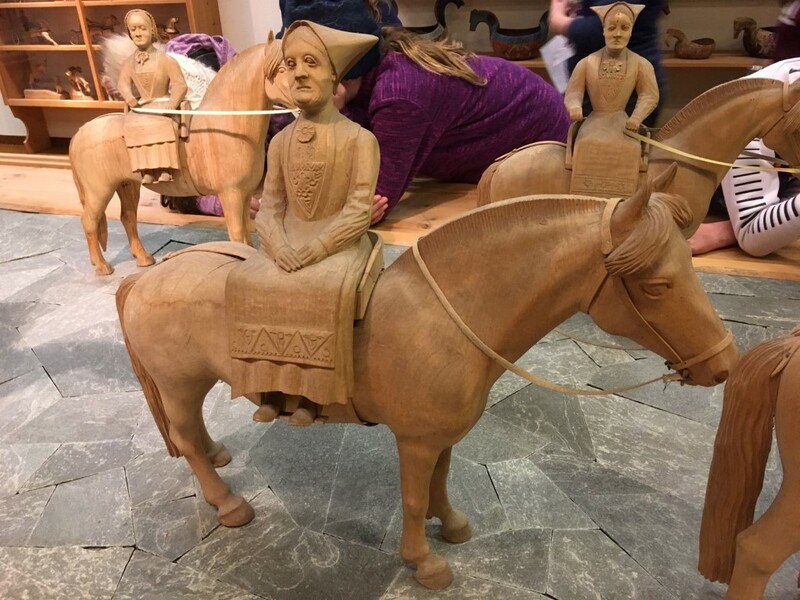 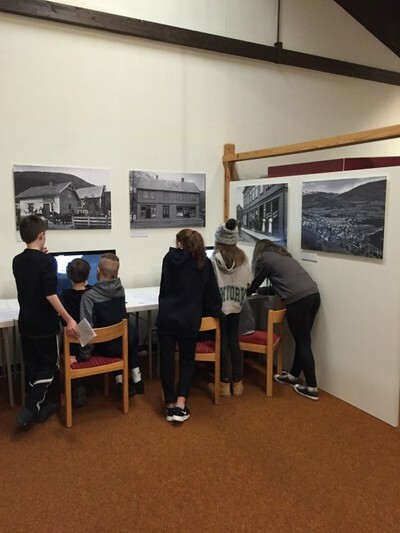 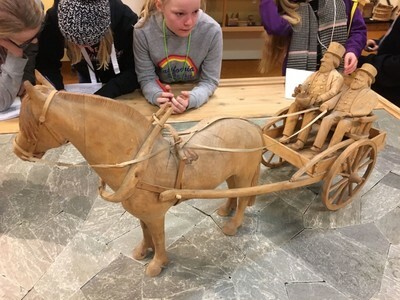 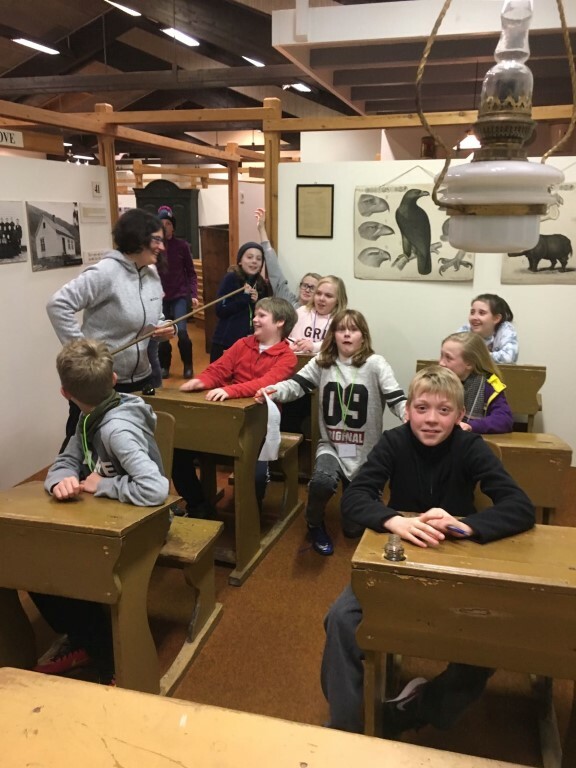 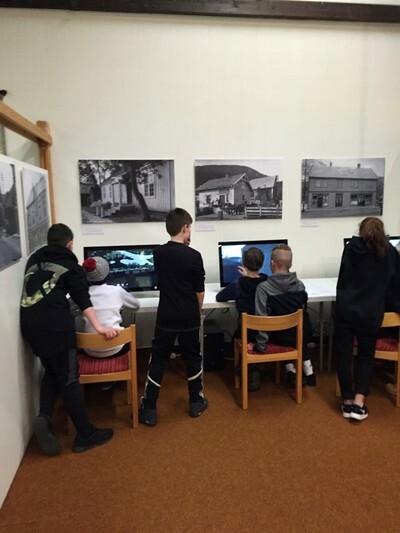 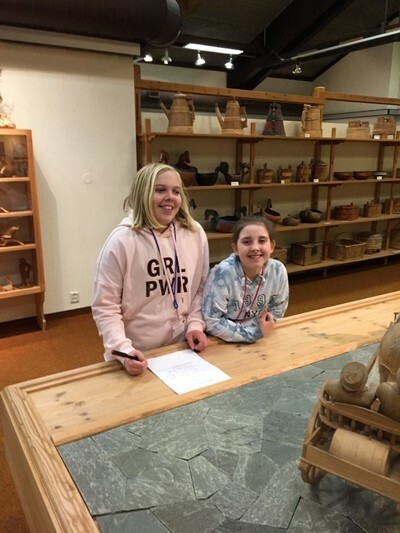 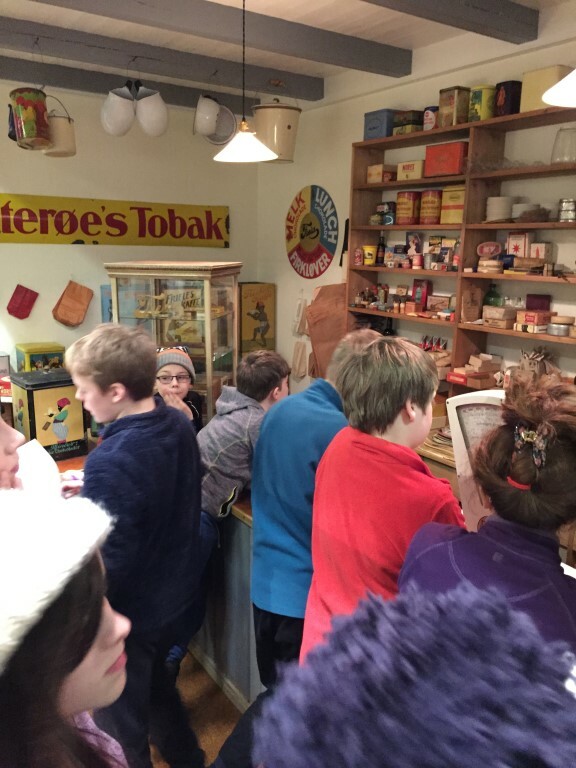 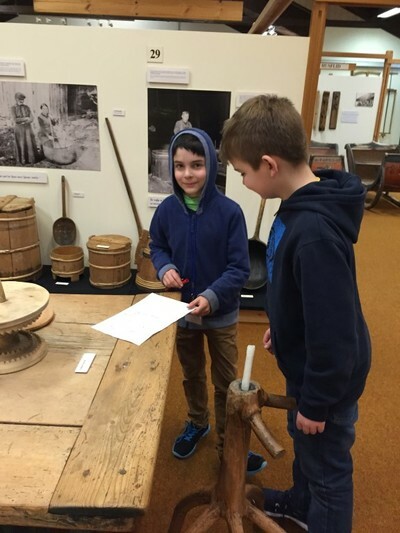 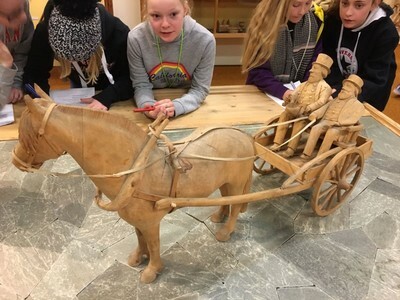 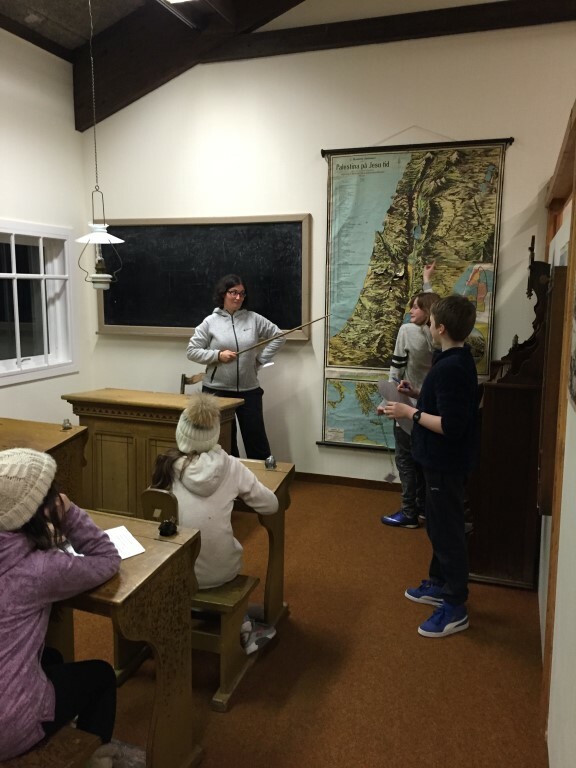 This evening the group visited Voss Folk Museum where we found out about local history. 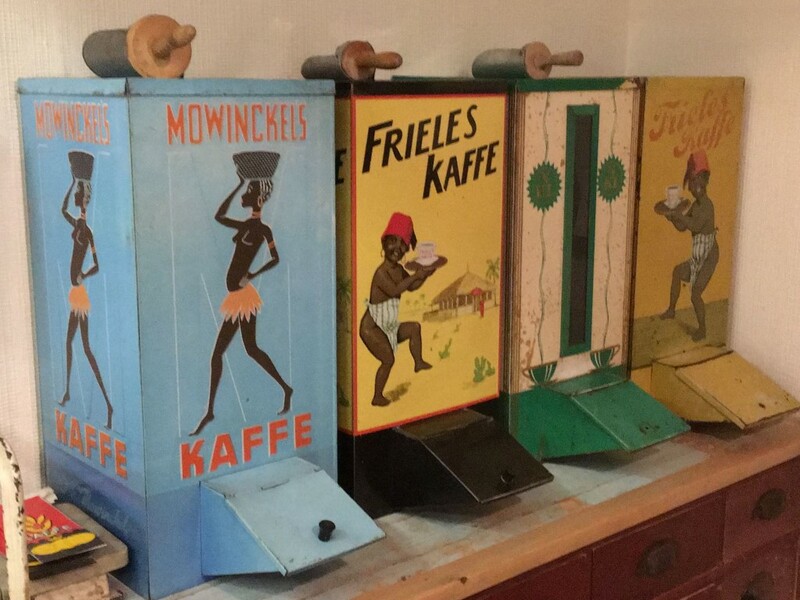 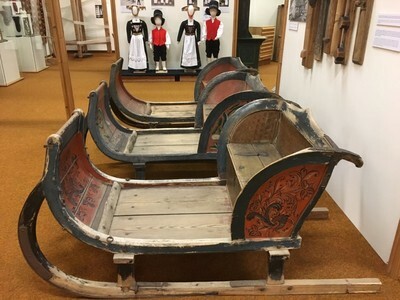 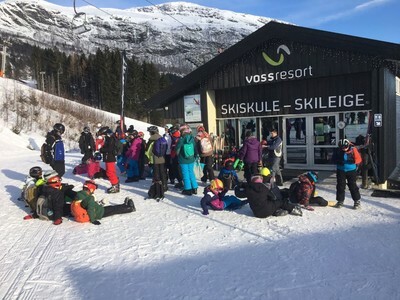 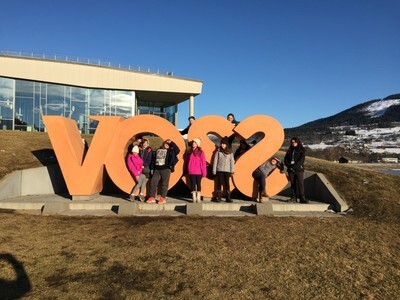 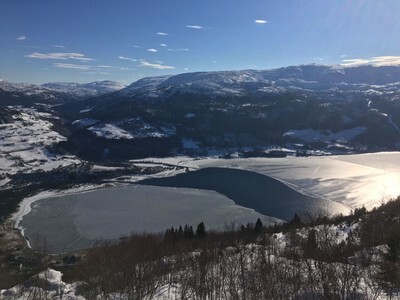 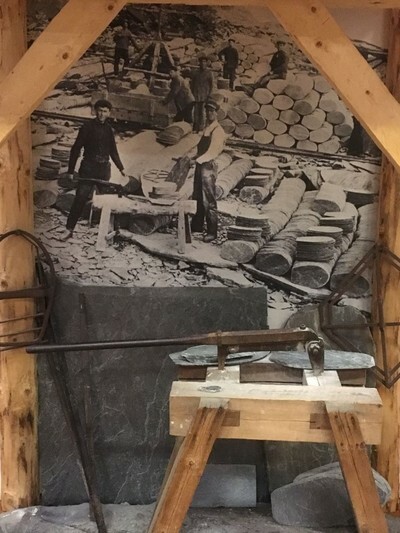 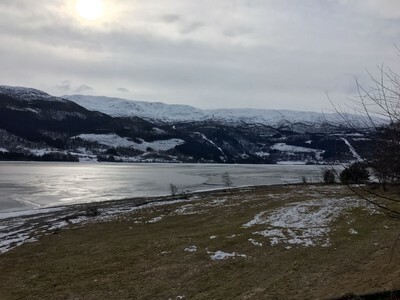 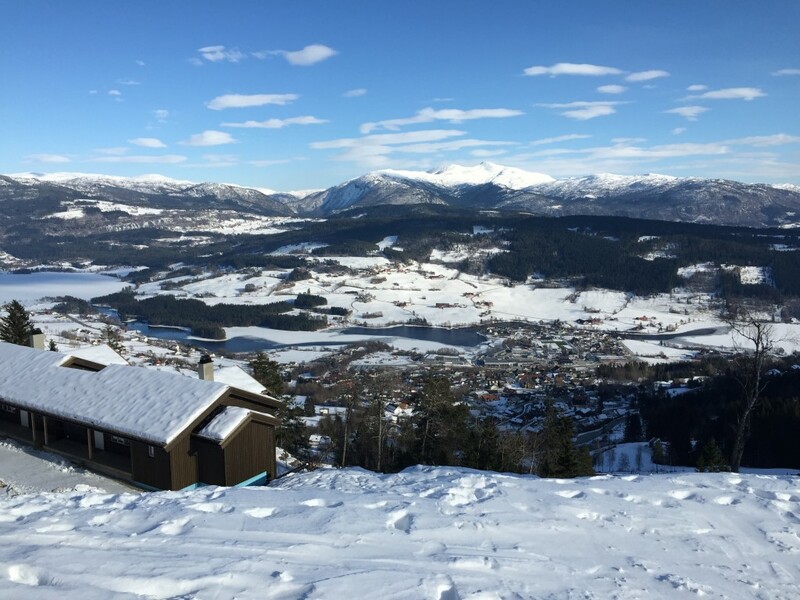 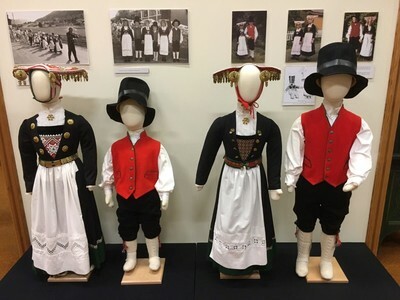 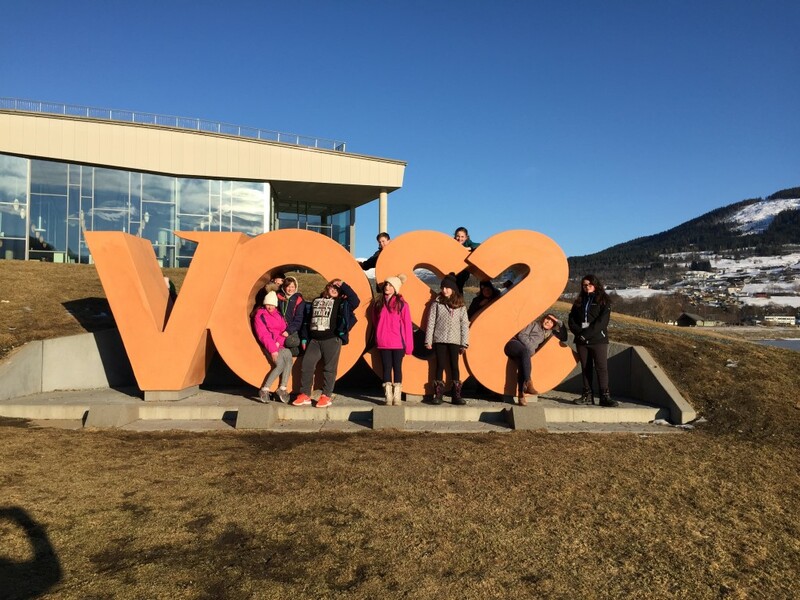 We learned that Voss has attracted tourists since the late nineteenth century due to its picturesque scenery and outdoor living. 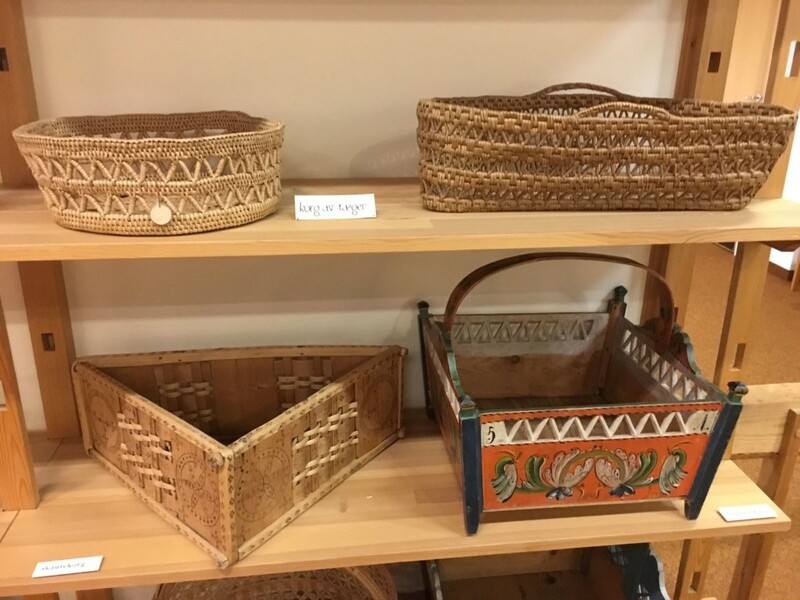 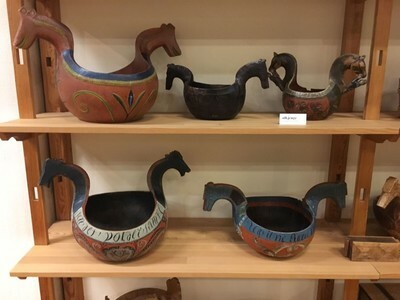 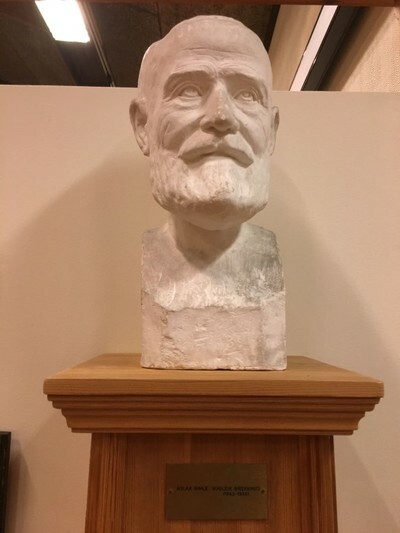 We also found out about customs and tradition, some of which still take place today. We were up early today after a good night of sleep; all in bed and almost all asleep by 22:30! 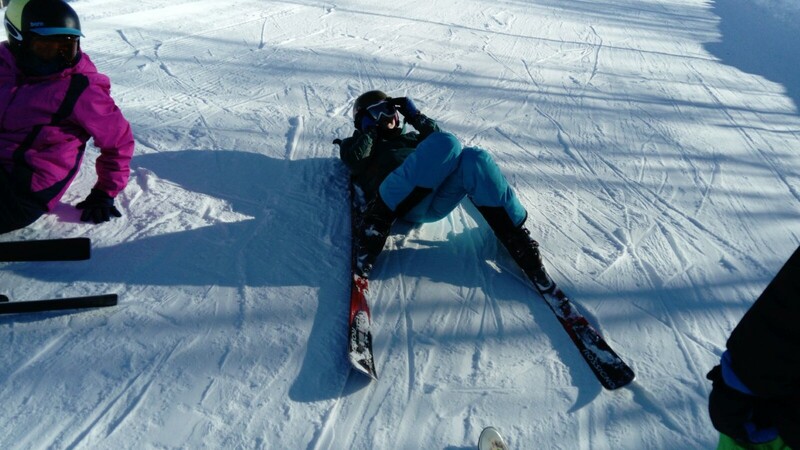 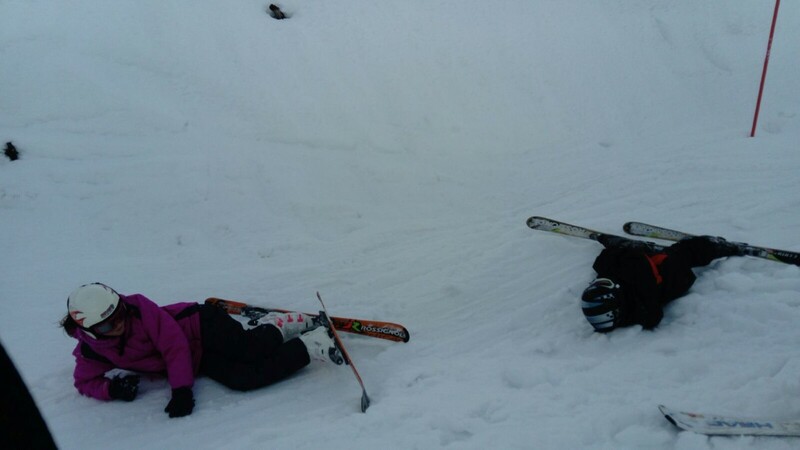 Skiing is tiring after all! 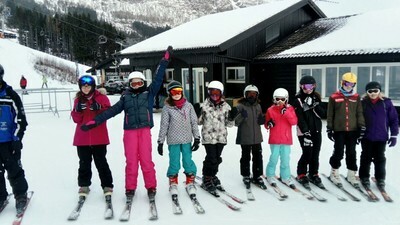 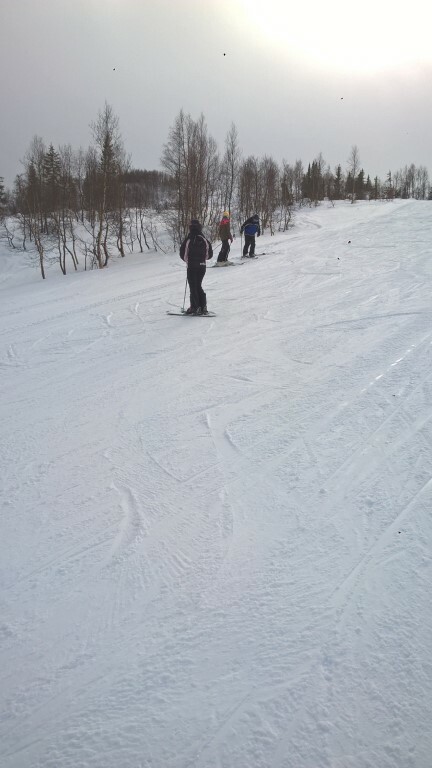 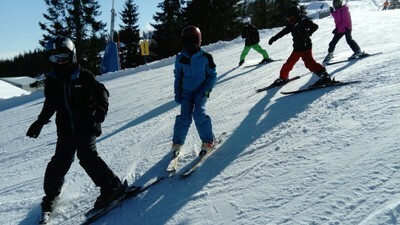 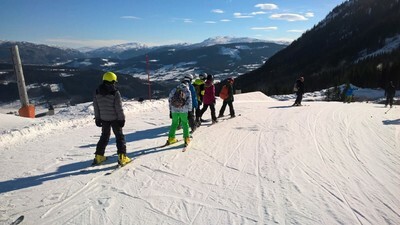 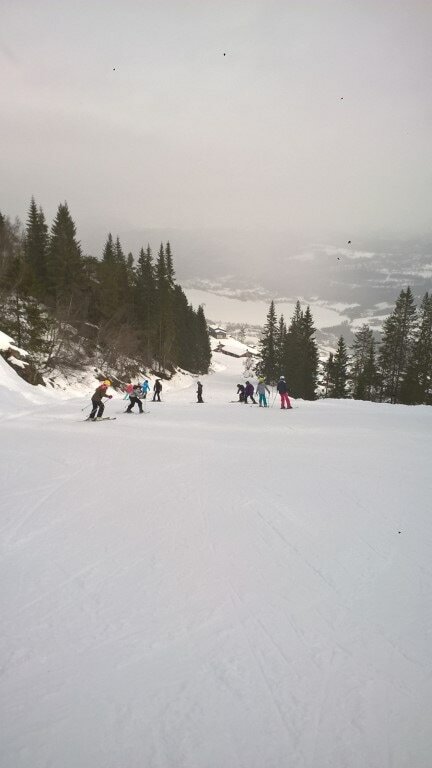 Beautiful weather for skiing today and the children saw some fantastic scenery on either side of the mountain. 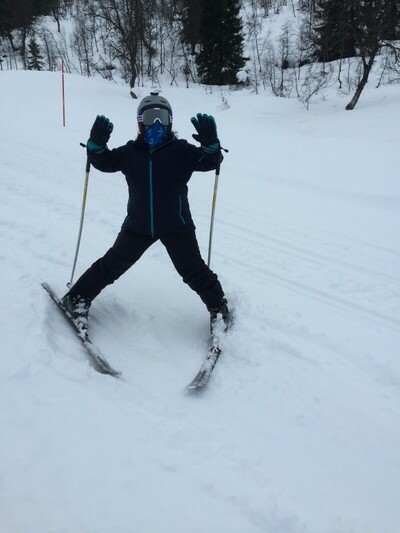 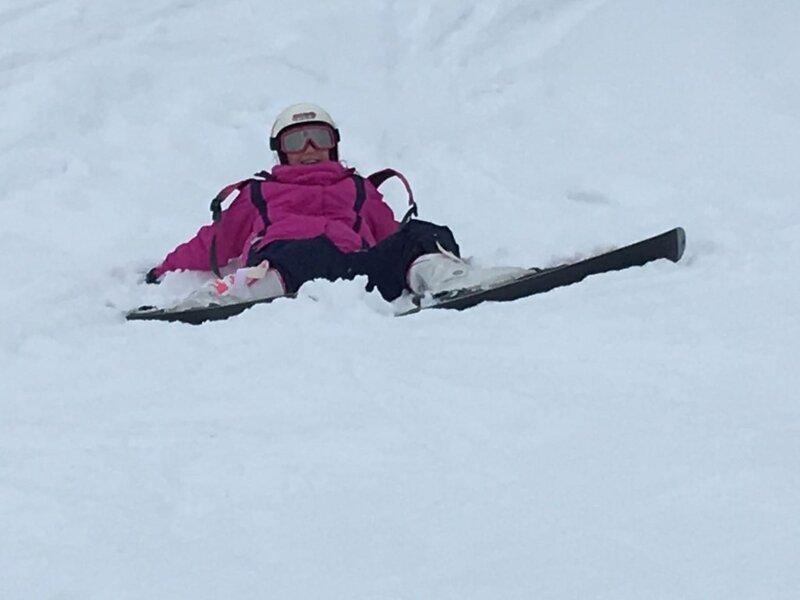 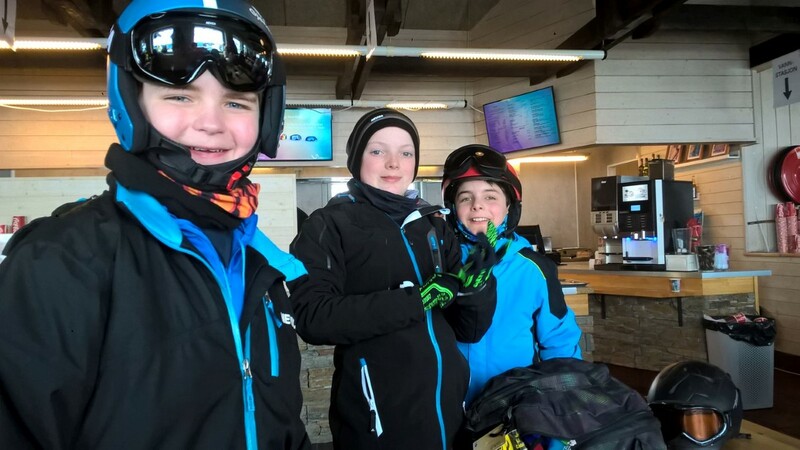 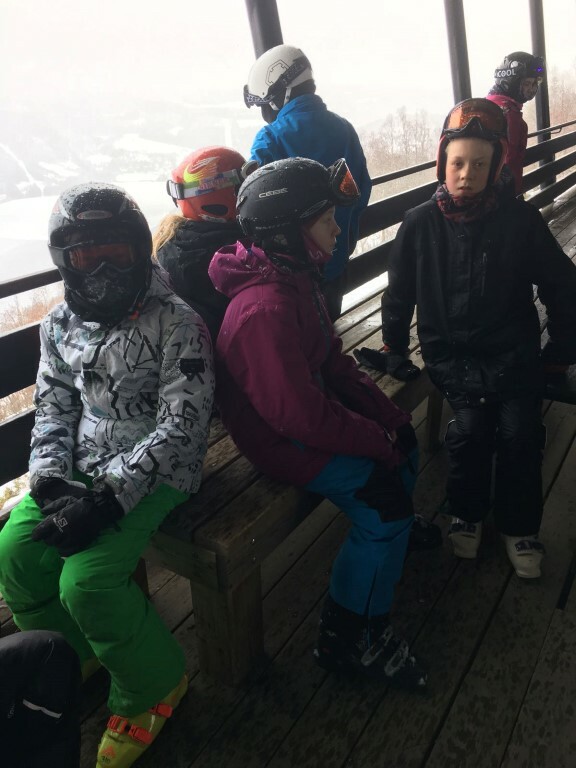 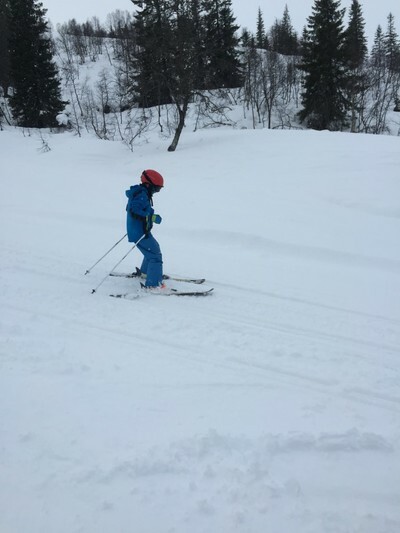 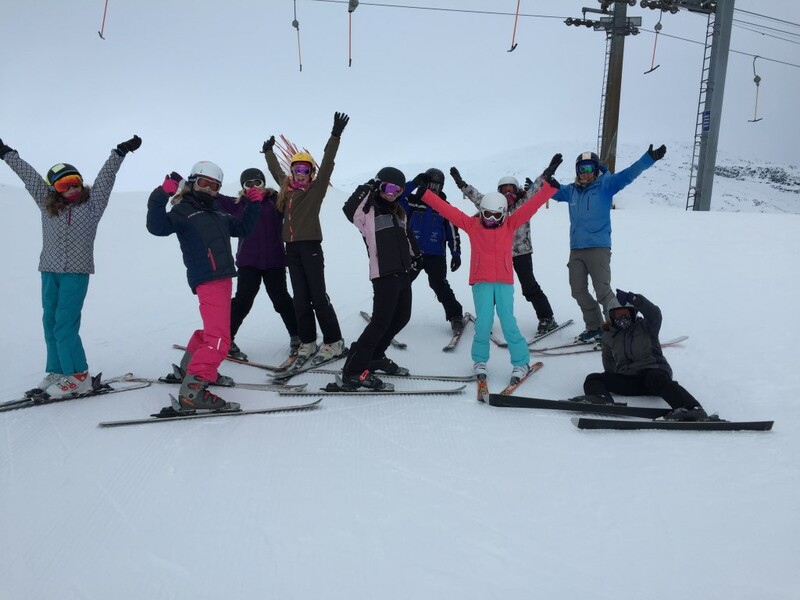 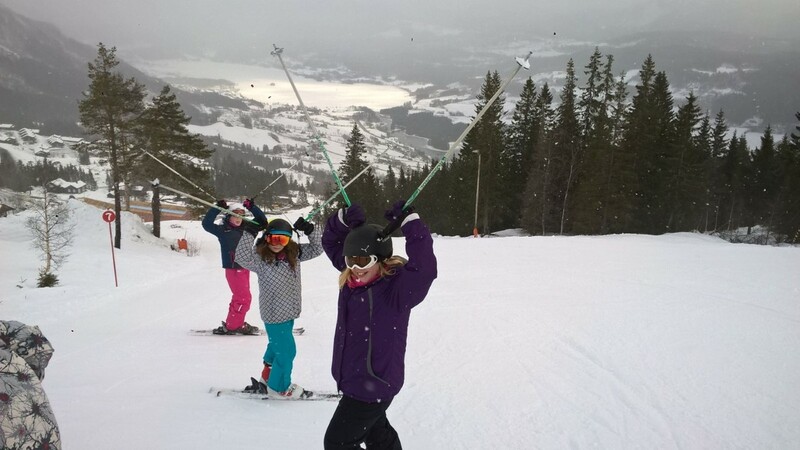 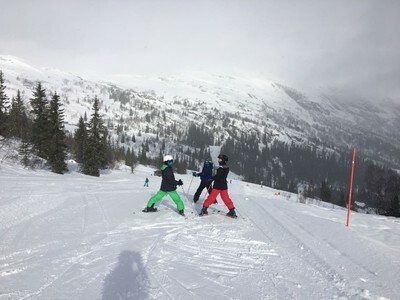 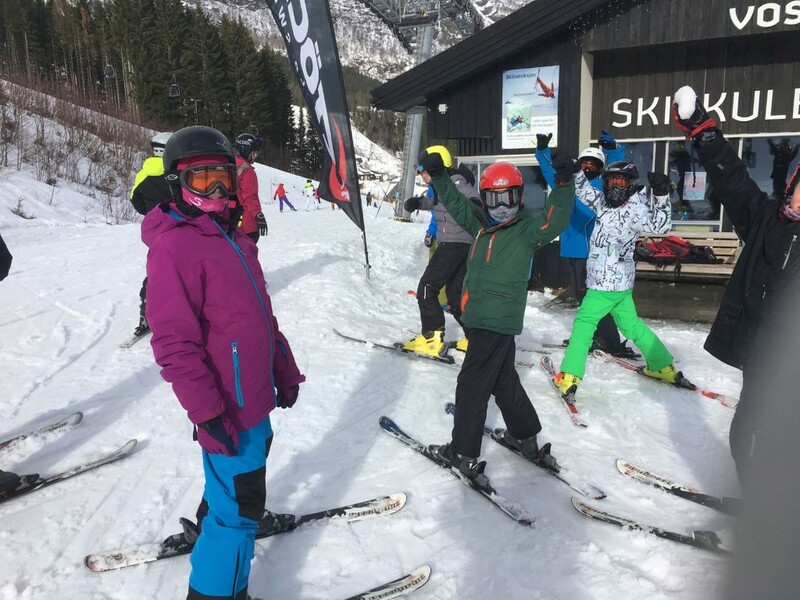 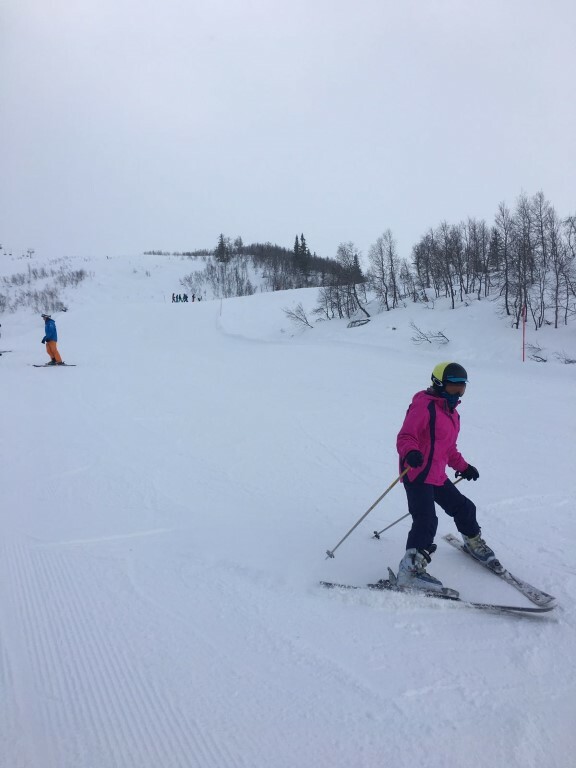 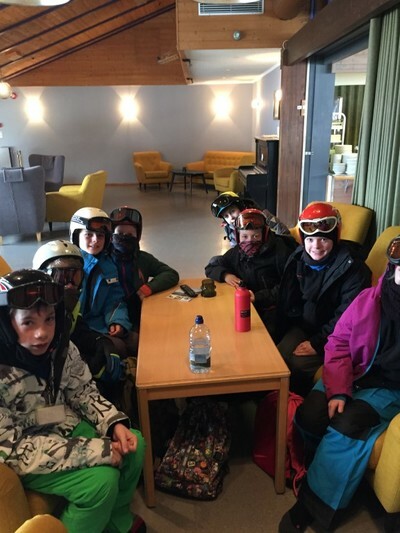 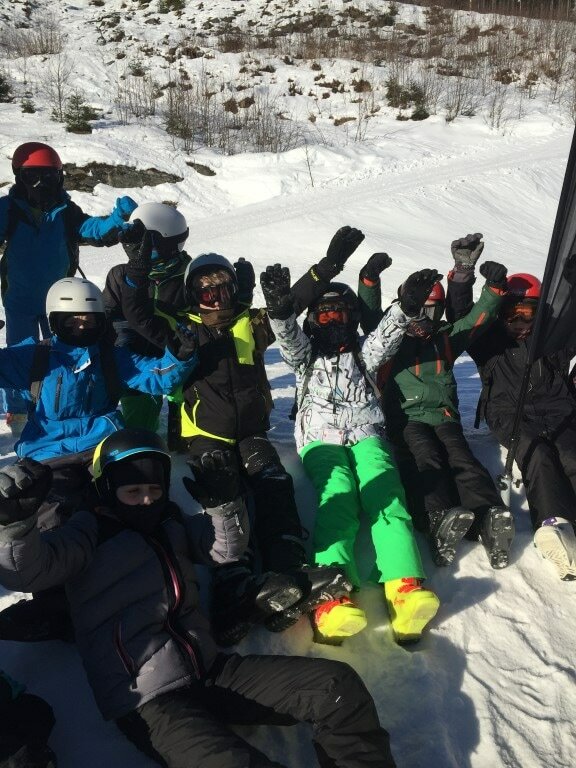 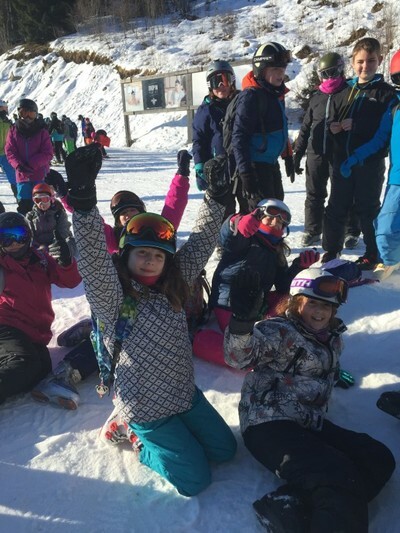 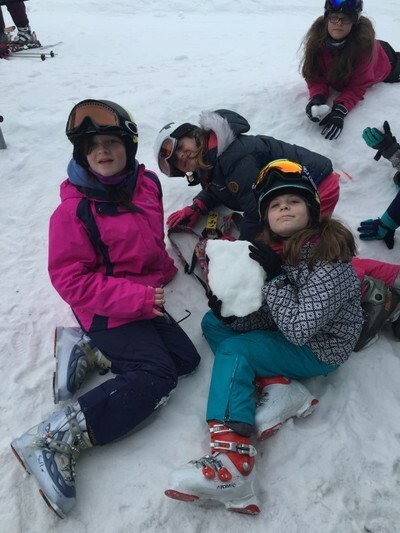 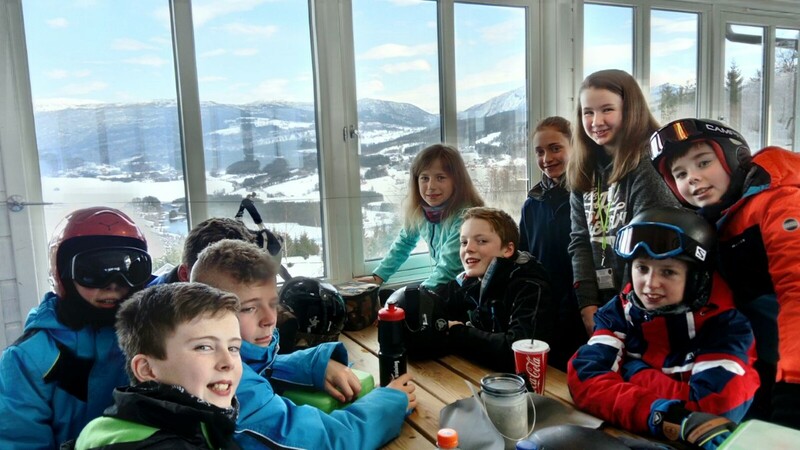 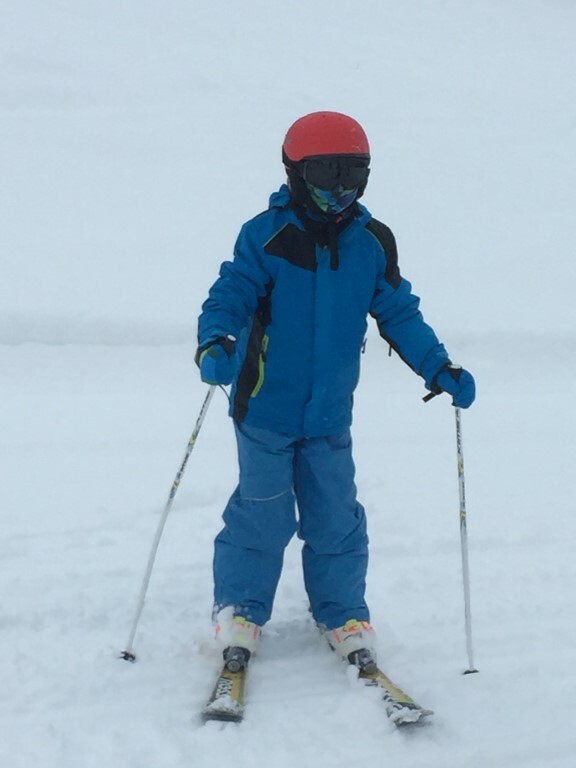 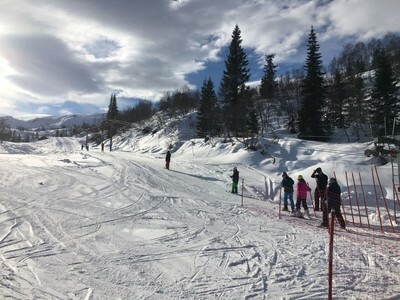 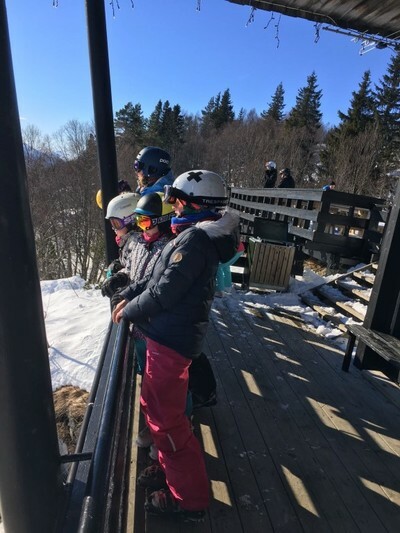 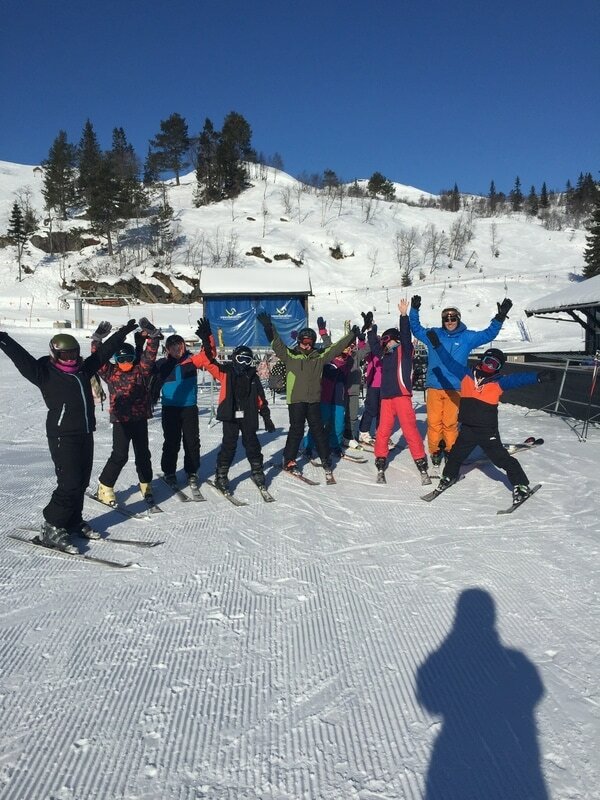 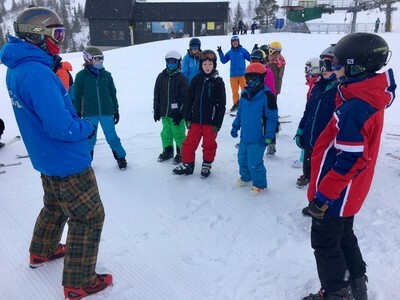 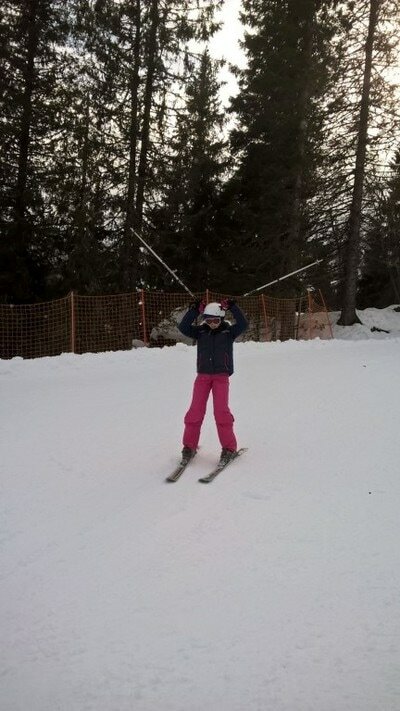 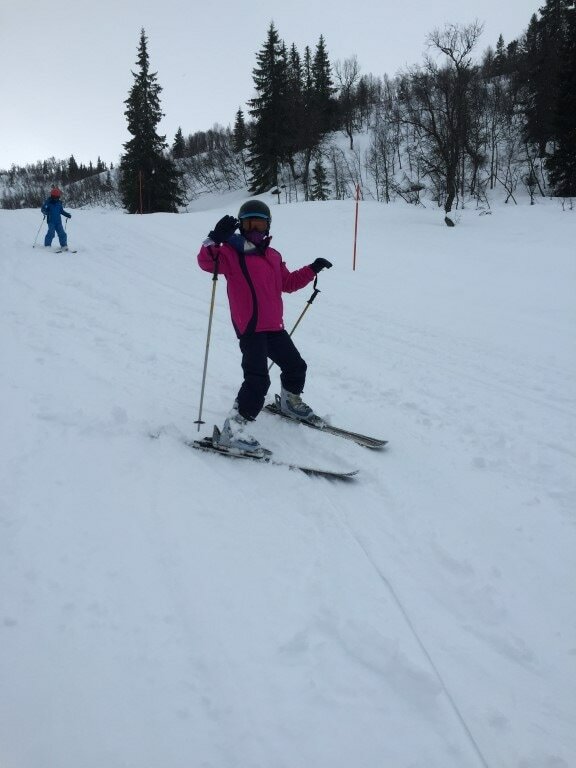 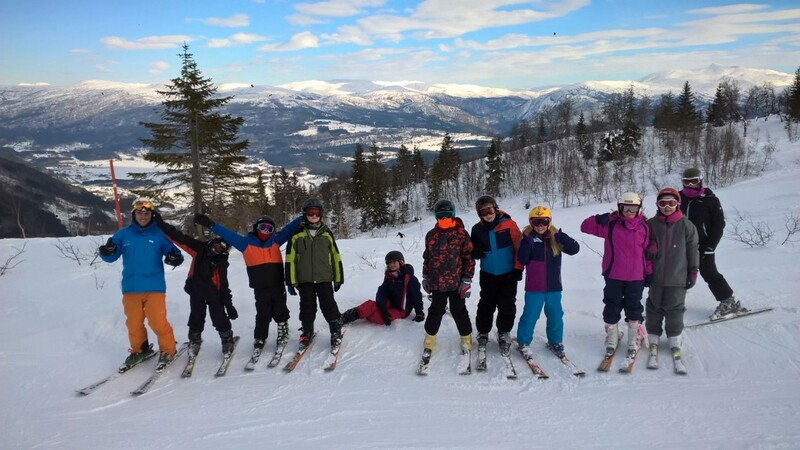 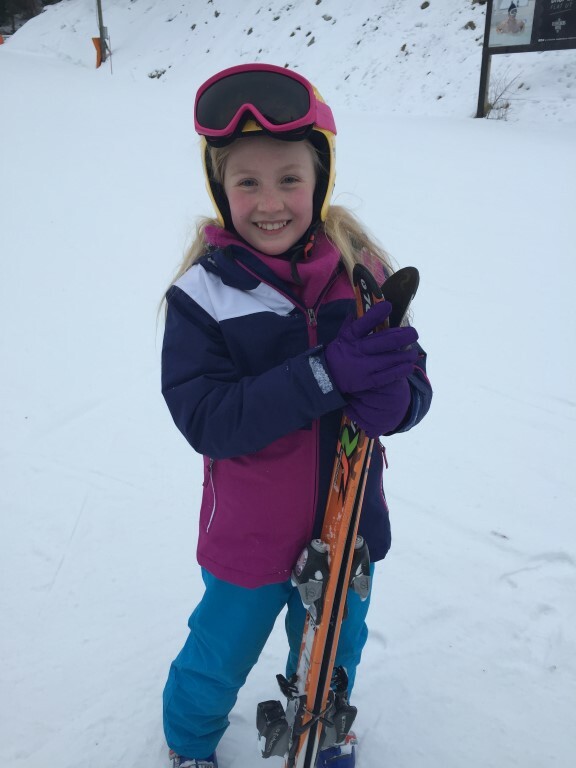 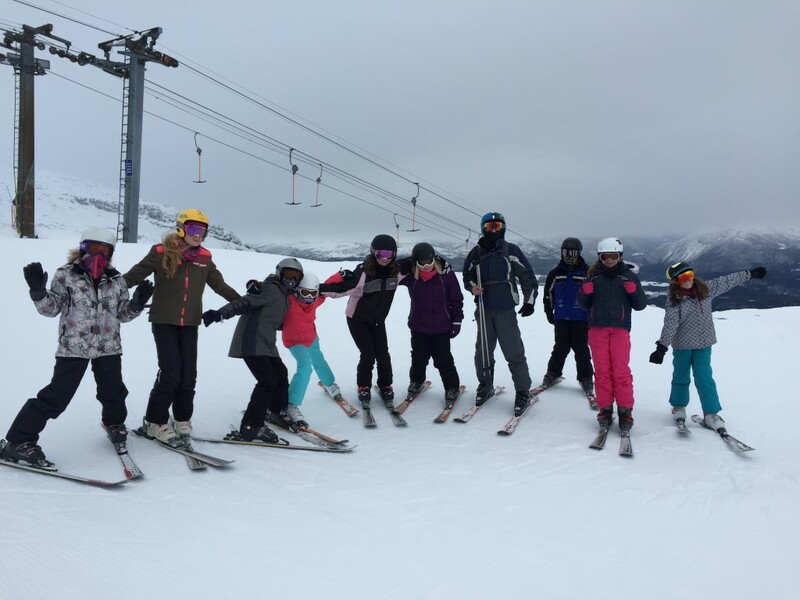 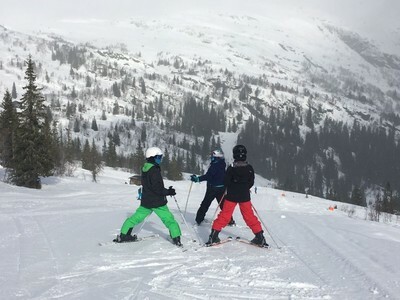 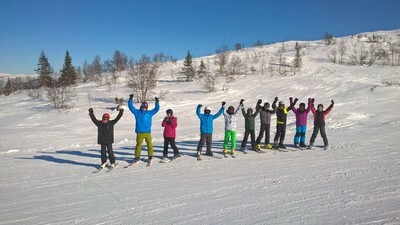 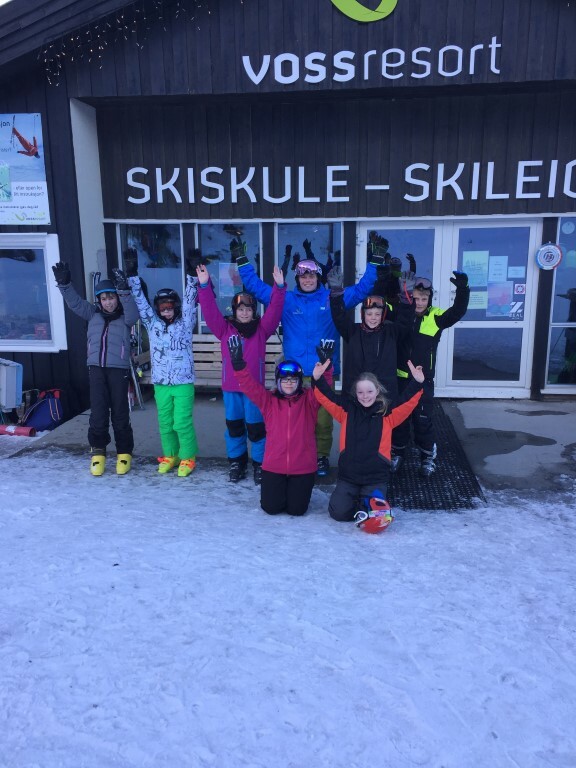 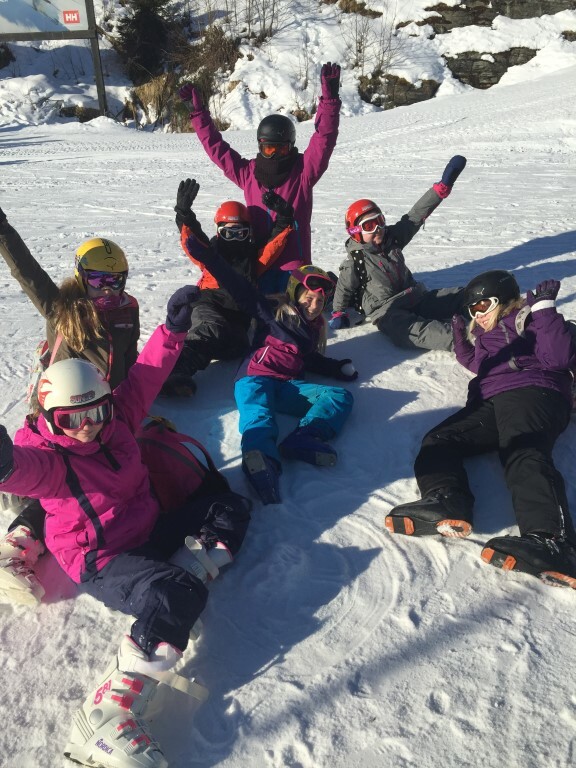 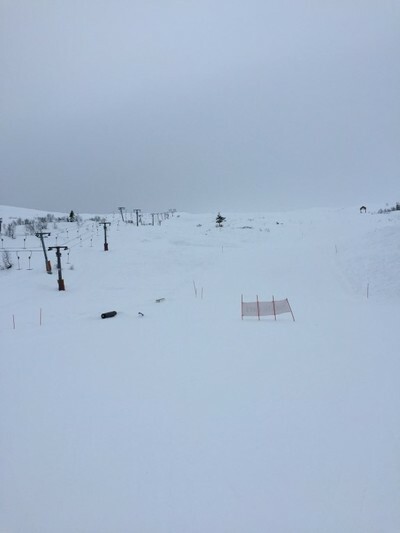 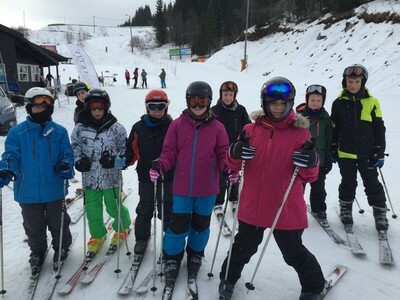 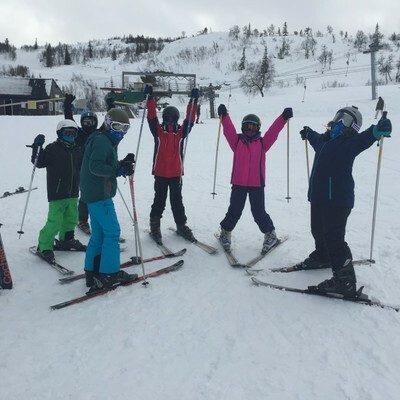 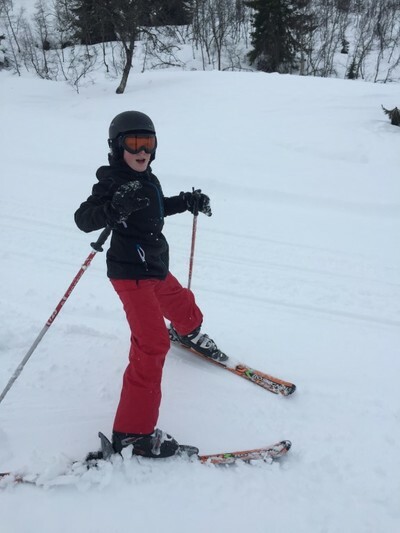 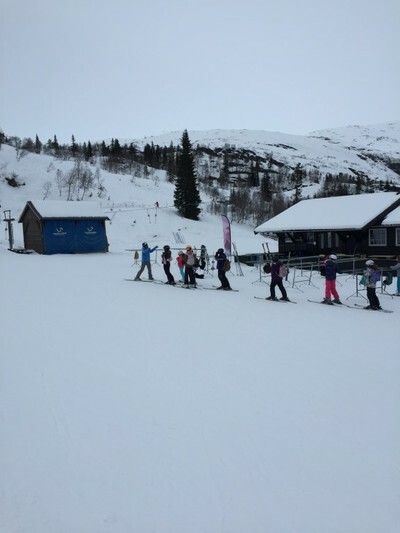 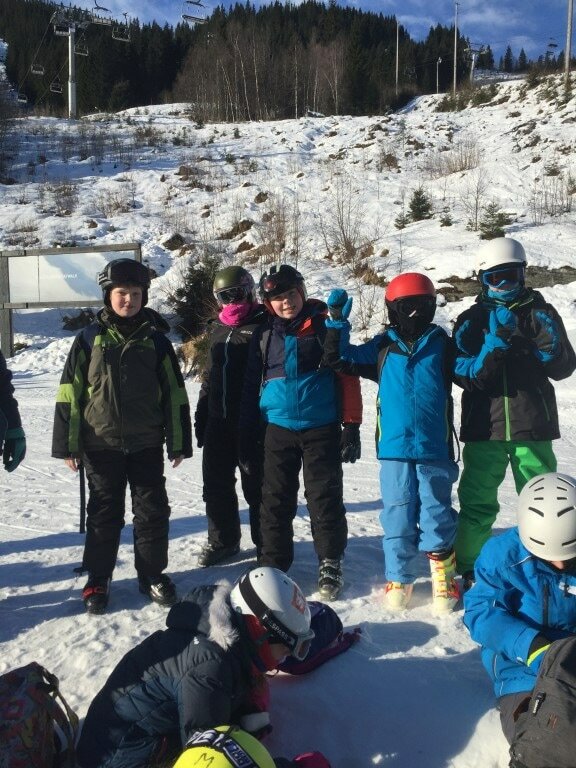 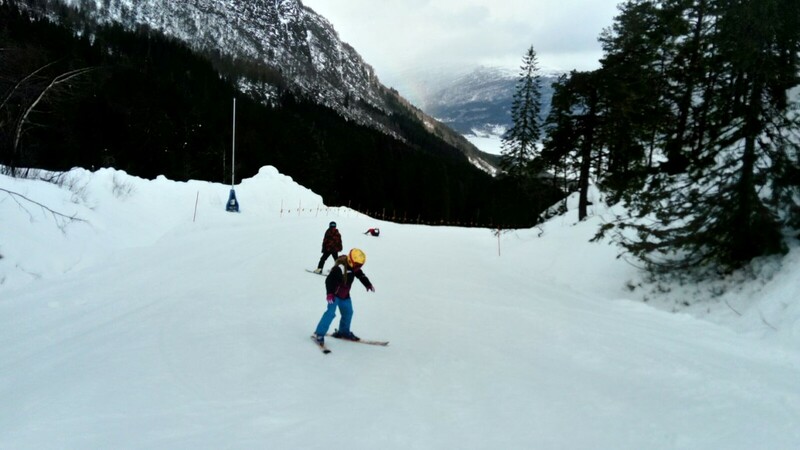 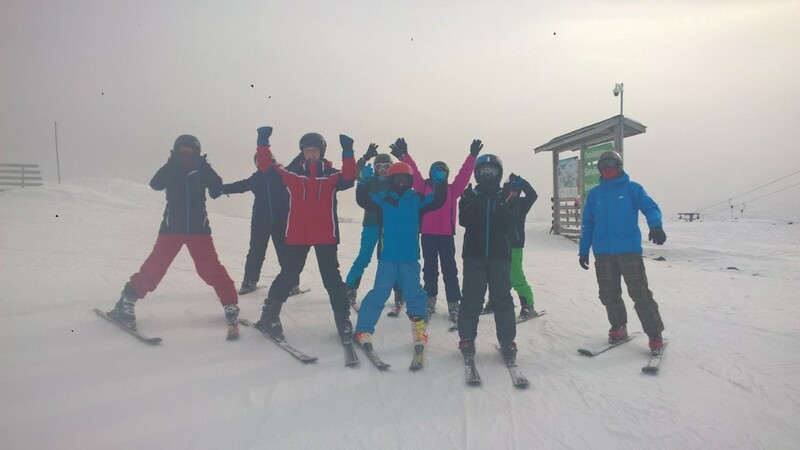 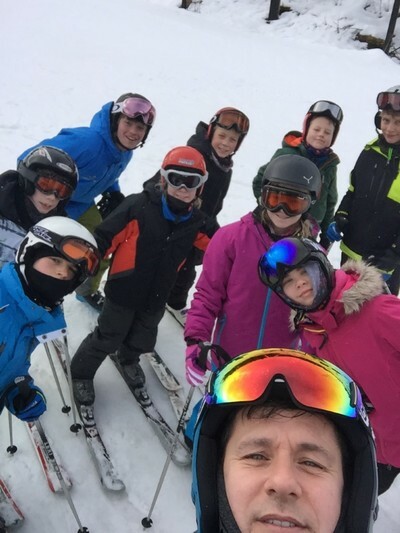 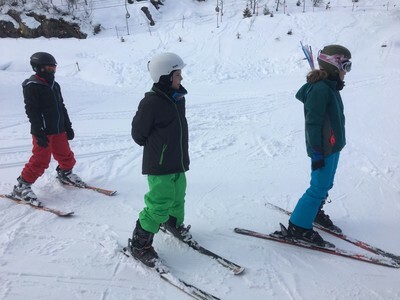 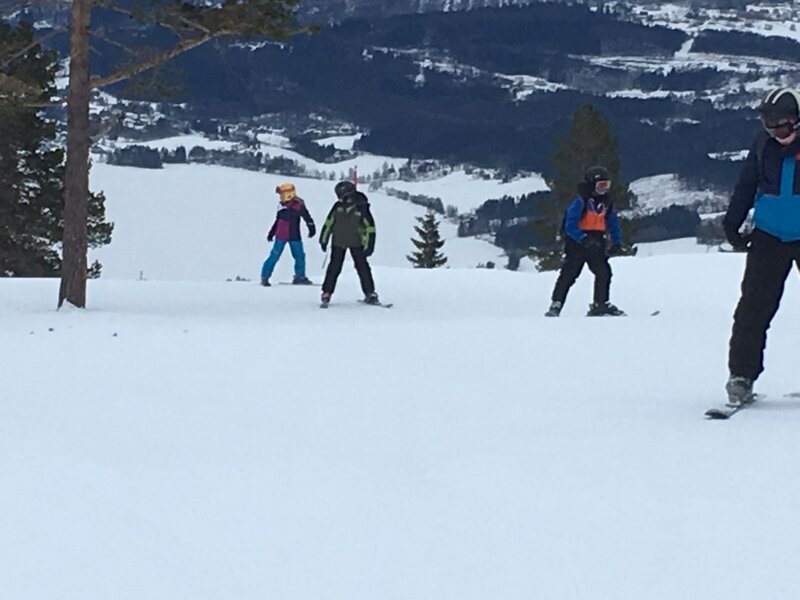 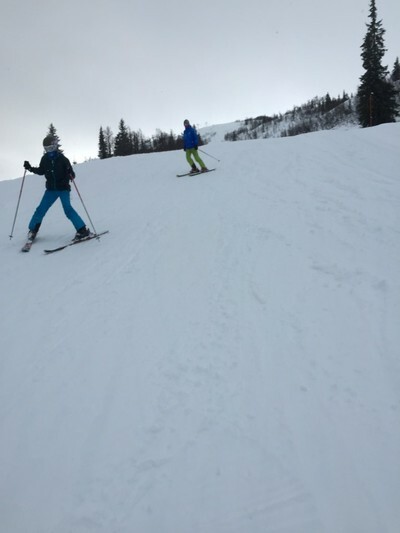 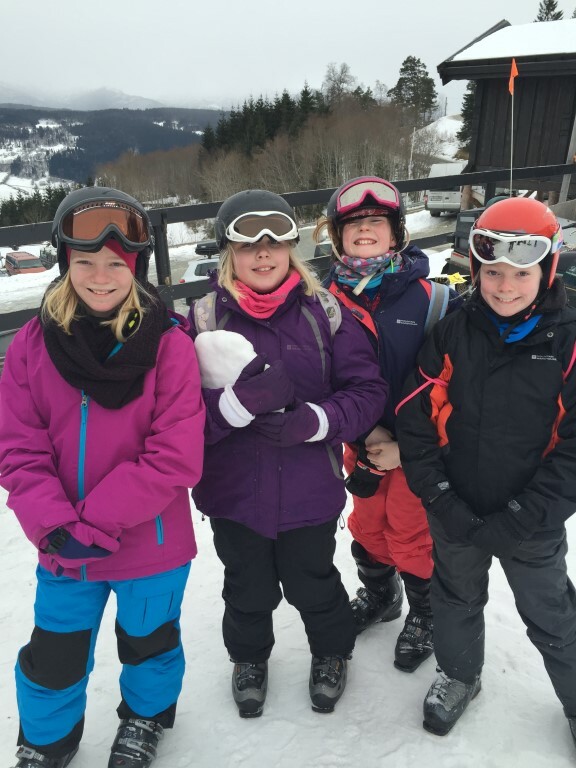 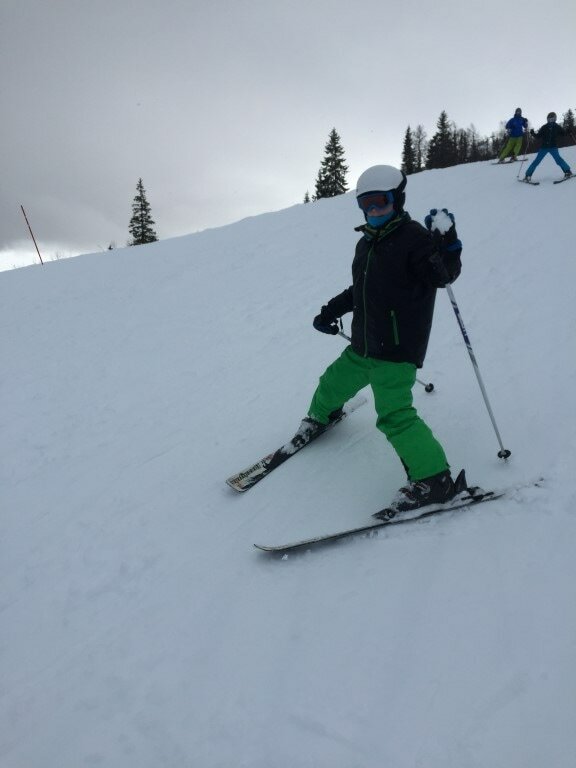 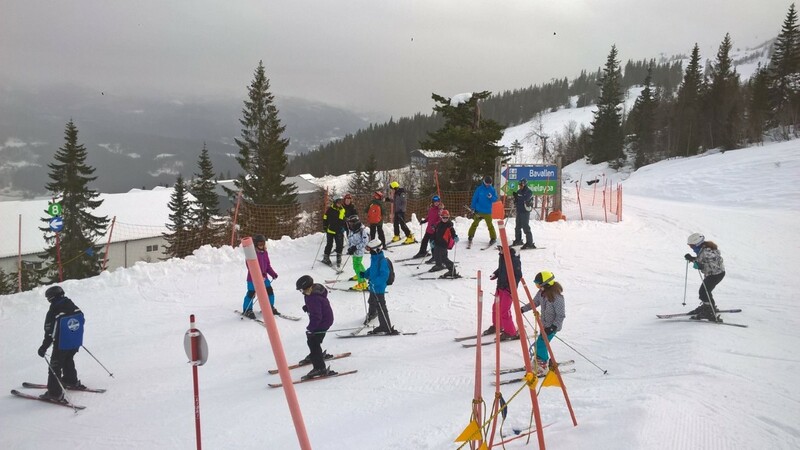 The ski instructors are once again delighted with the children's progress and they are really doing very well indeed - take a look for yourself below! 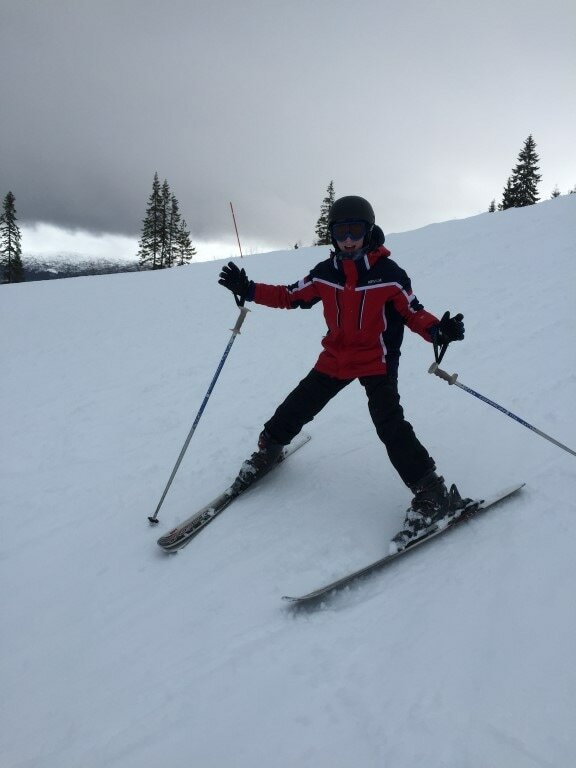 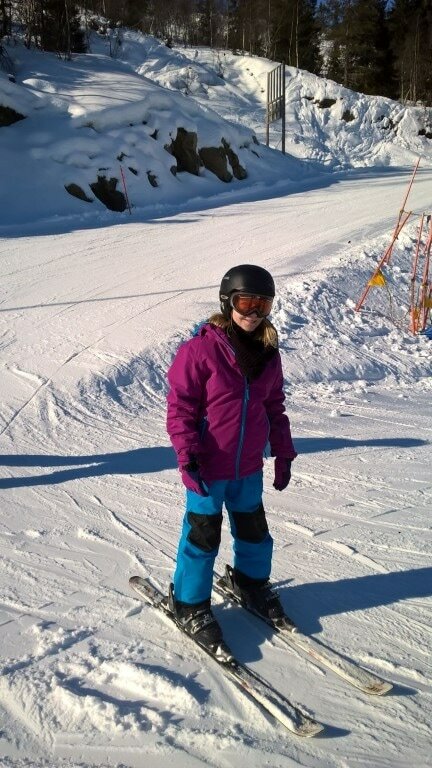 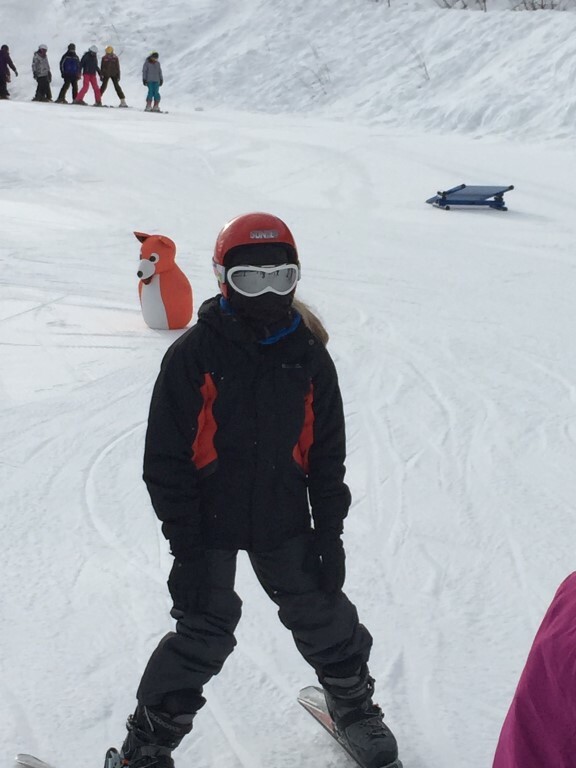 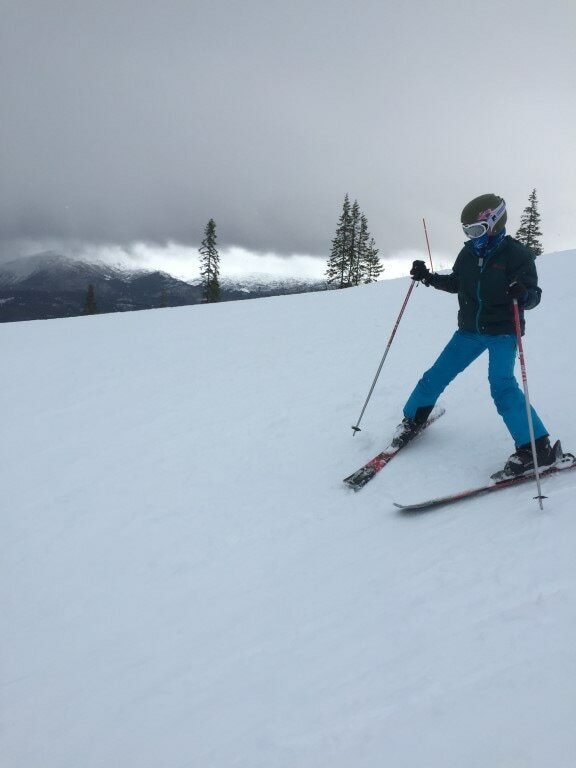 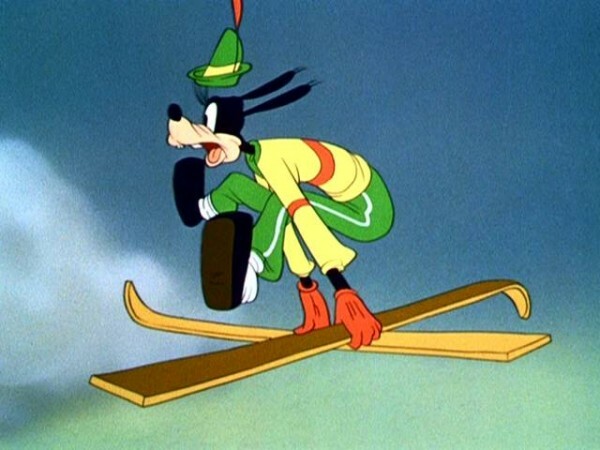 "I loved skiing all the way down the mountain!" 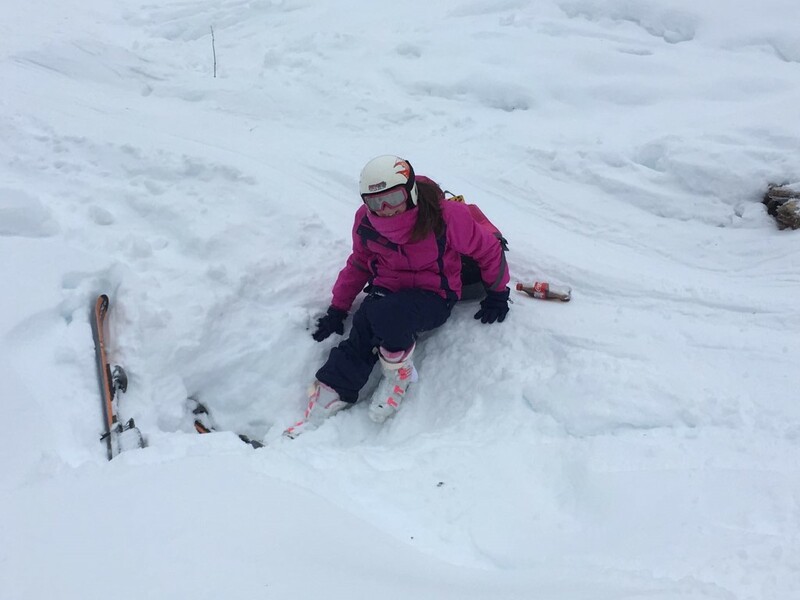 "I love going fast down the hills and I try not to fall over ...but it doesn't always turn out this way!" 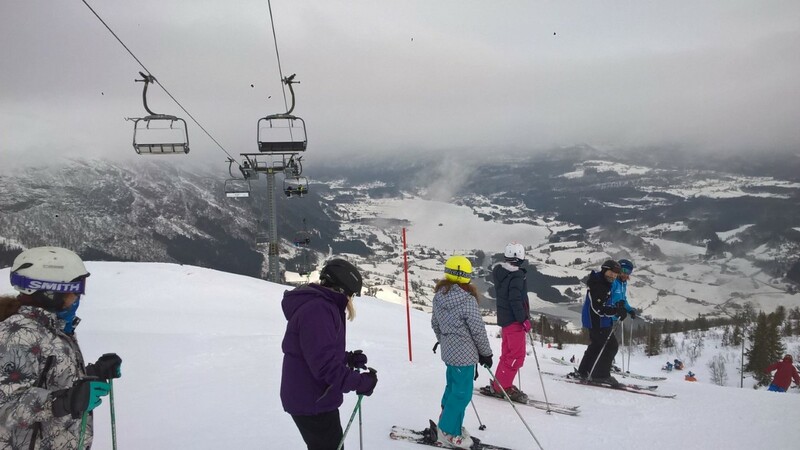 "The view from the top of the mountain is breathtaking!" "Being able to ski with my friends is really exciting and fun"
Reminder: All gallery photographs can be clicked on to enlarge. 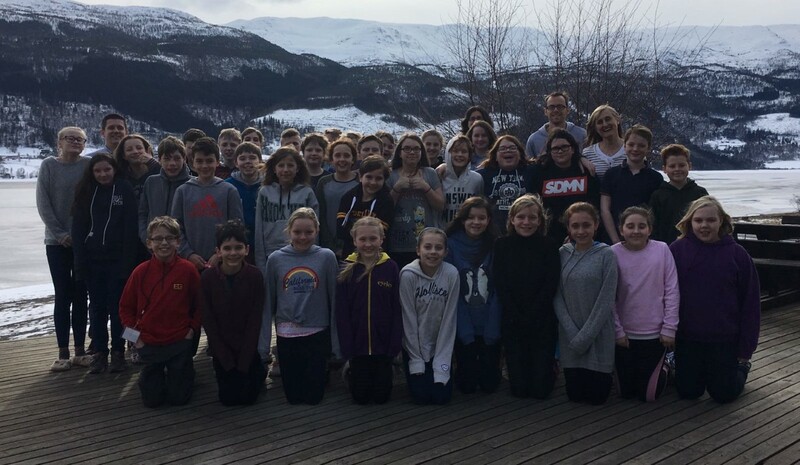 You can then scroll through the enlarged versions for easier viewing! 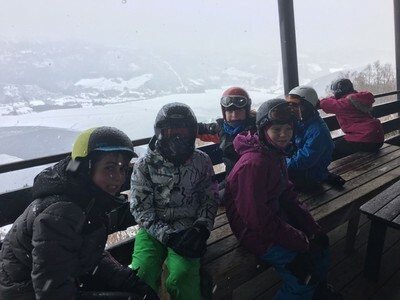 One of our groups made it onto the official 'On the snow' webcam feed ... thanks for the information Mrs Taylor! 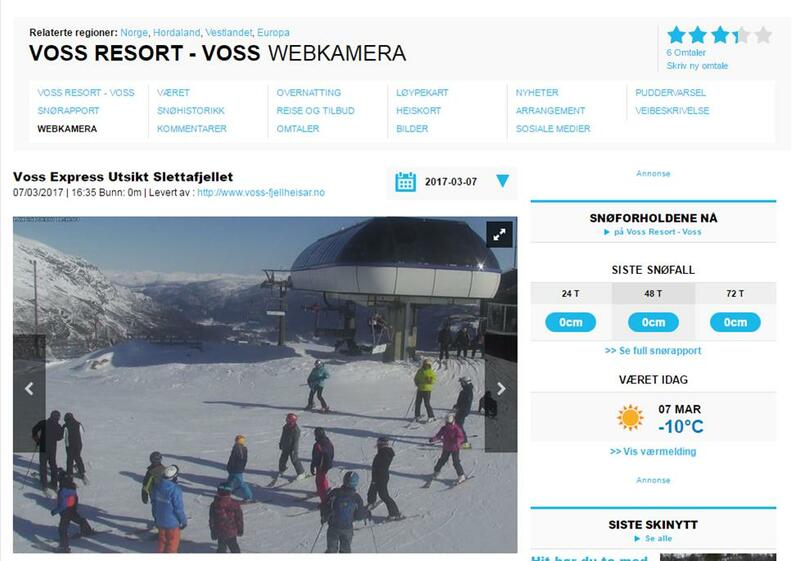 It was worth posting a screen shot of this on our blog! 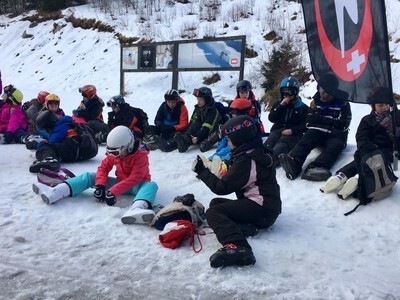 Our entertainment programme went down well last night; DVD for half of the group which was a relaxing way to unwind after a full day of skiing. Although the other half of the group found the Jacuzzi was a soothing way to end a day of skiing! 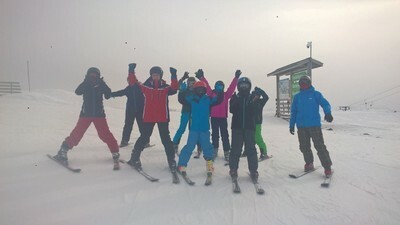 Which ever activity they participated in yesterday evening, they will swap over today and get a chance to do the other activity. 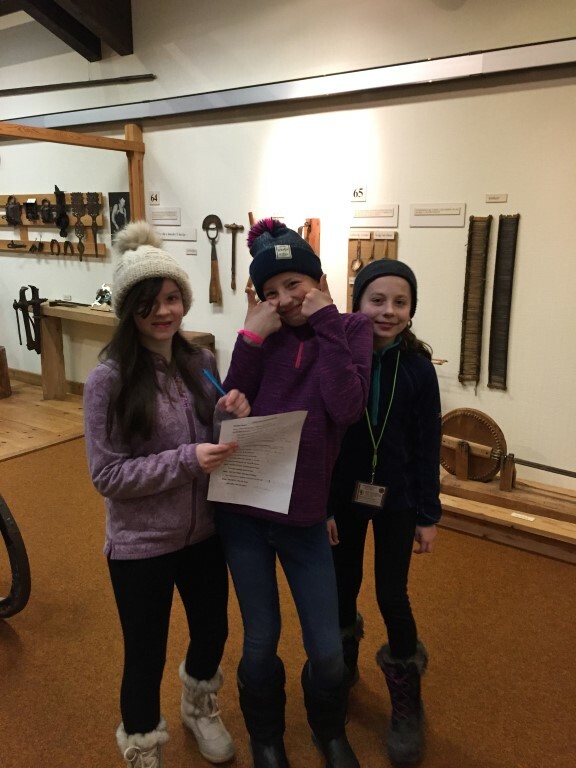 Our two sisters on this visit awoke to a birthday celebration - Happy 12th Birthday to you both! 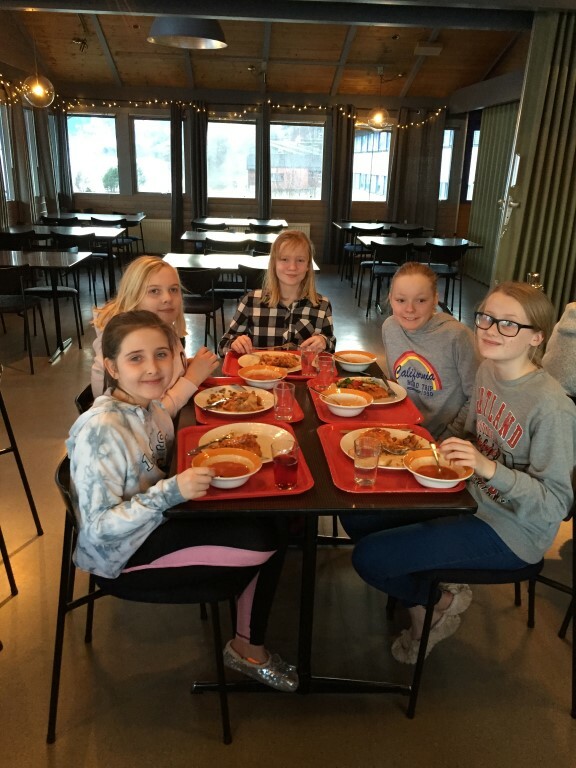 Everyone appreciated the sweet treats after breakfast - we will surprise them both after dinner later today! 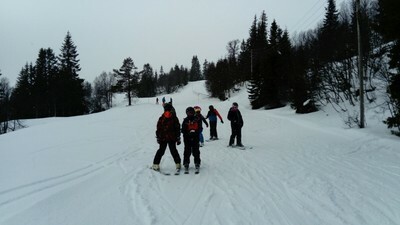 After making our preparations for ski-ing e.g. 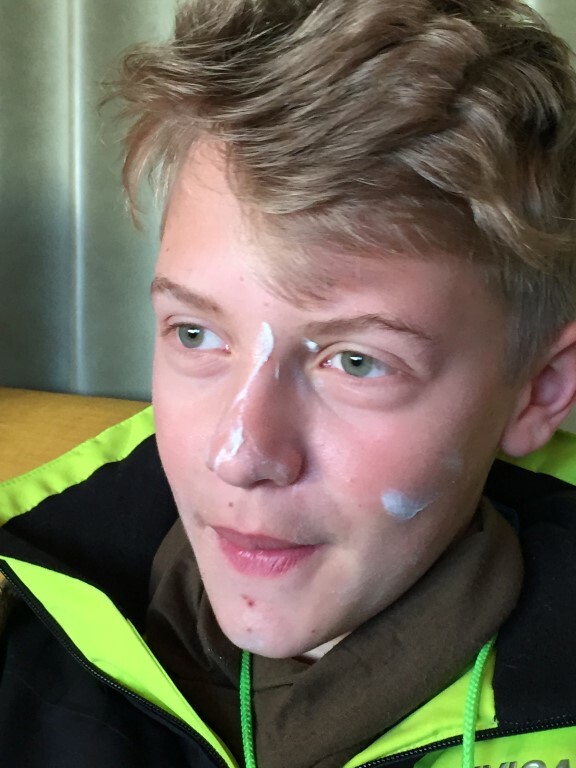 slapping on the sun cream! it was time to head up the mountain for our third day! The weather started favourably although as expected, it was very cold. 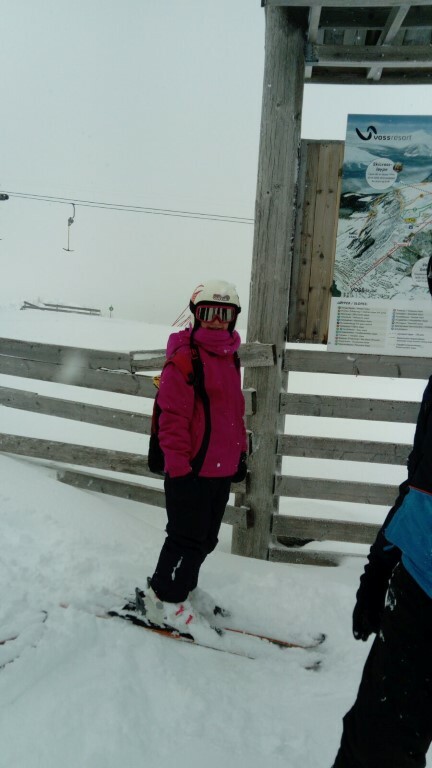 Plenty of layers and wrapping up was required. 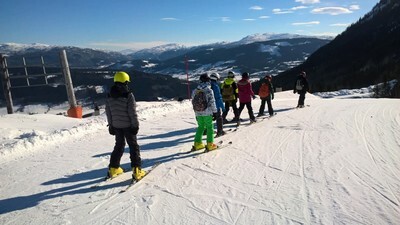 It was an enjoyable day and once again the groups are progressing very well. 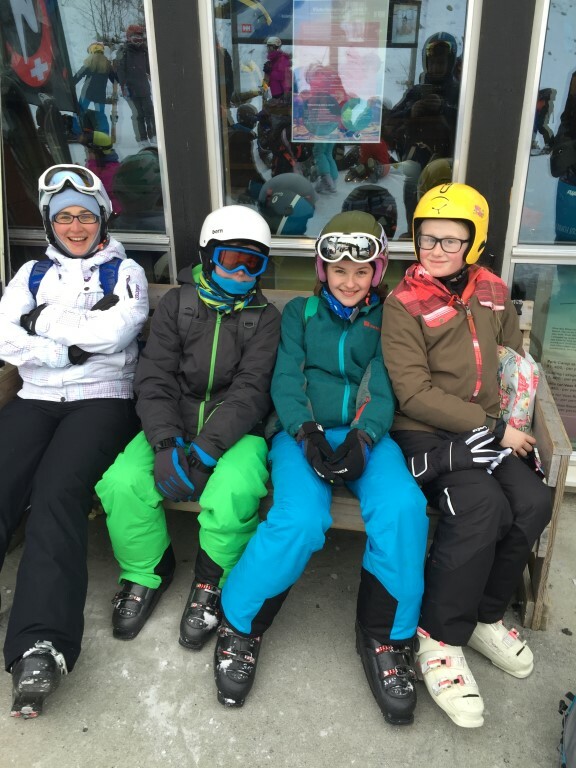 "I like the T-Bar lifts - they're good fun"
"Trying new things is fun and exciting"
"I'm lost for words for the scenery you can see outside"
This evening half of the group have gone for a Jacuzzi & a swim whilst the other half watch a DVD. 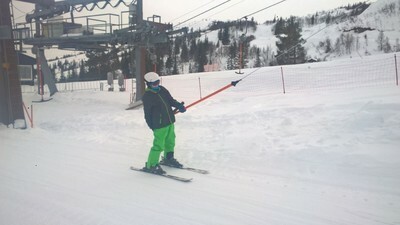 ... and for making good progress overall. 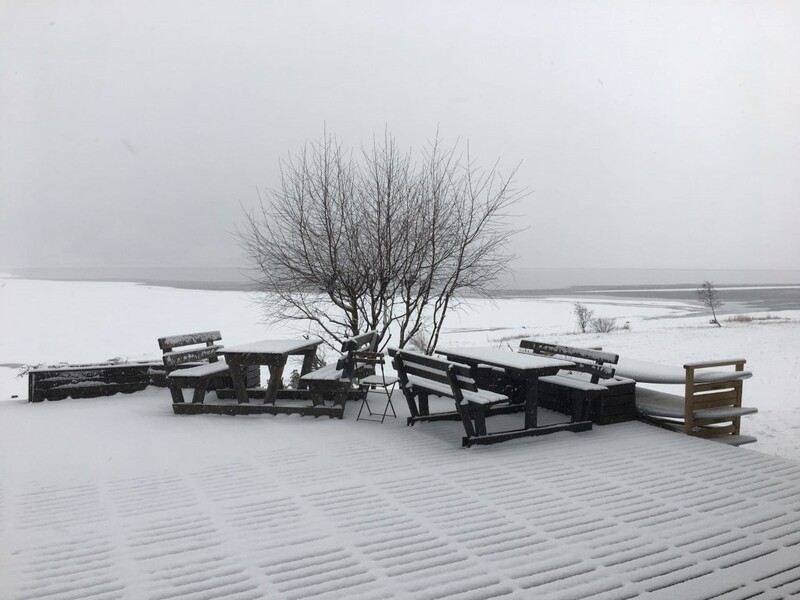 We woke up this morning to a surprise down here around Lake Voss - an overnight deposit of snow which was like a scene from a winter wonderland! 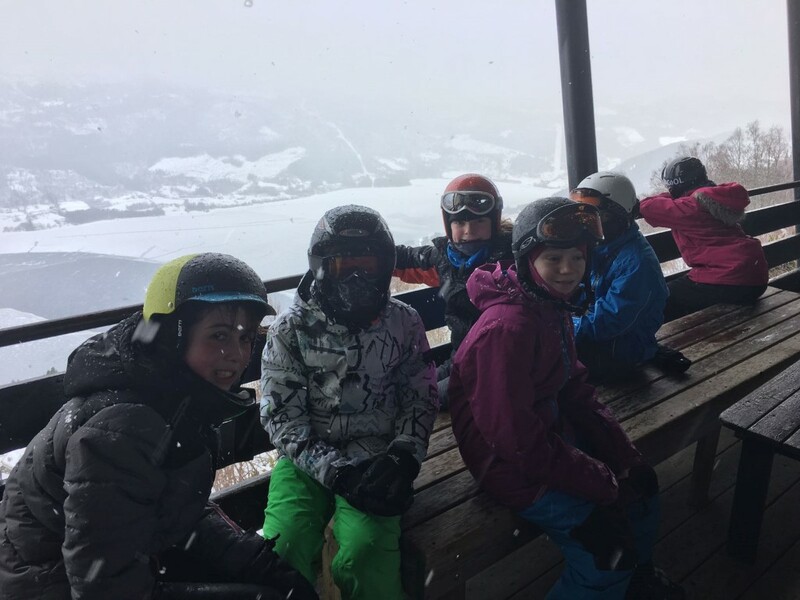 Unfortunately, we cannot speak enthusiastically about the conditions at higher altitudes - it was pretty rough weather up the mountain today! 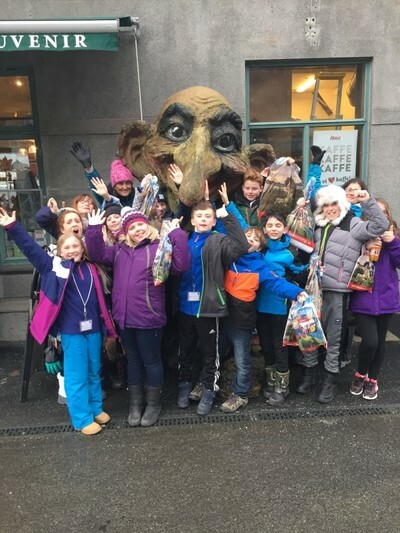 However, all groups persevered despite the heavy overnight snowfall and blustery, snowy downpour throughout the day. 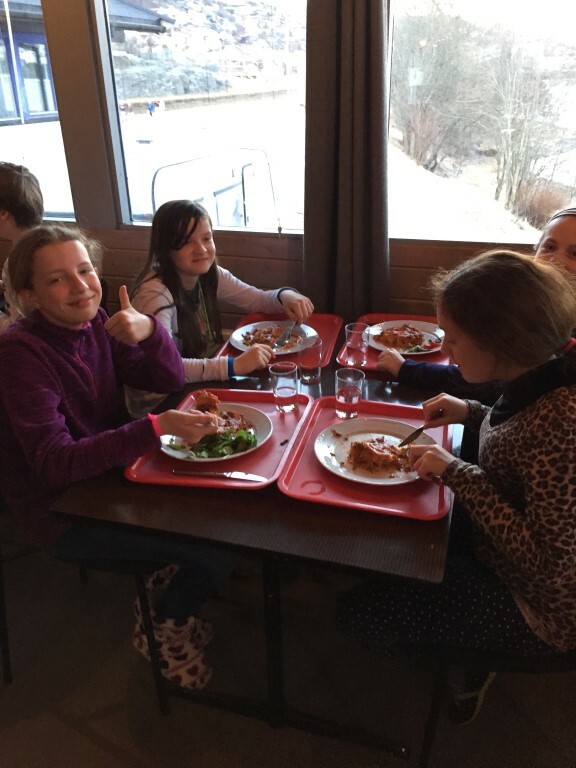 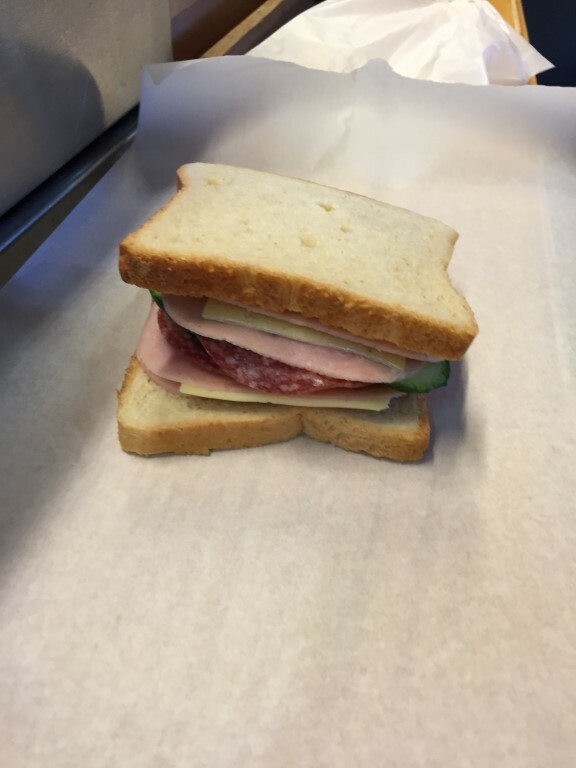 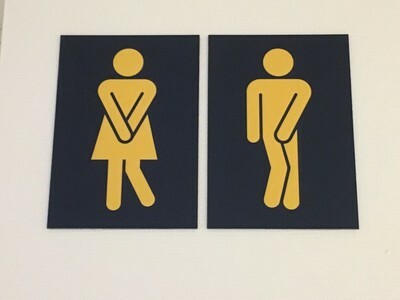 We were delighted for some indoor comfort when it was time for lunch. A time to dry off, recharge and wrap up again fully before our afternoon session. 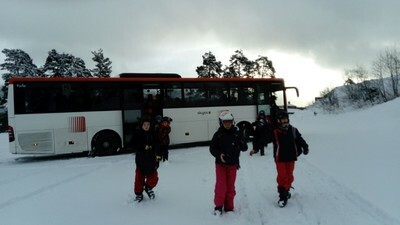 We couldn't take any photographs during the inclement weather but managed to take some throughout the afternoon. 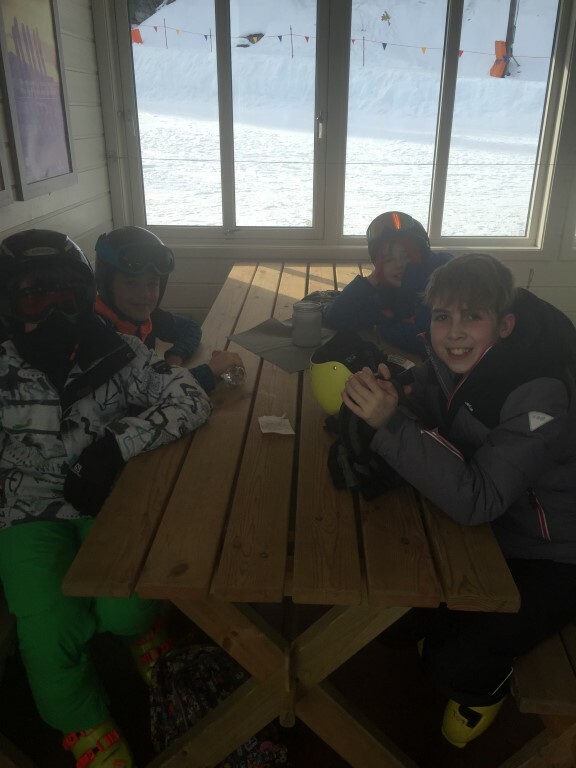 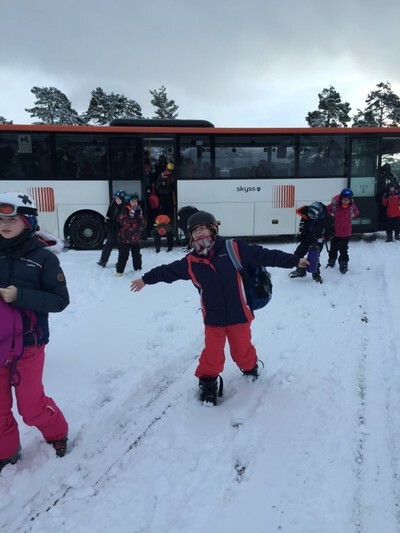 "Skiing today was exciting as it felt like there was a blizzard on the mountain"
"Having snowball fights on skis was good fun!" 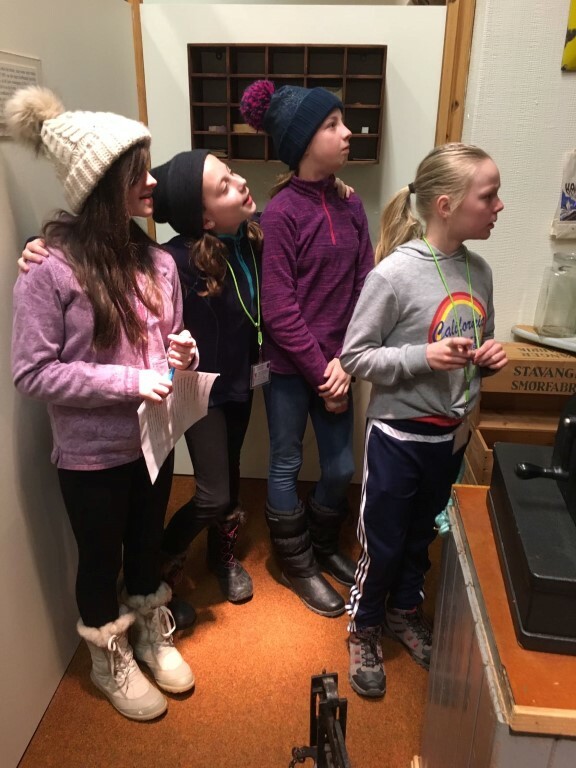 "Skiing was great fun but challenging because of the weather"
The week of skiing is taking its toll; only three people were up during the morning wake-up call, everyone else was still asleep. 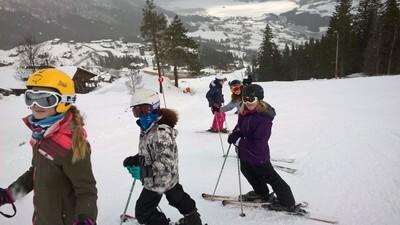 It was our final day of skiing and the weather was mostly pleasant throughout the day. 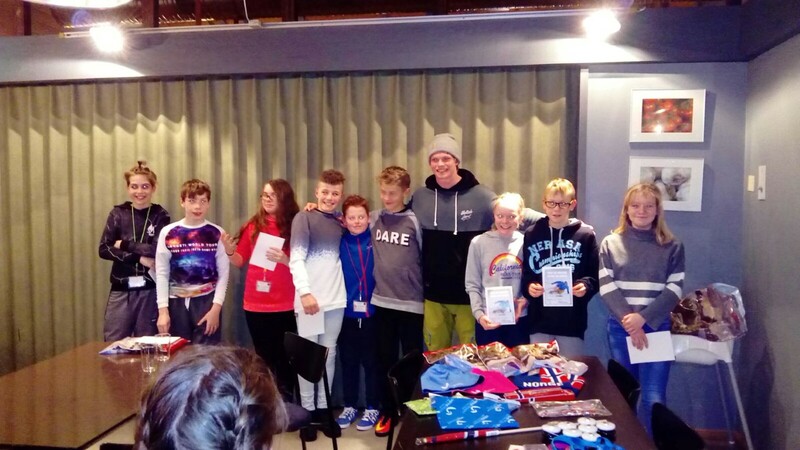 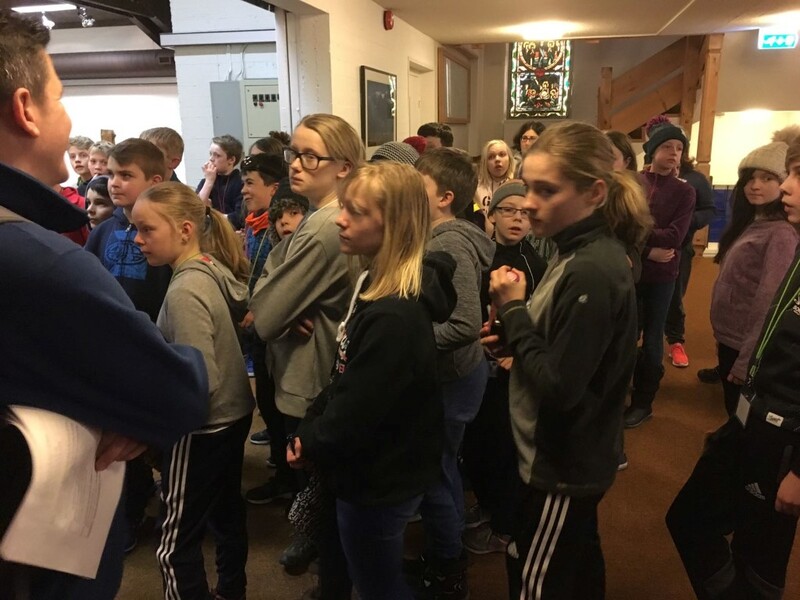 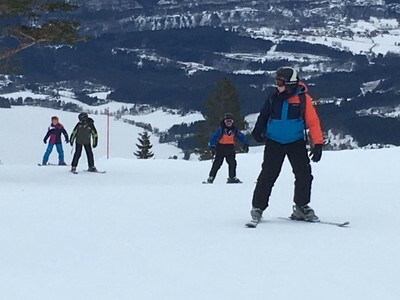 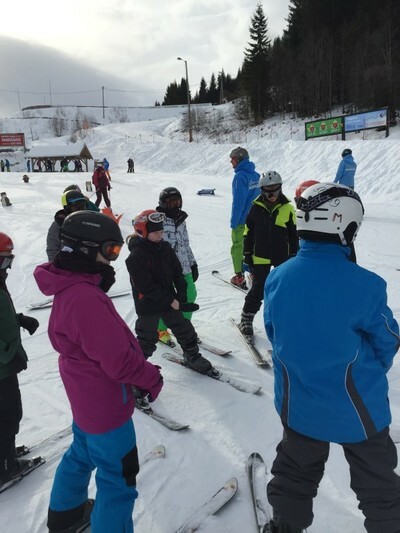 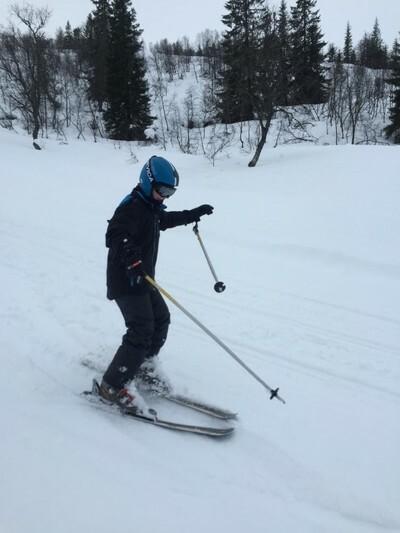 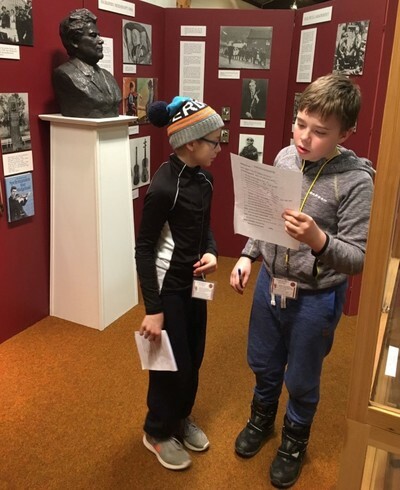 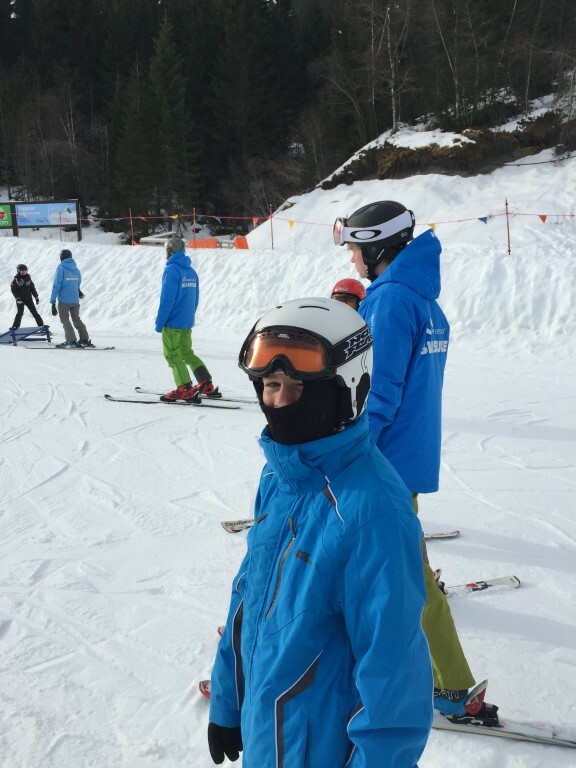 All groups were given further challenges to develop their skiing proficiency and what a remarkable week of progress this has been for everyone. 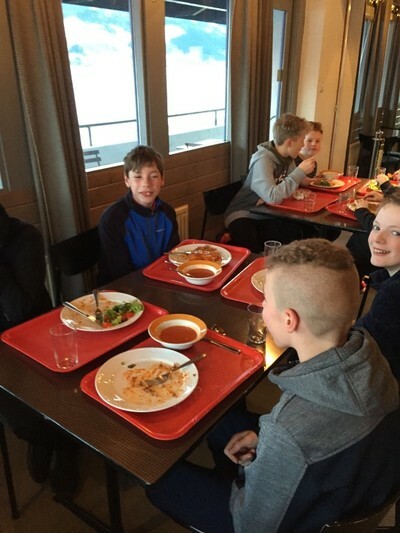 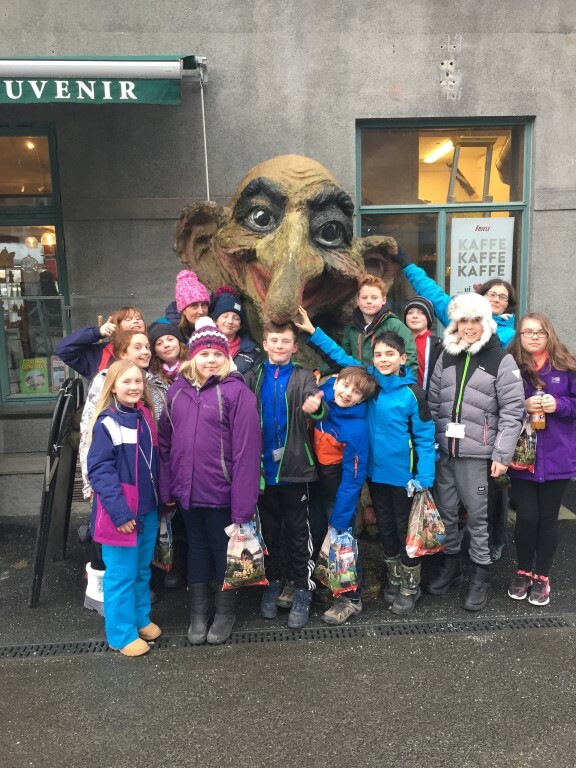 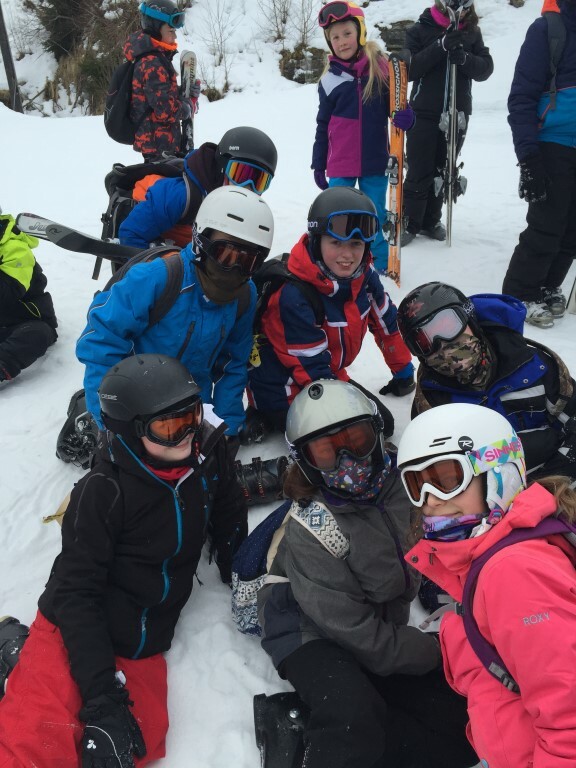 A selection of photographs from our final day of skiing! 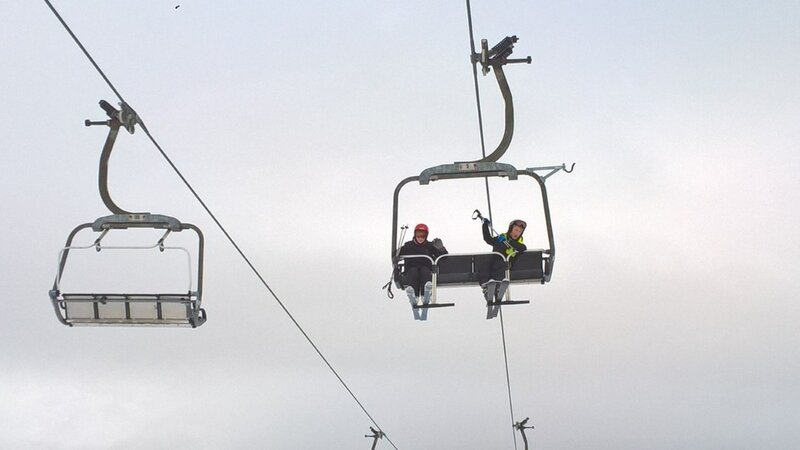 Just to prove that the staff are actually all here ... and their cartoon alternatives! 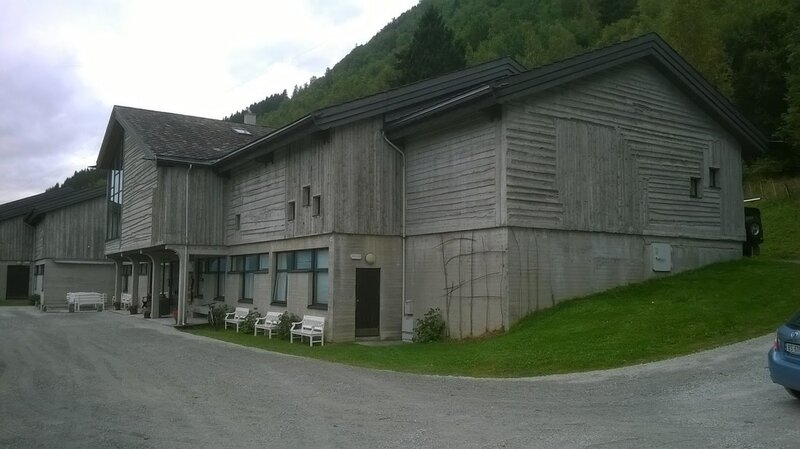 We are busy preparing for our final evening here in Voss. 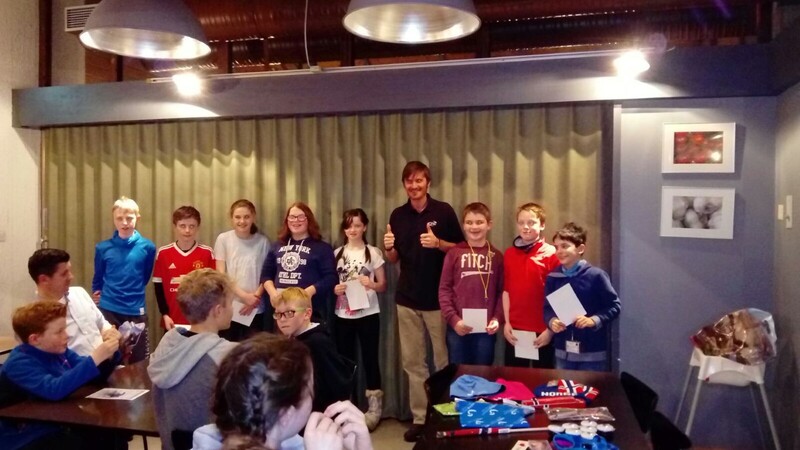 The ski instructors have just arrived to our awards evening. Further updates to follow. 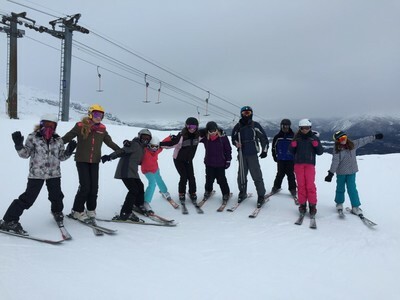 Well done to everyone- it has been an amazing week; great progress in skiing has been demonstrated by all members of the group. 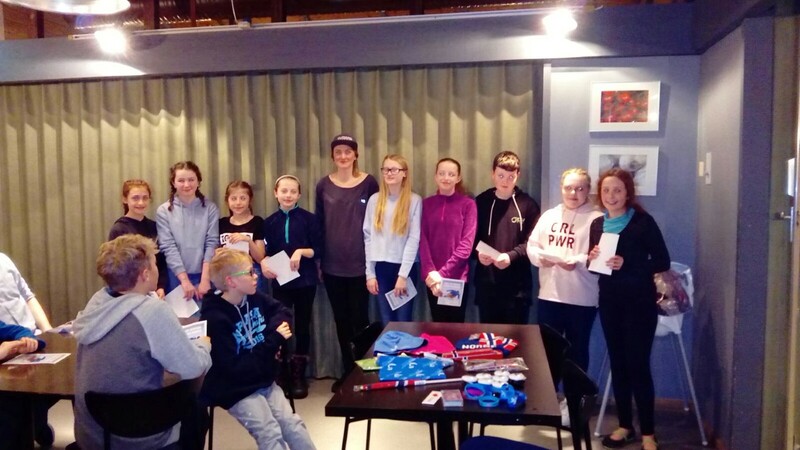 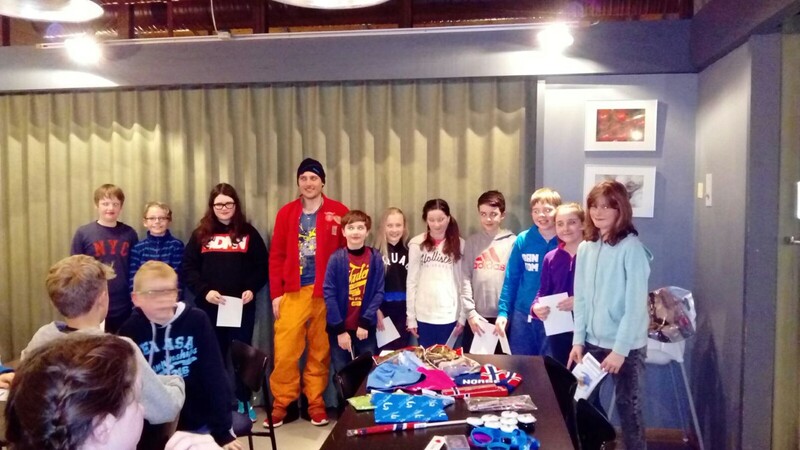 Voss ski school instructors joined us this evening to present awards to each member of their ski group. 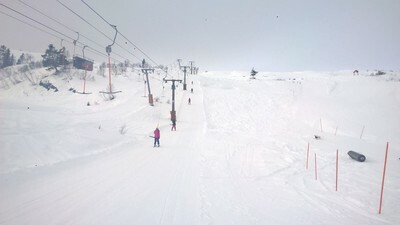 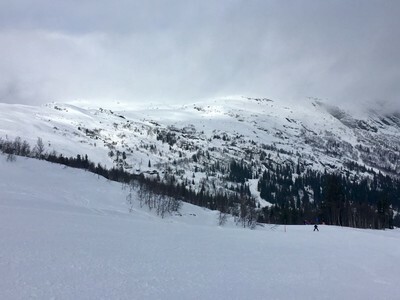 Award certificates are based on the Norwegian Ski Association level criteria. It is now time to sign off from this blog for 2017 as we will be departing Voss in the morning for our return journey back to Newcastle via London. 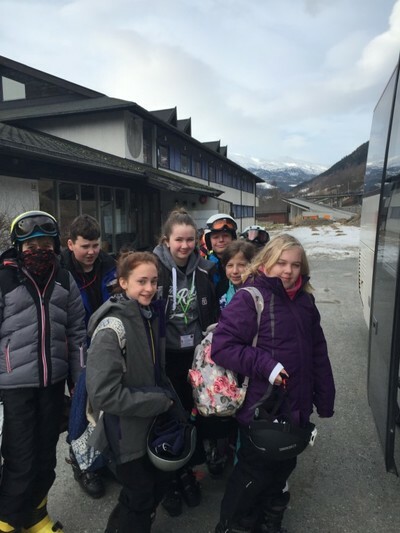 We hope that you have enjoyed the blog and trust that it has given you an insight into our wonderful week away.